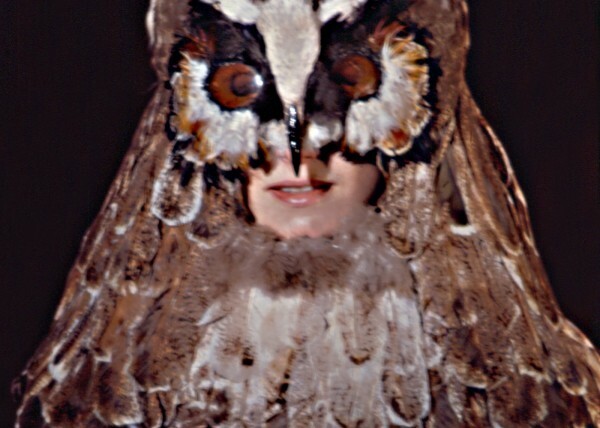 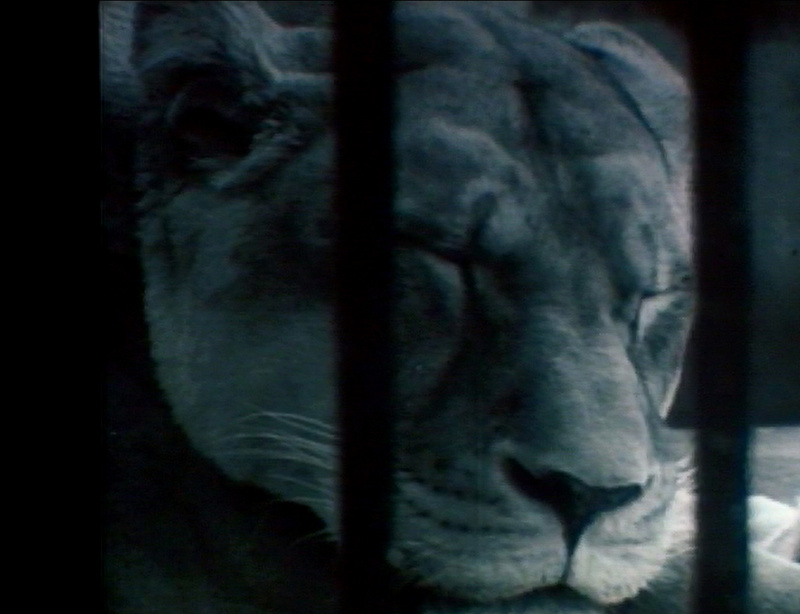 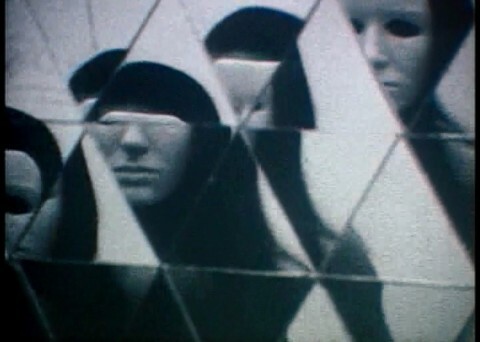 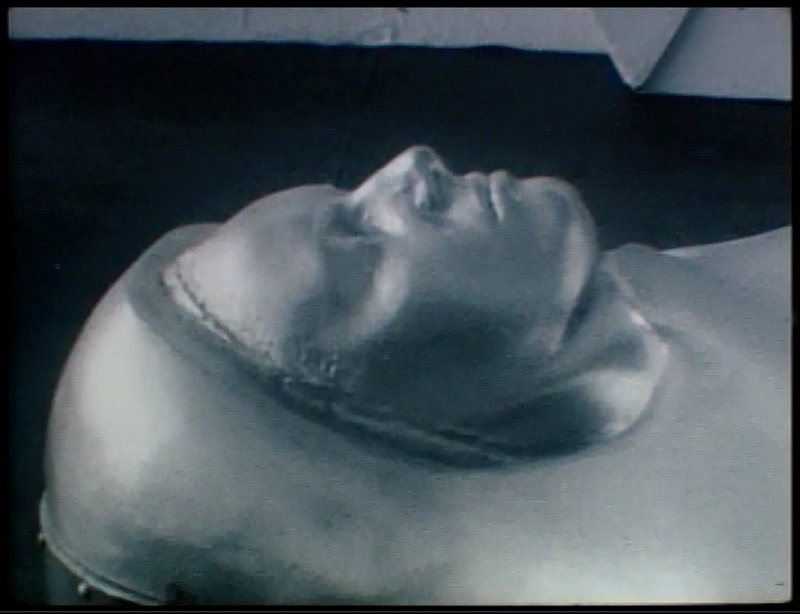 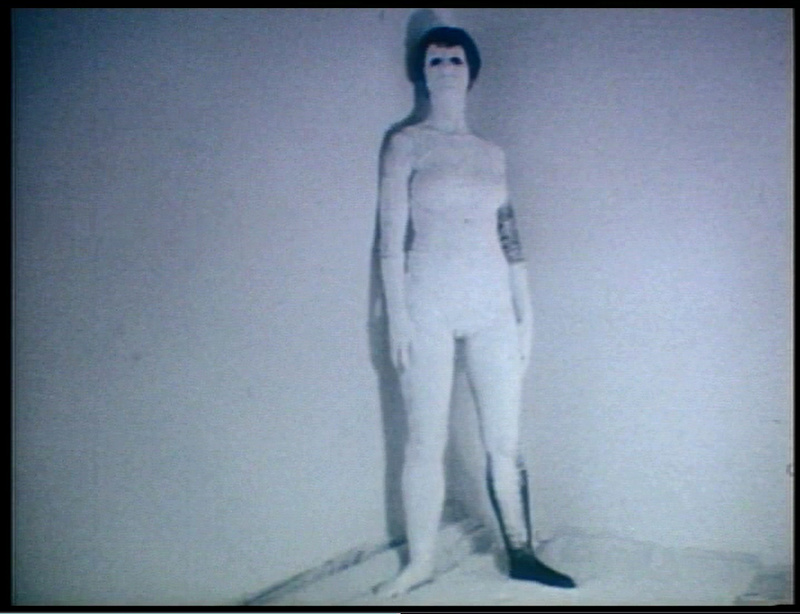 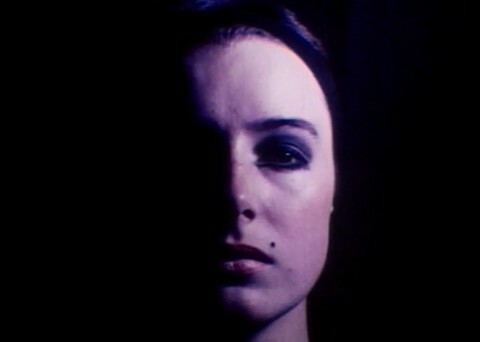 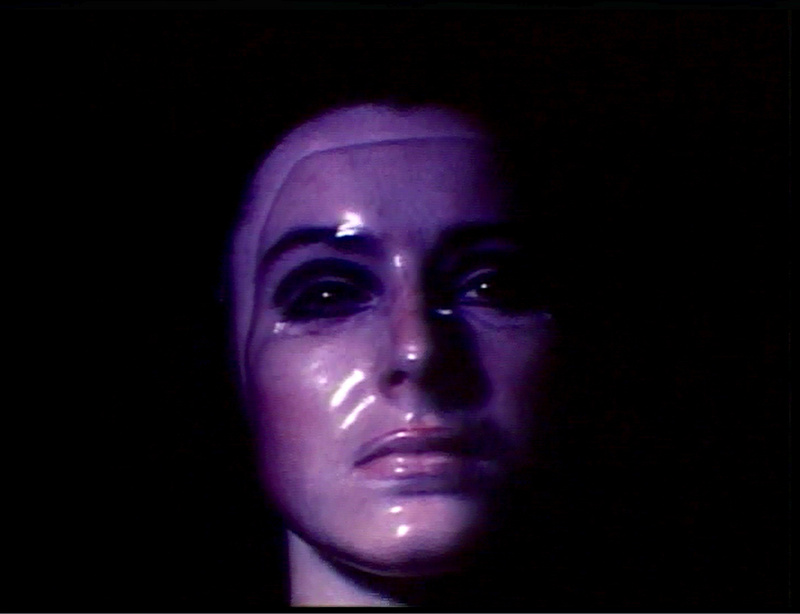 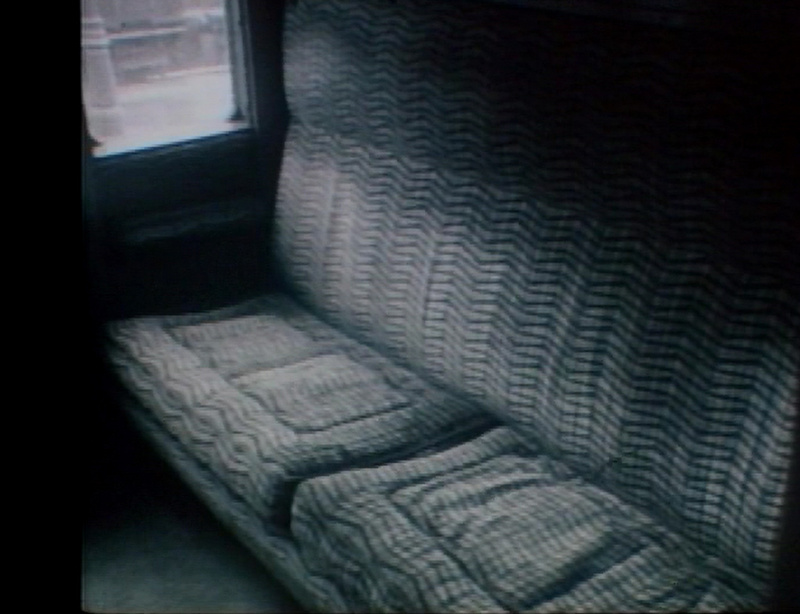 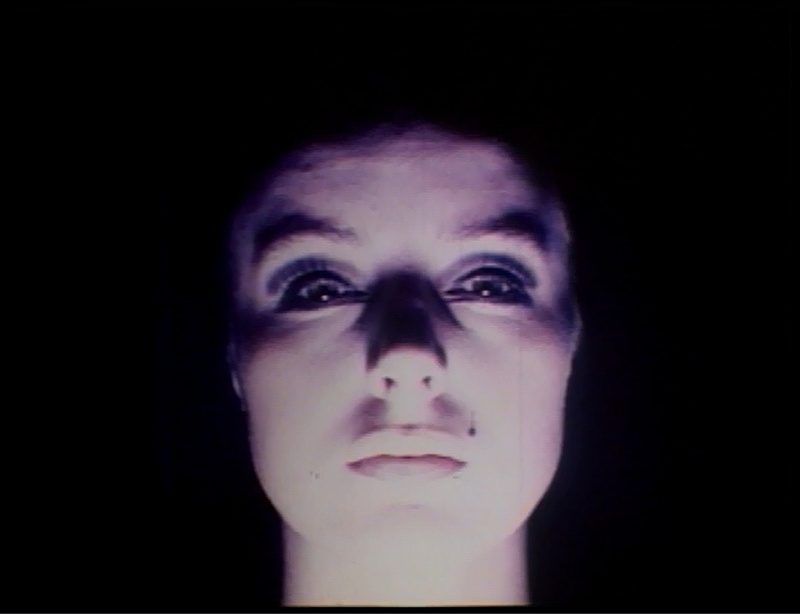 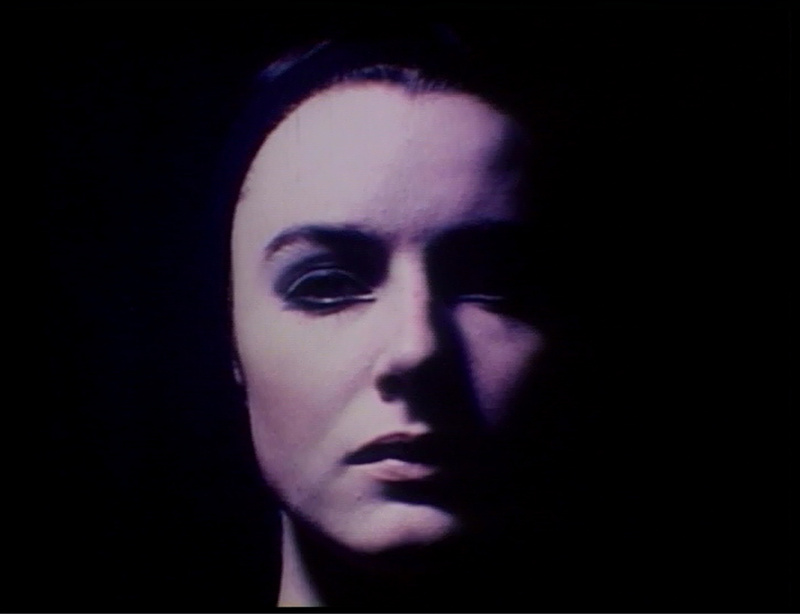 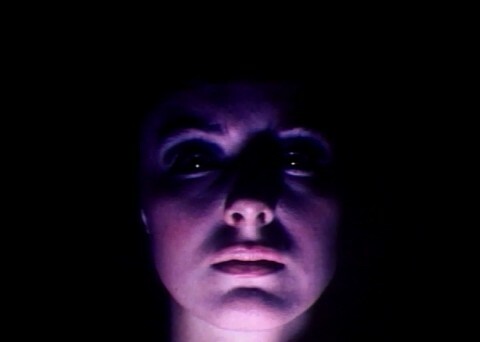 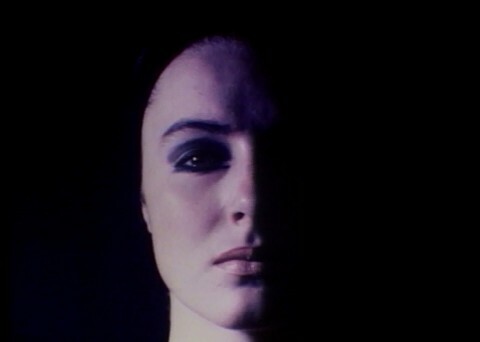 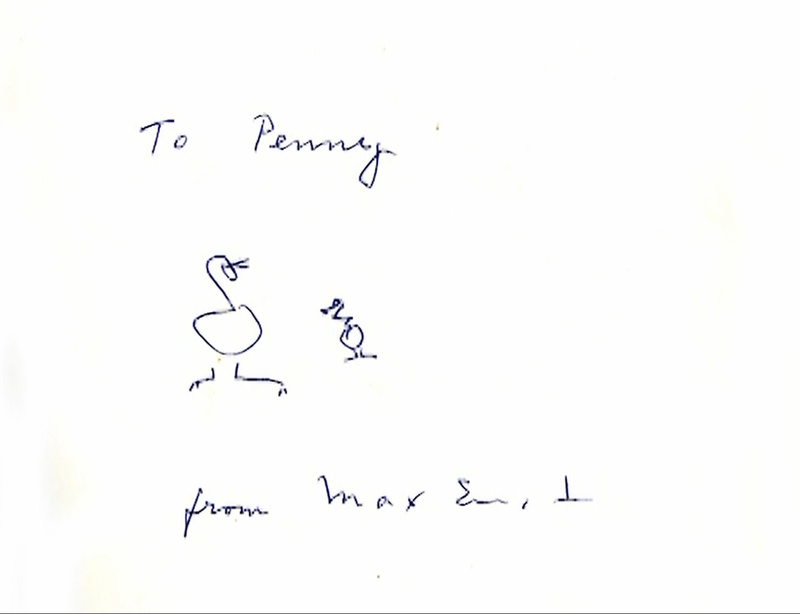 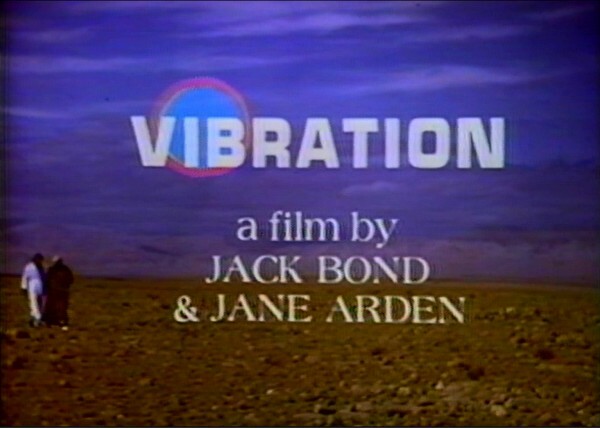 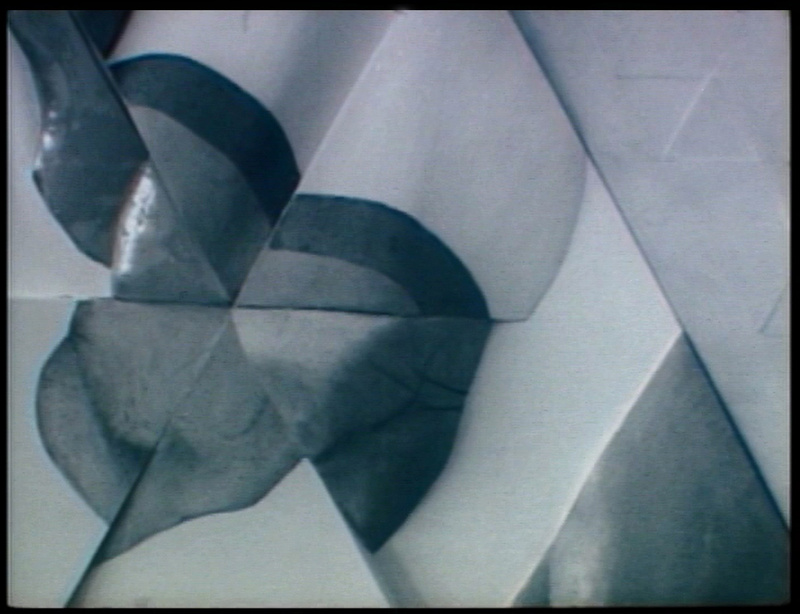 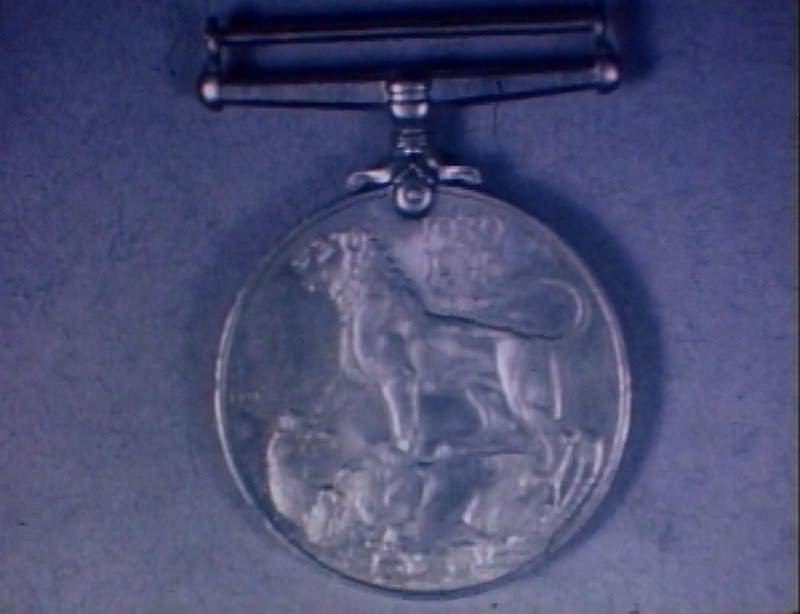 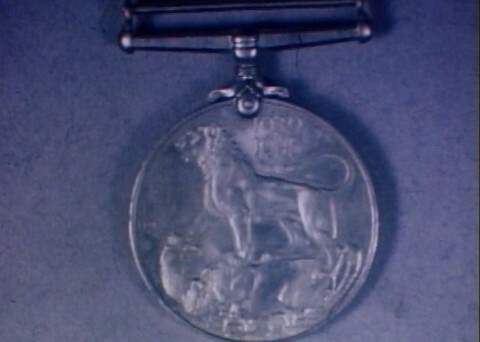 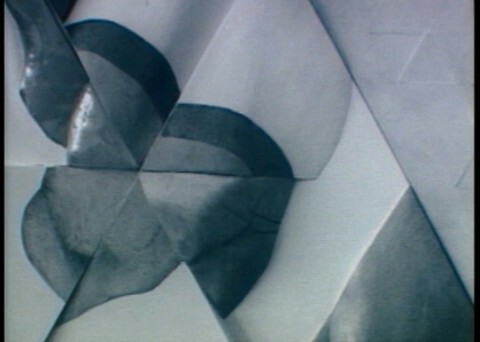 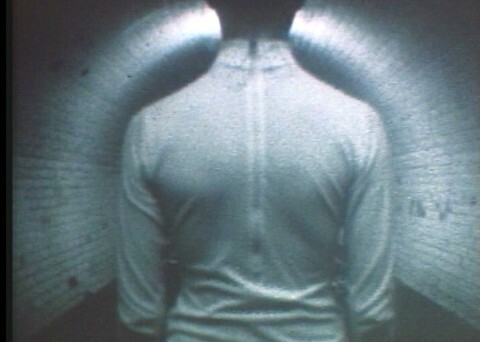 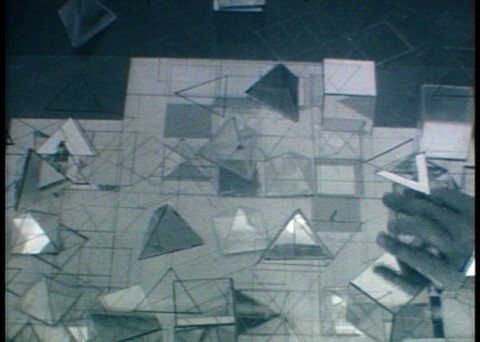 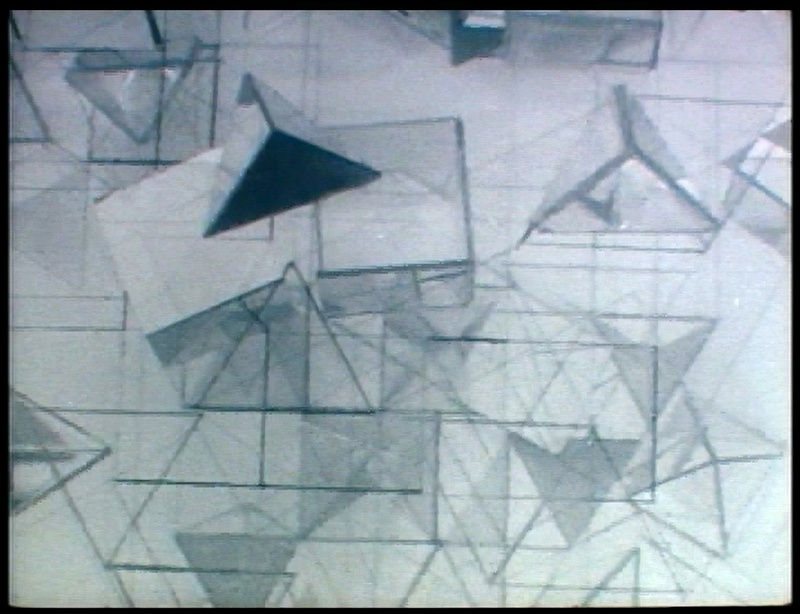 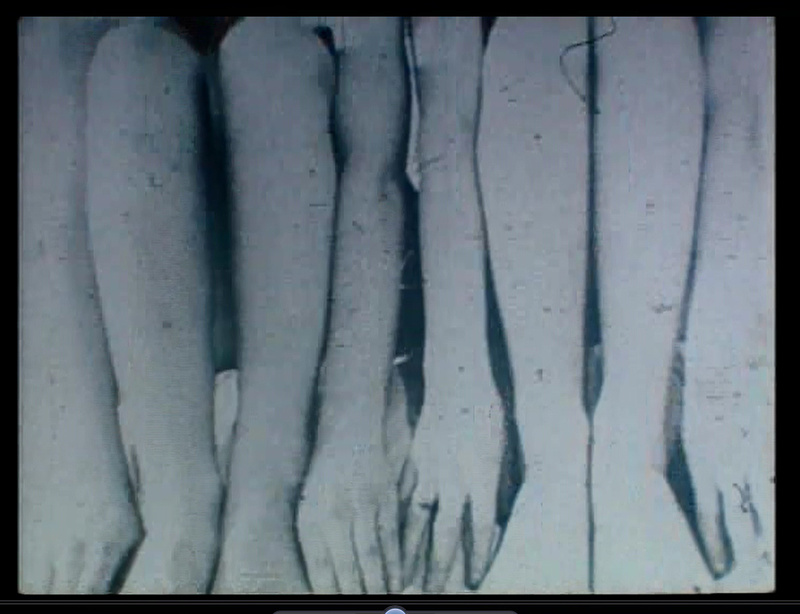 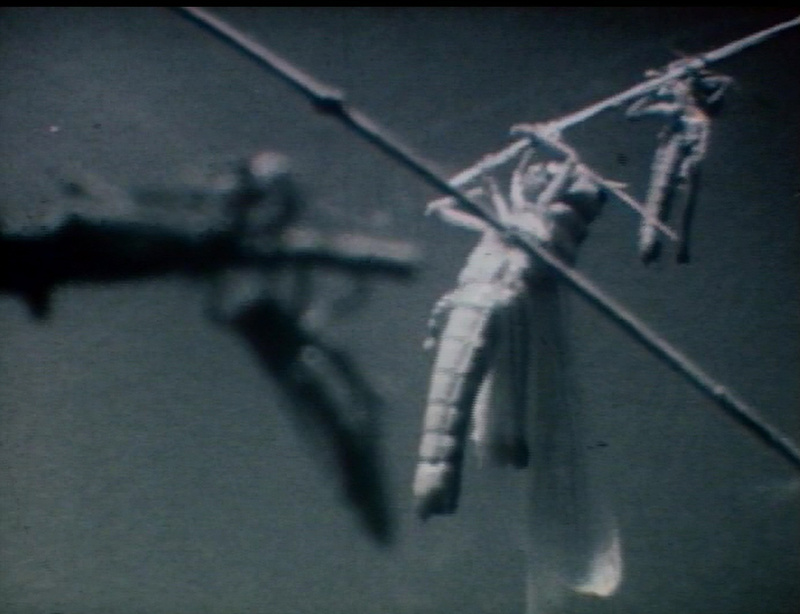 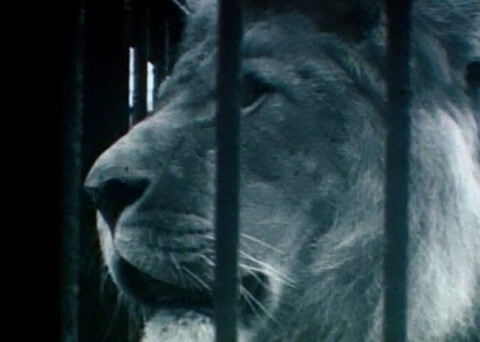 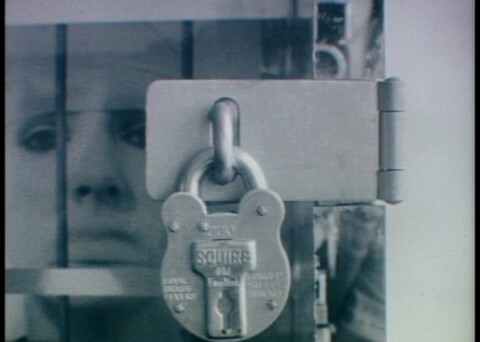 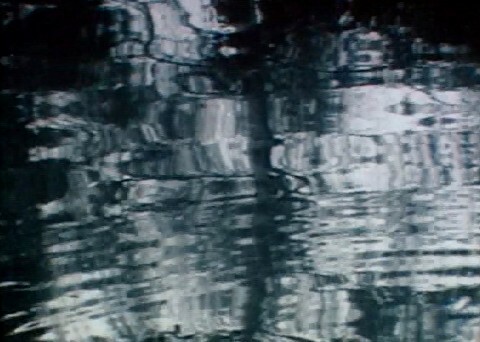 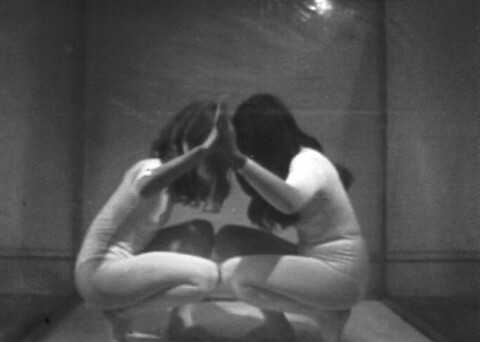 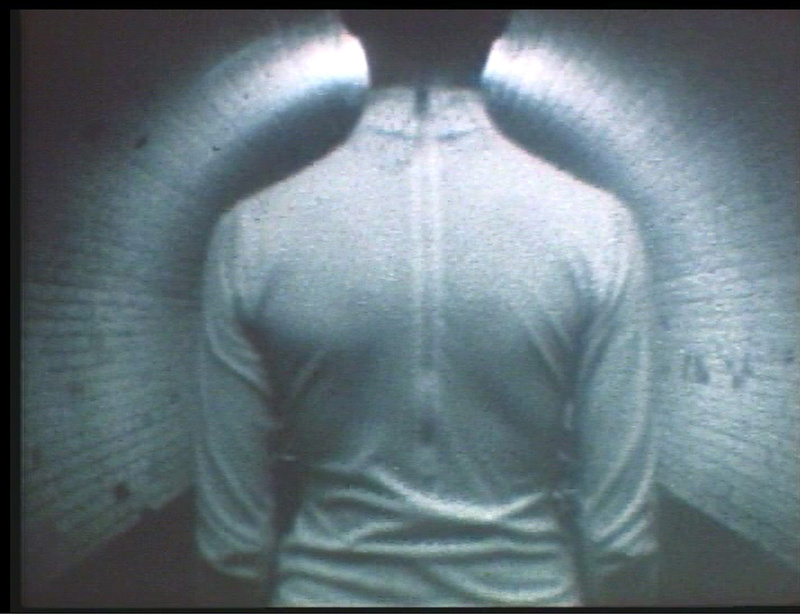 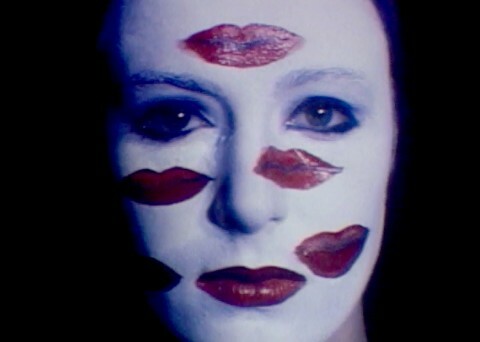 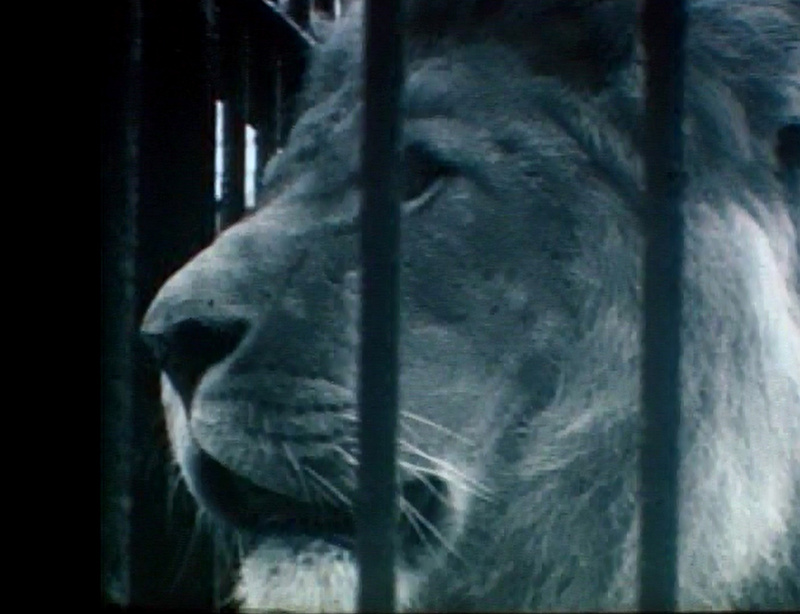 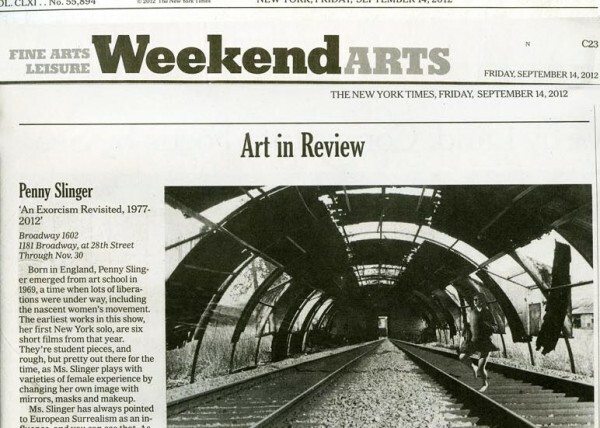 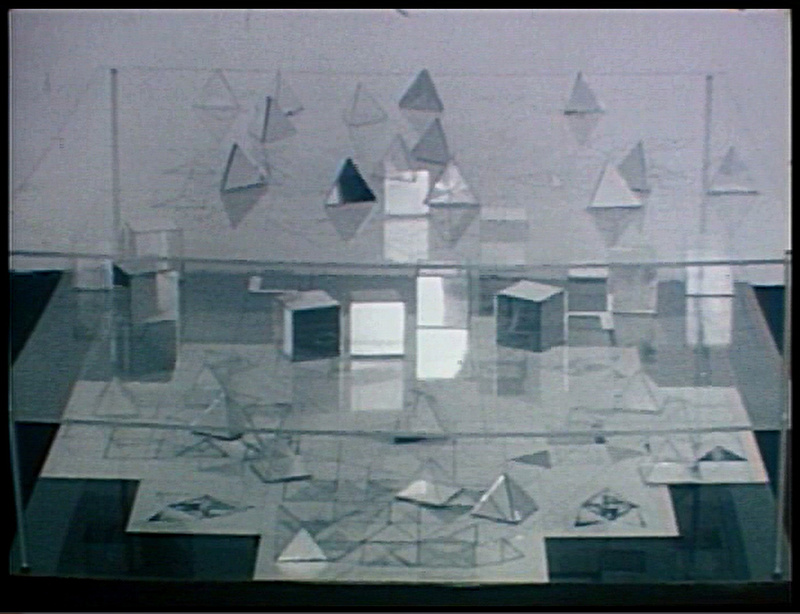 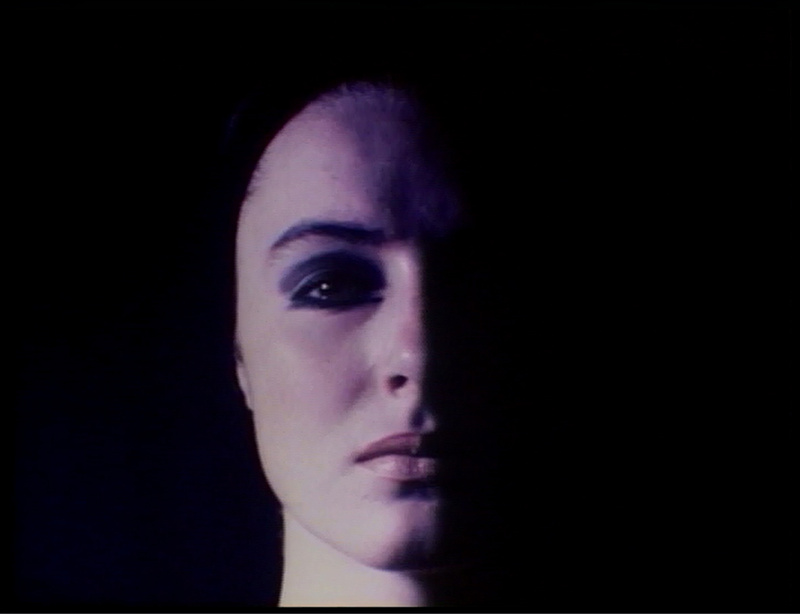 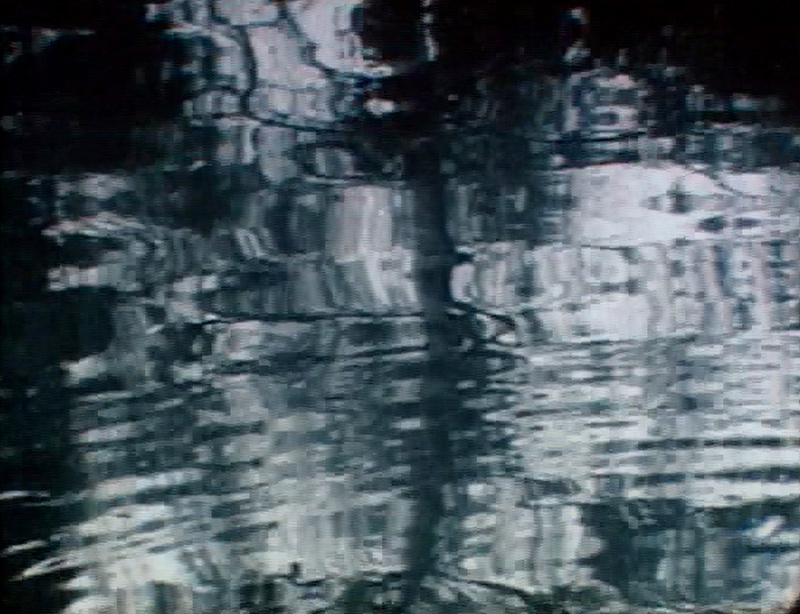 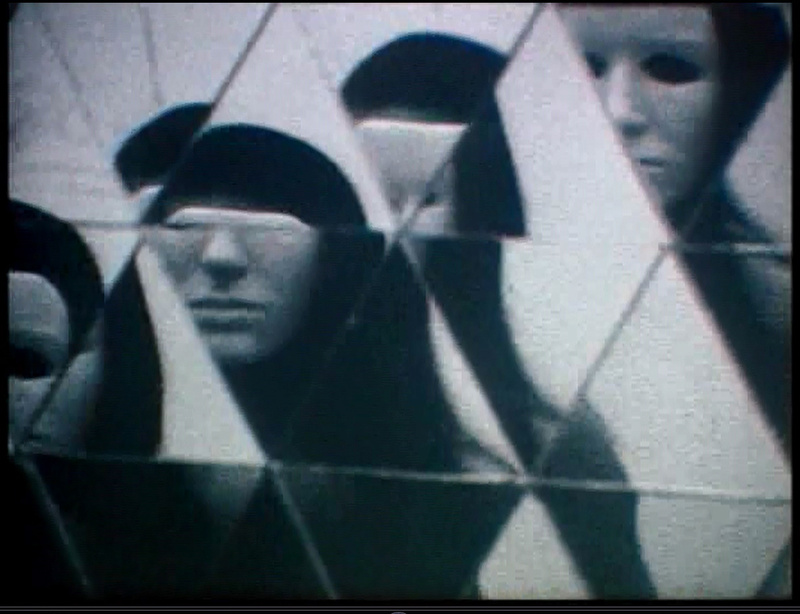 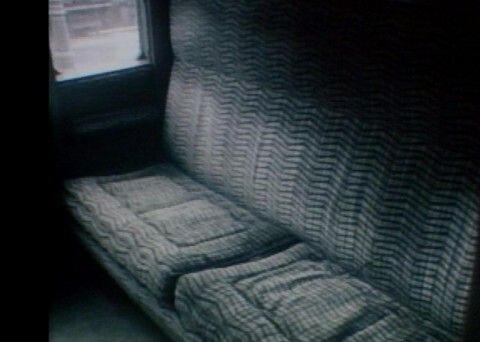 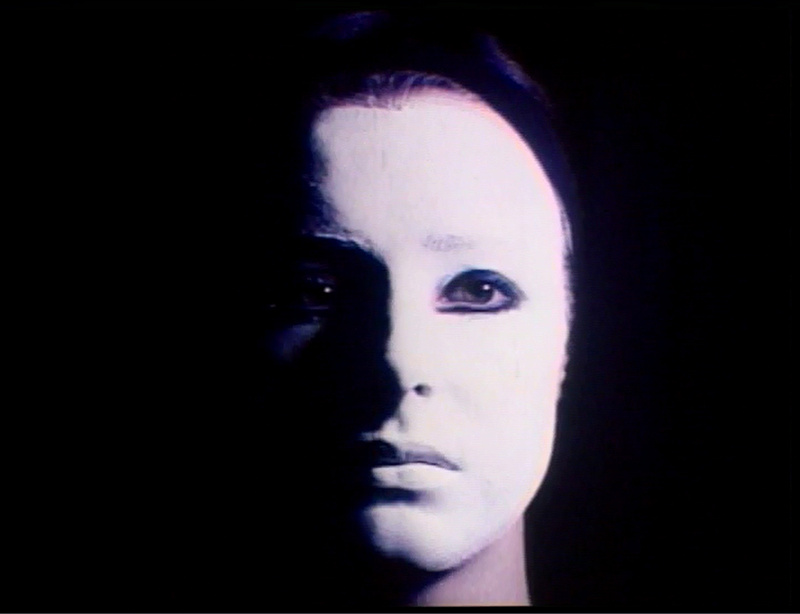 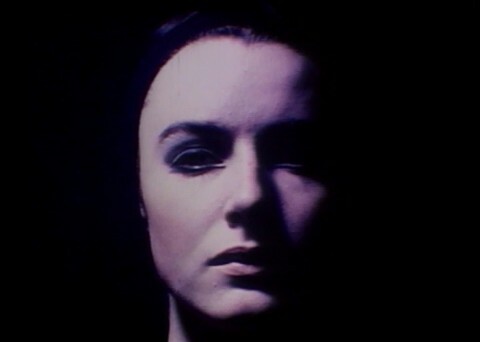 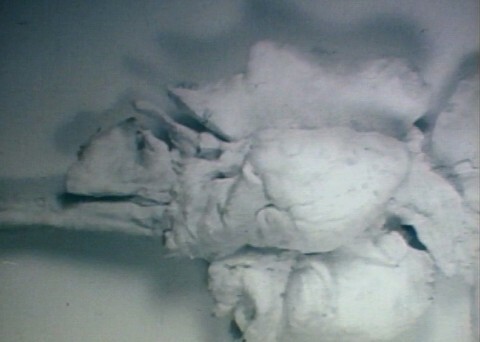 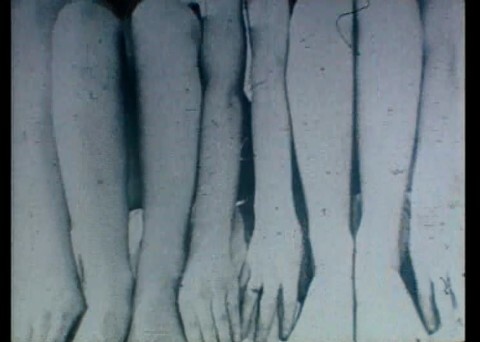 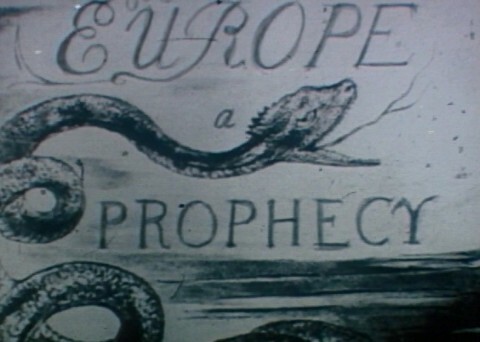 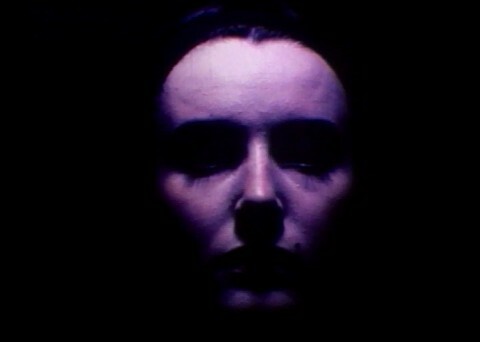 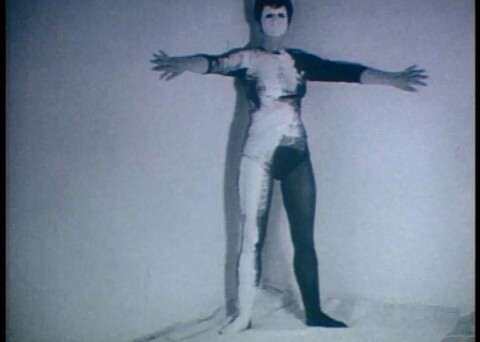 This film was part of my thesis presentation at Chelsea College of Art in 1969. 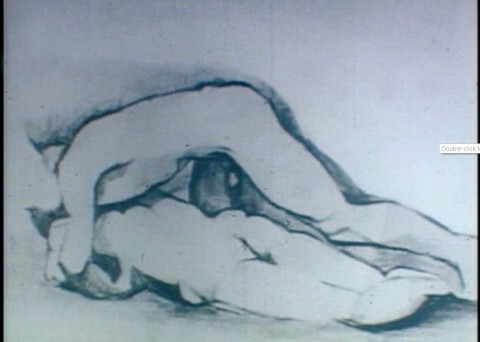 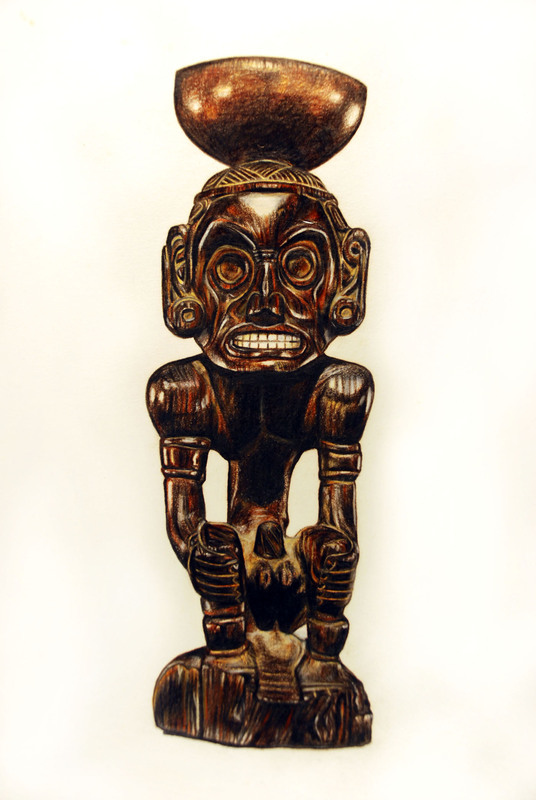 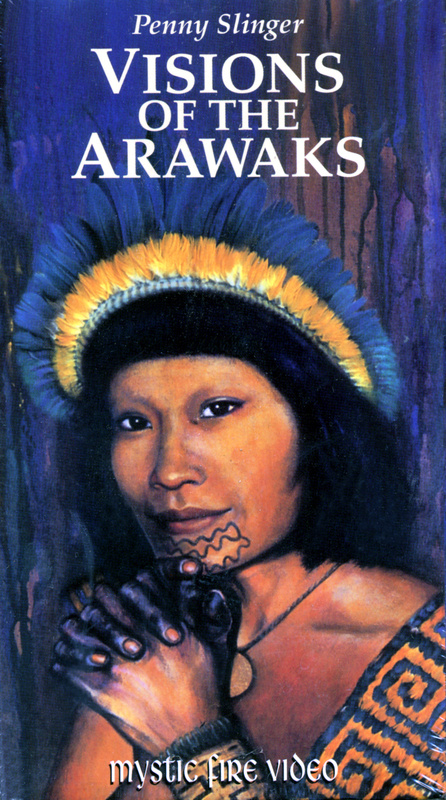 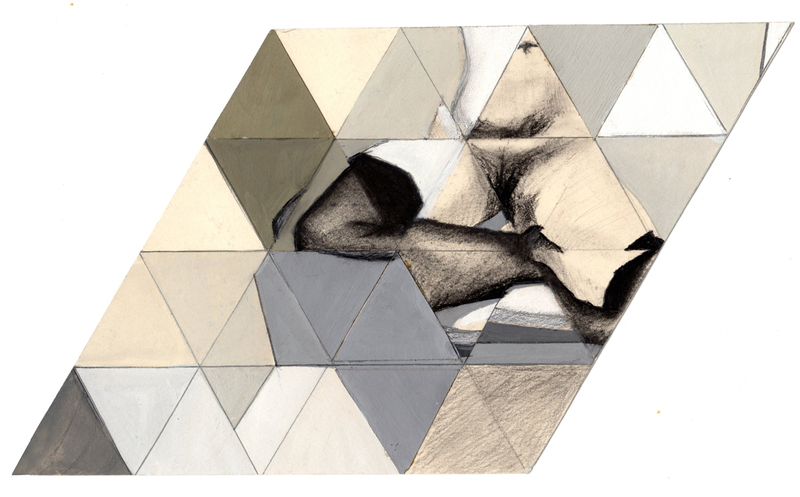 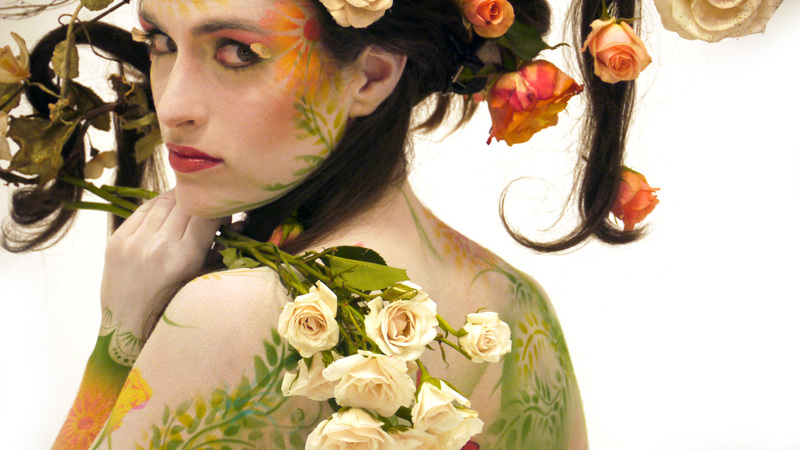 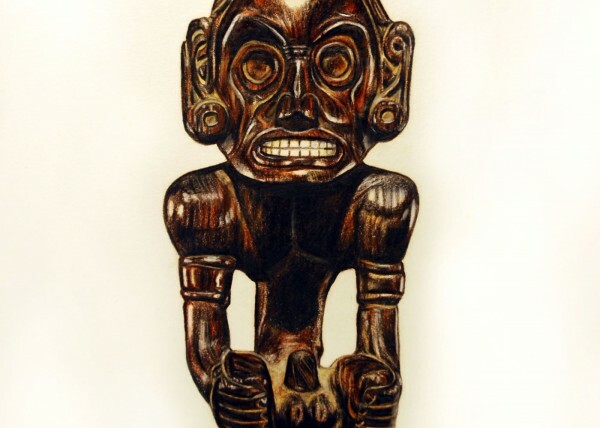 It expresses my interest in the human form and how two human forms can come together in various ways. 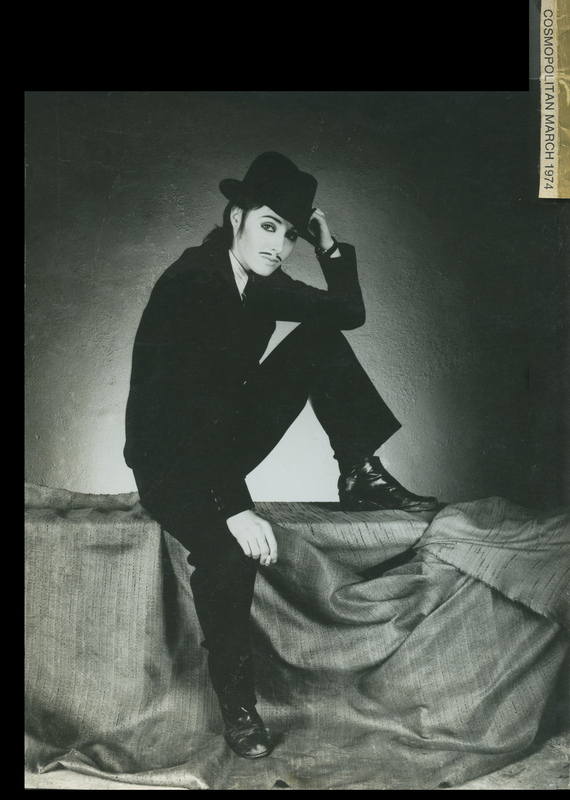 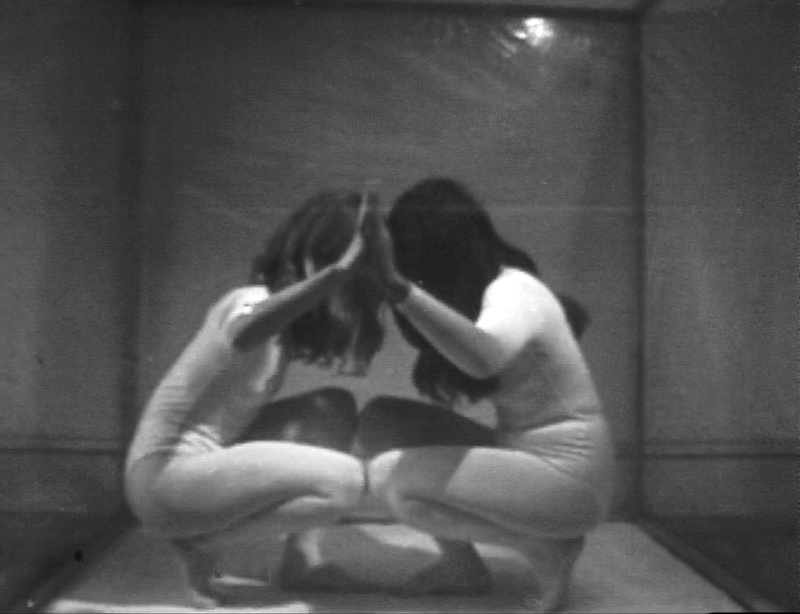 My morphology teacher was also a dancer and he is the one in black moving with the white me in the cube. 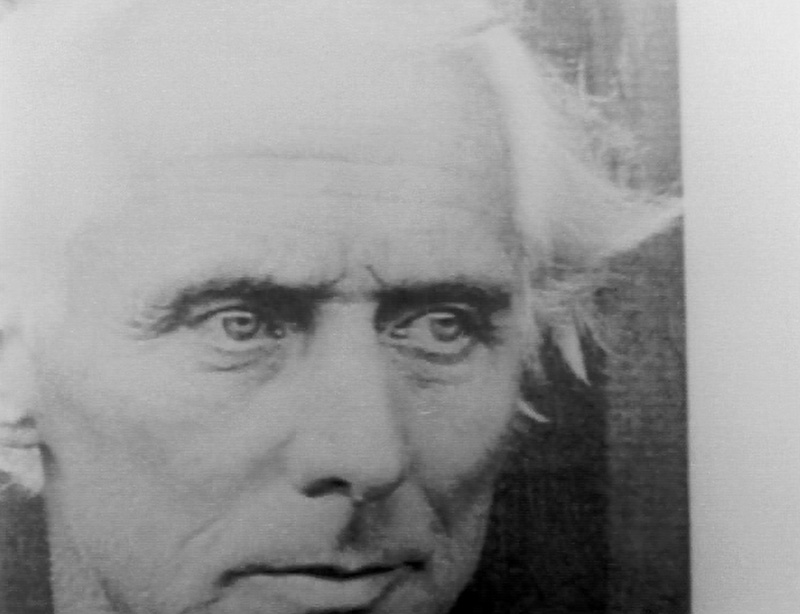 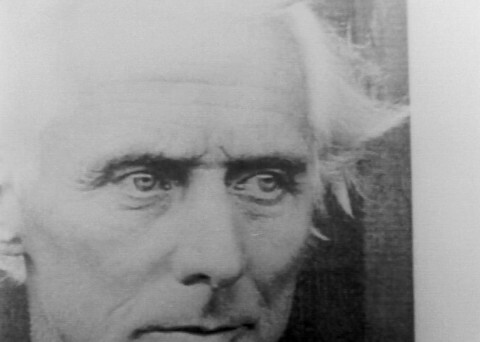 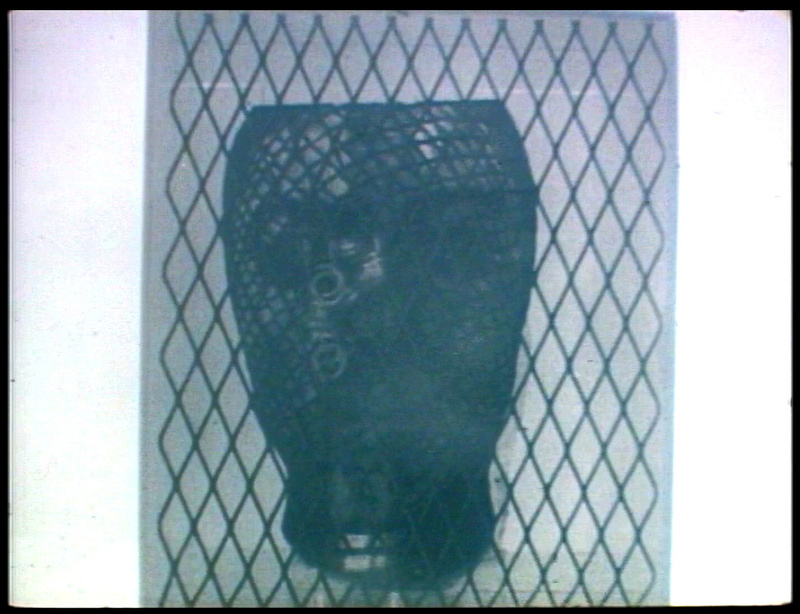 The film also includes photos I took, a number with multiple exposures, and drawings I did from the photos and from the work of Eadweard Muybridge, whose studies in motion inspired me. 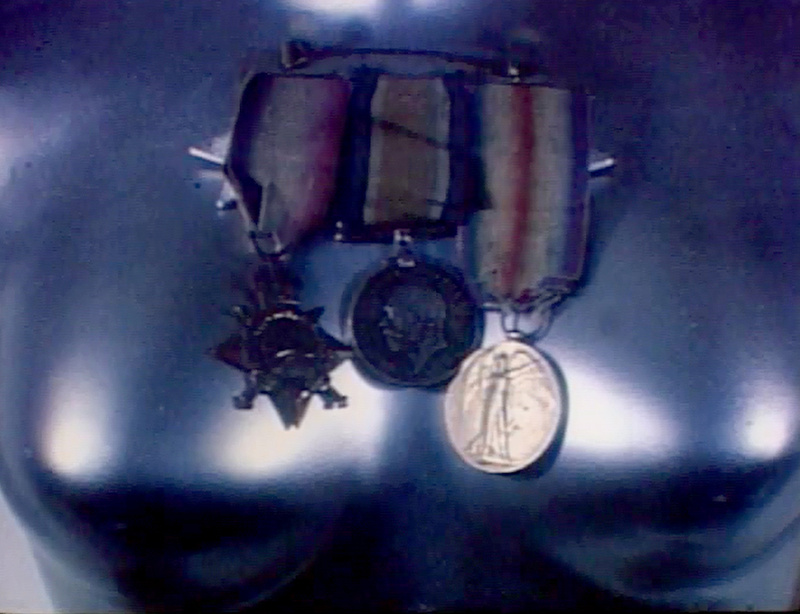 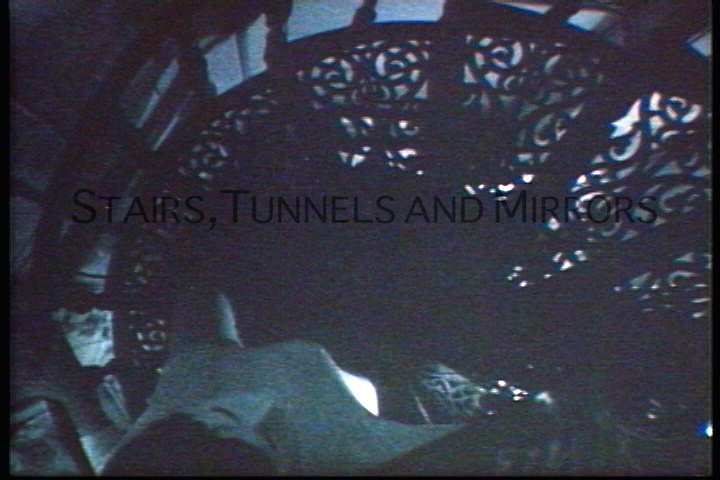 A film featuring my work as shown in my 1969 diploma exhibit at Chelsea College of Art. 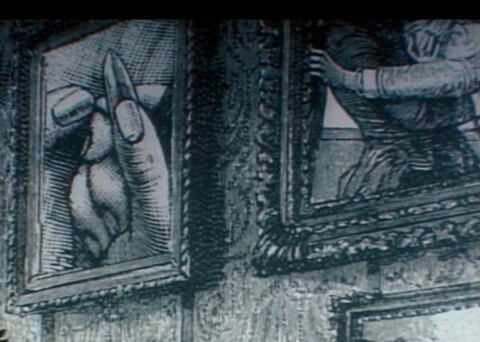 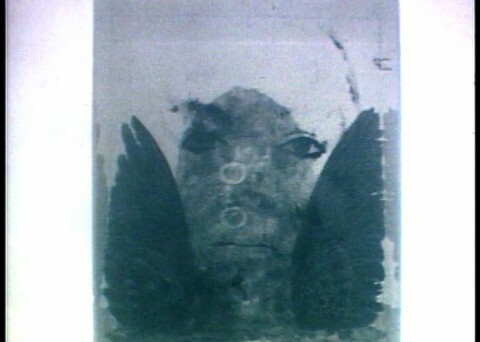 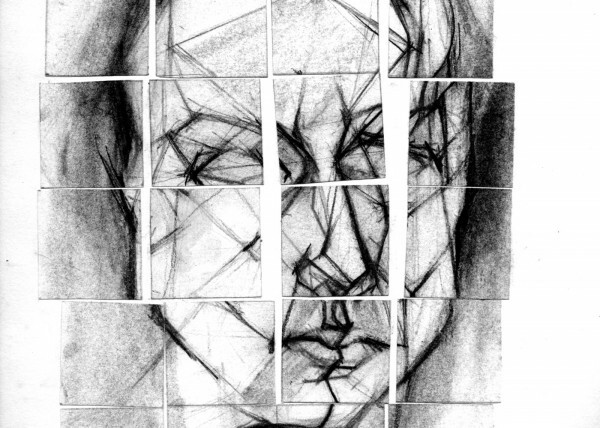 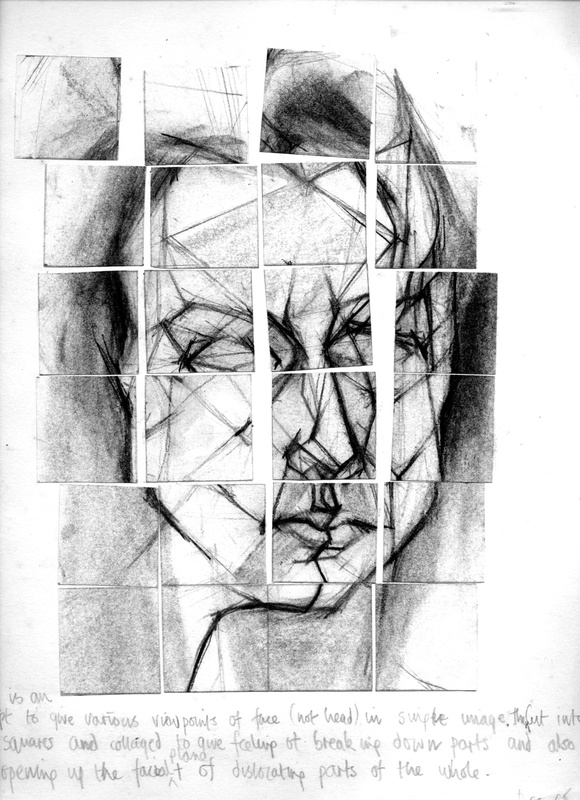 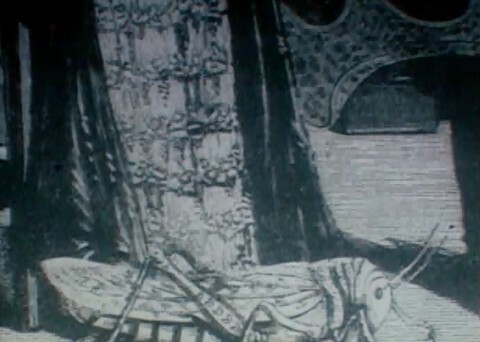 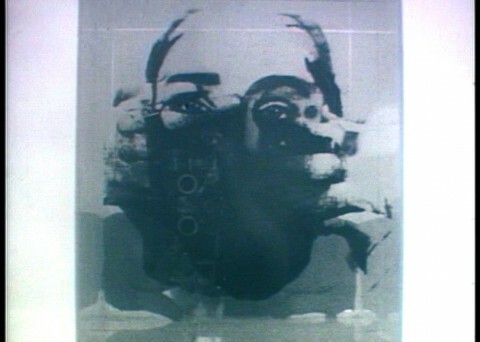 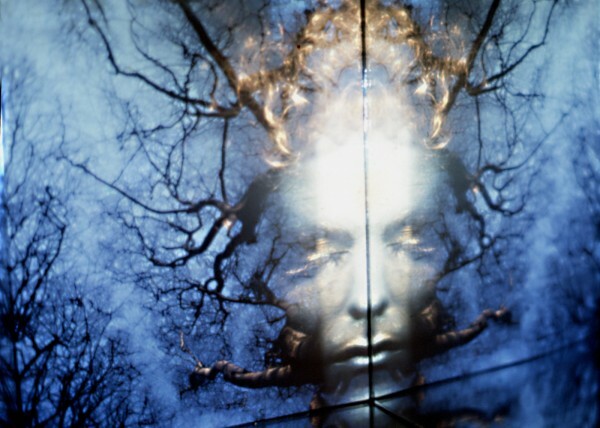 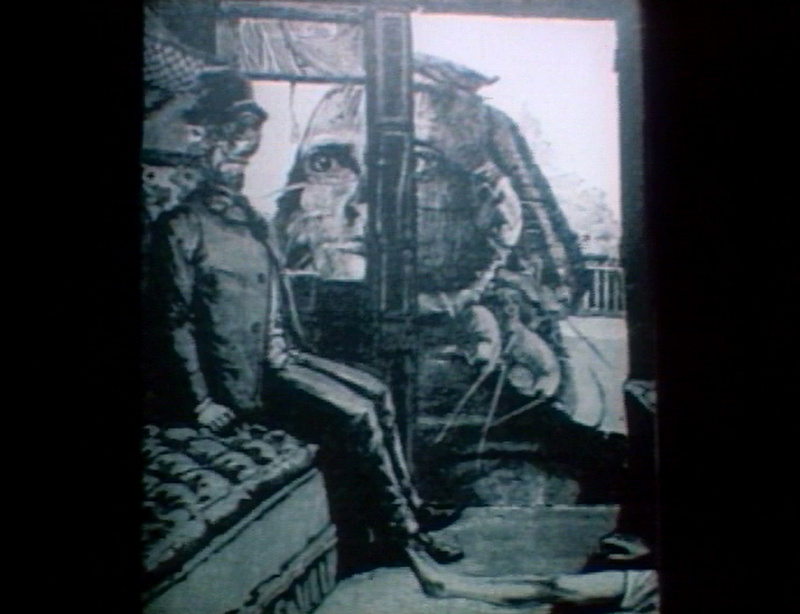 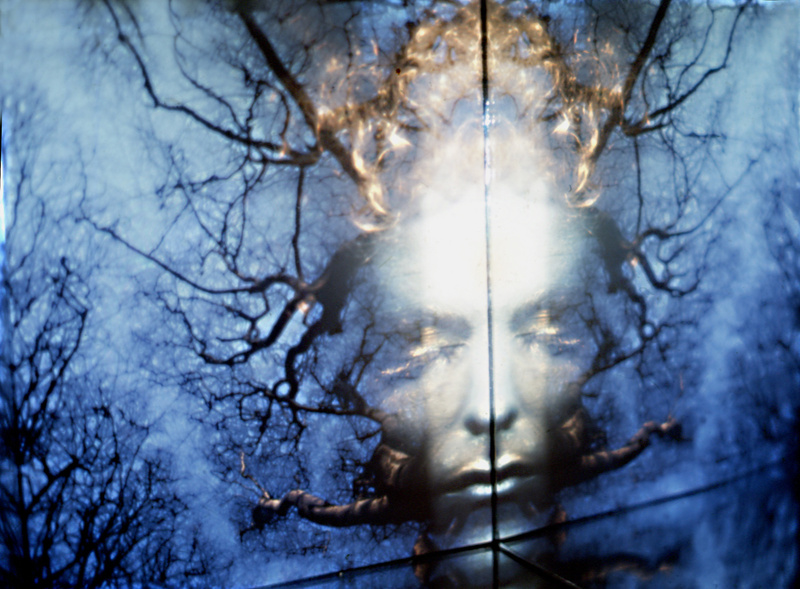 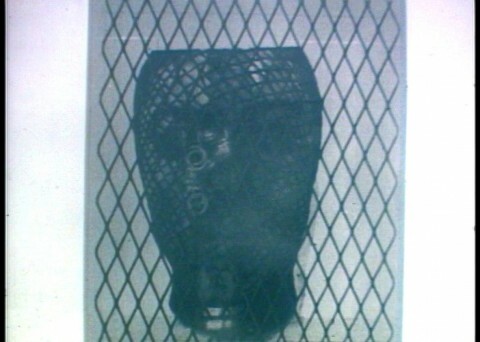 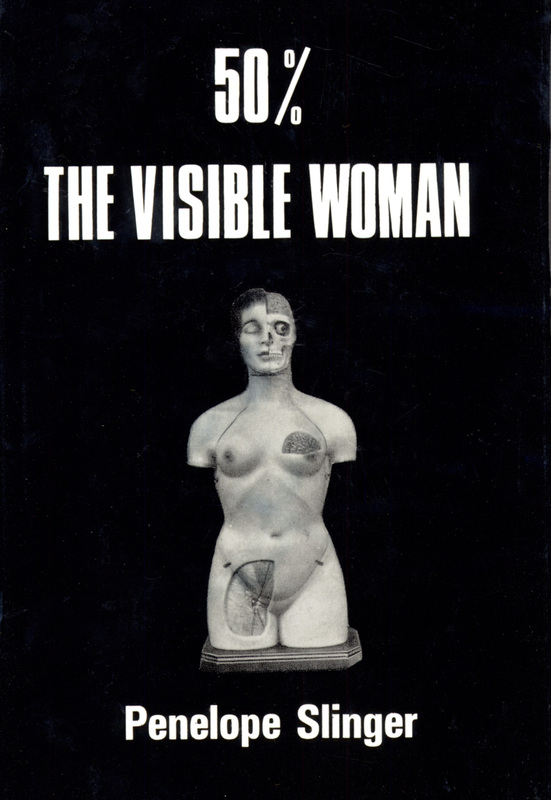 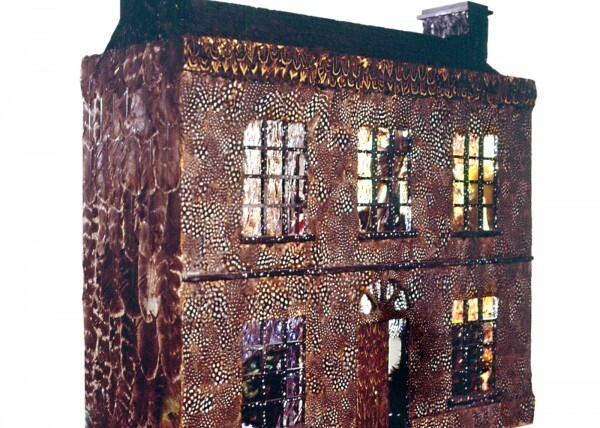 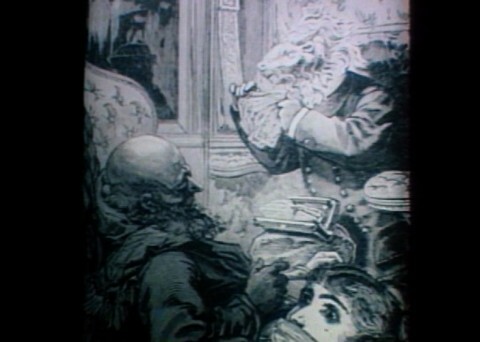 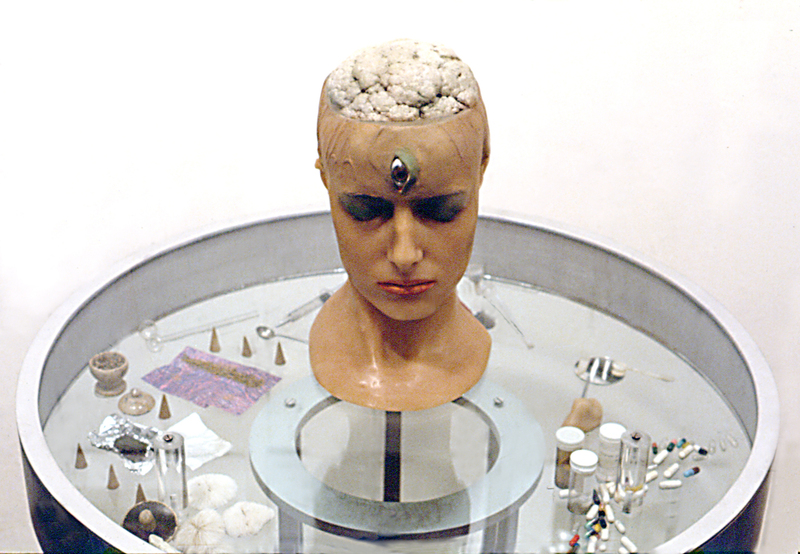 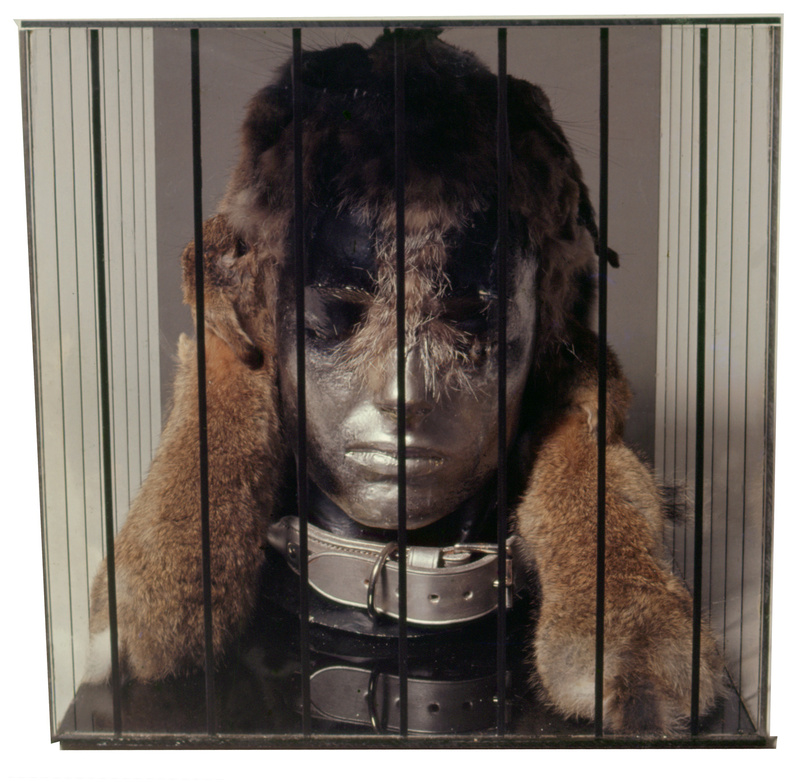 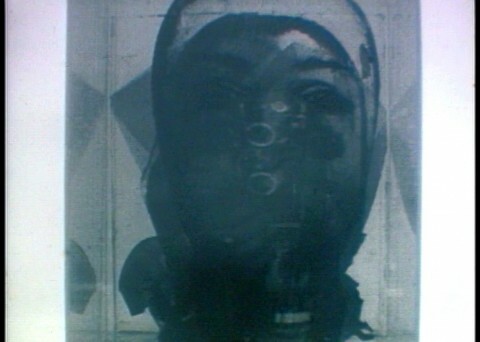 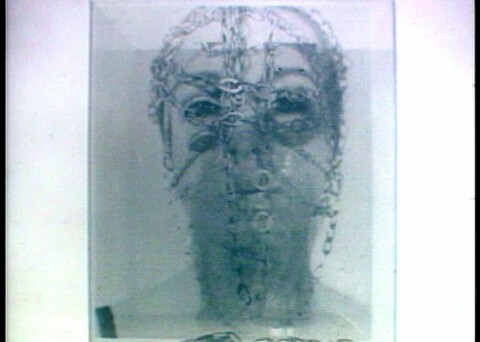 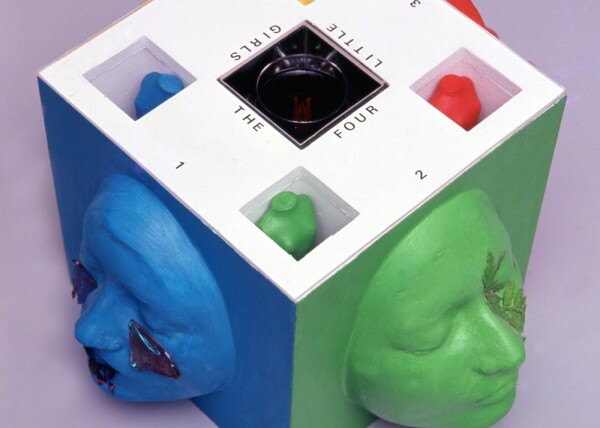 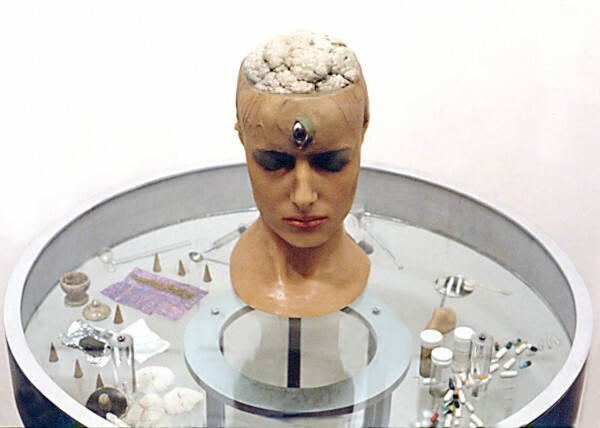 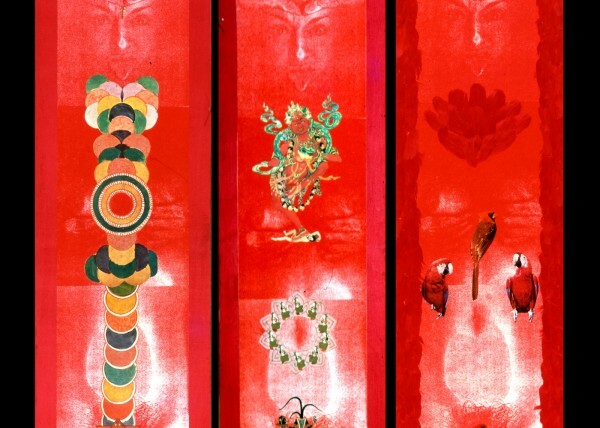 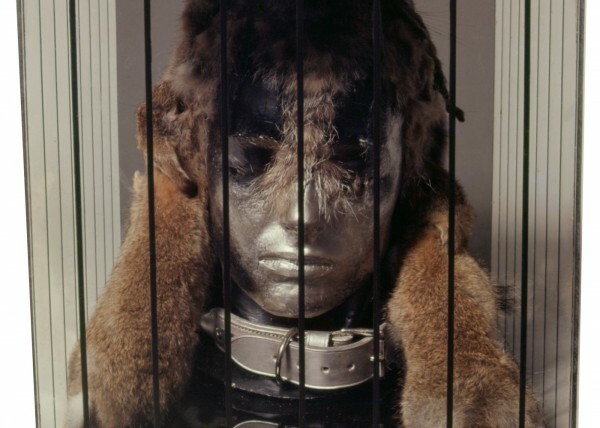 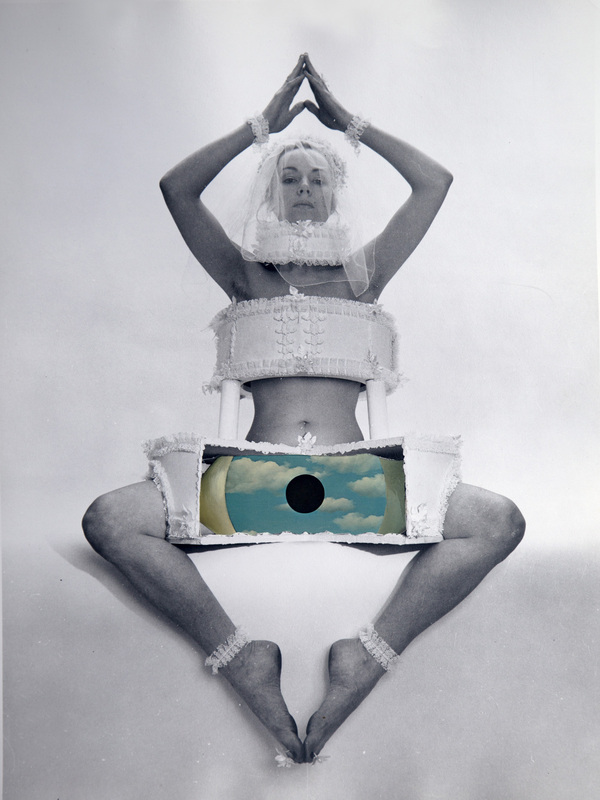 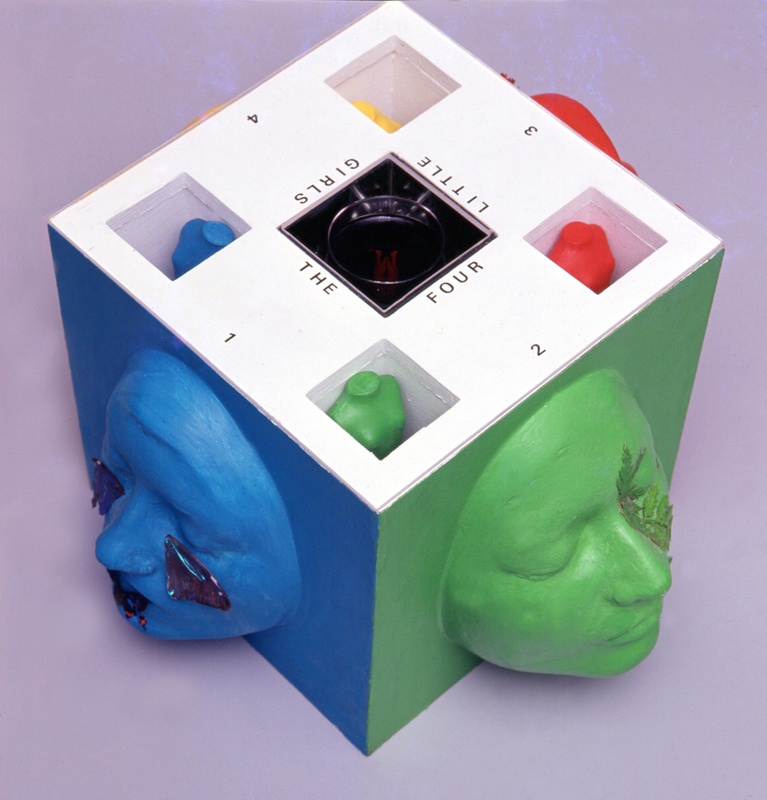 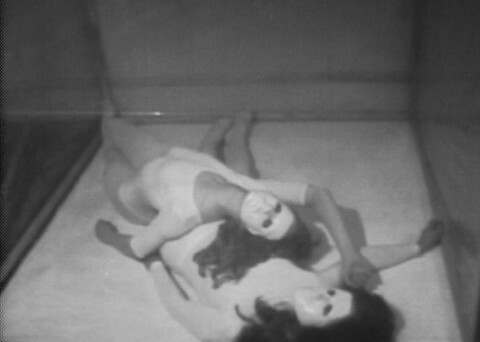 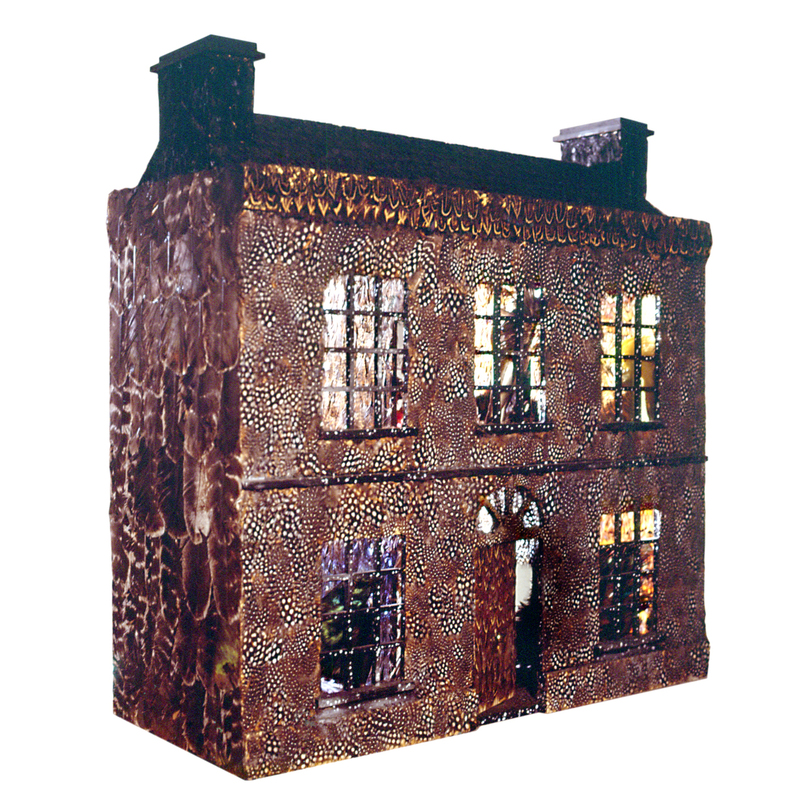 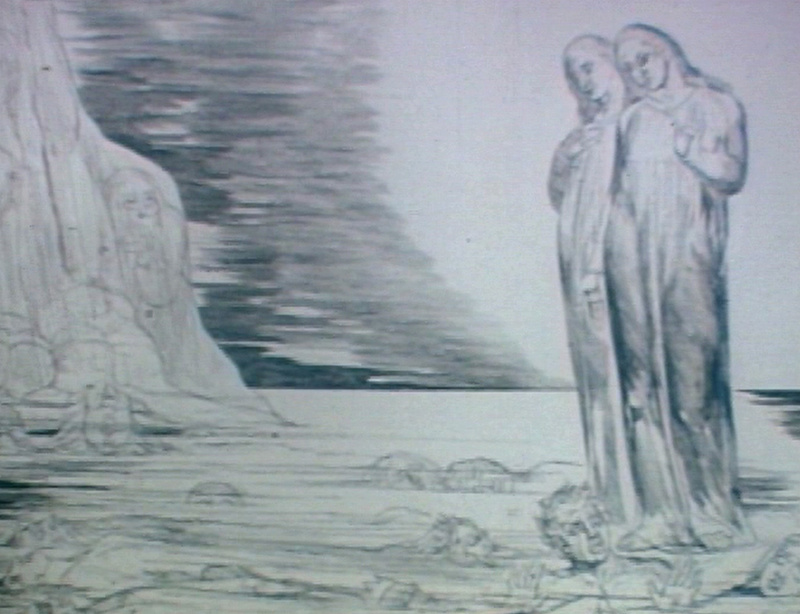 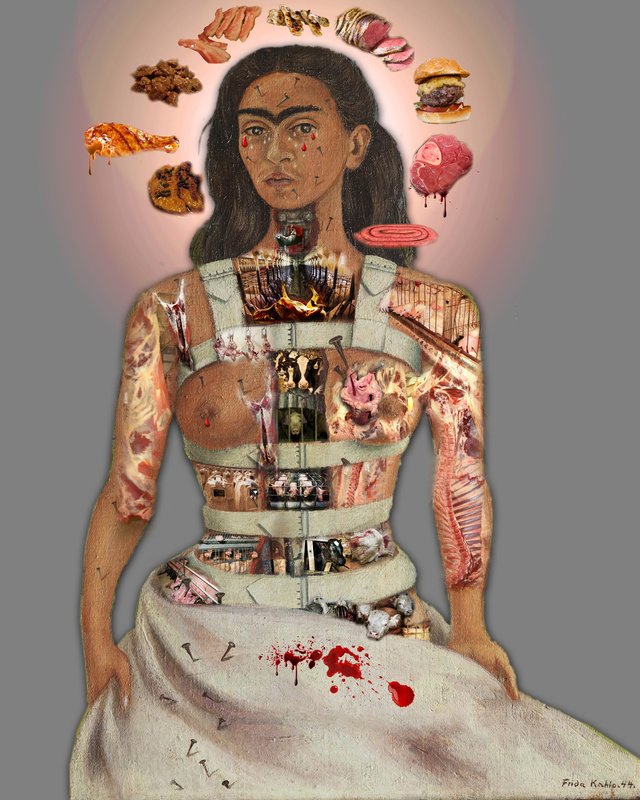 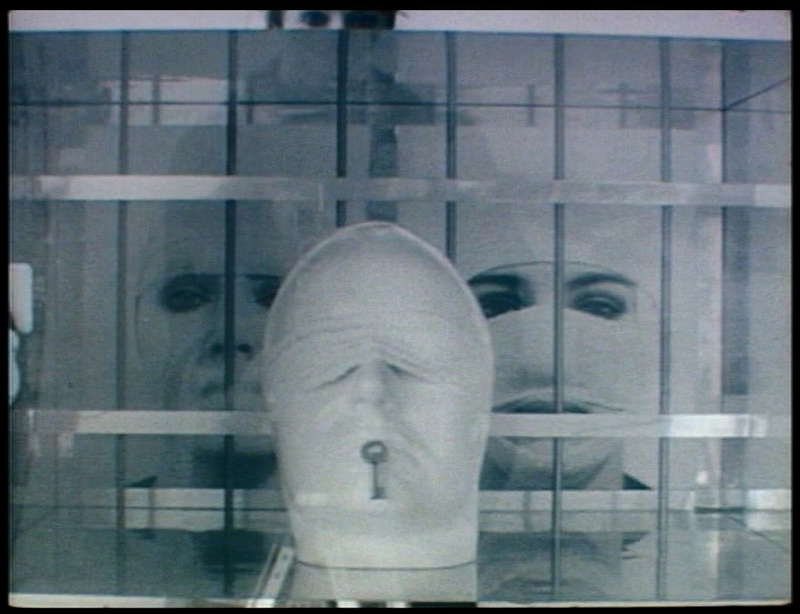 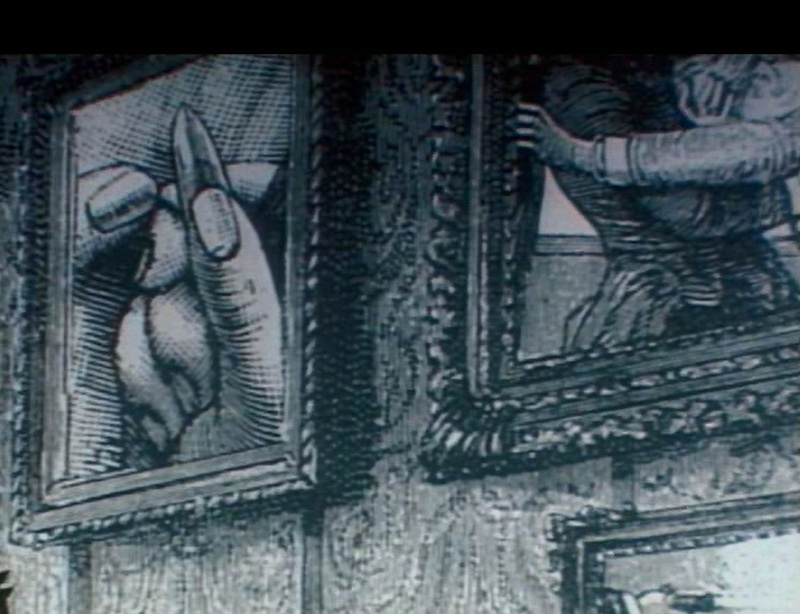 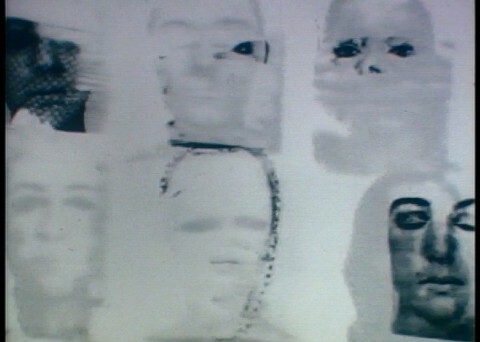 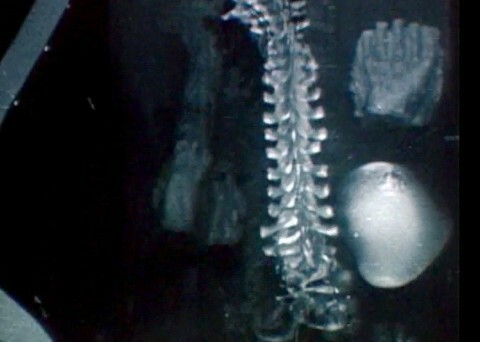 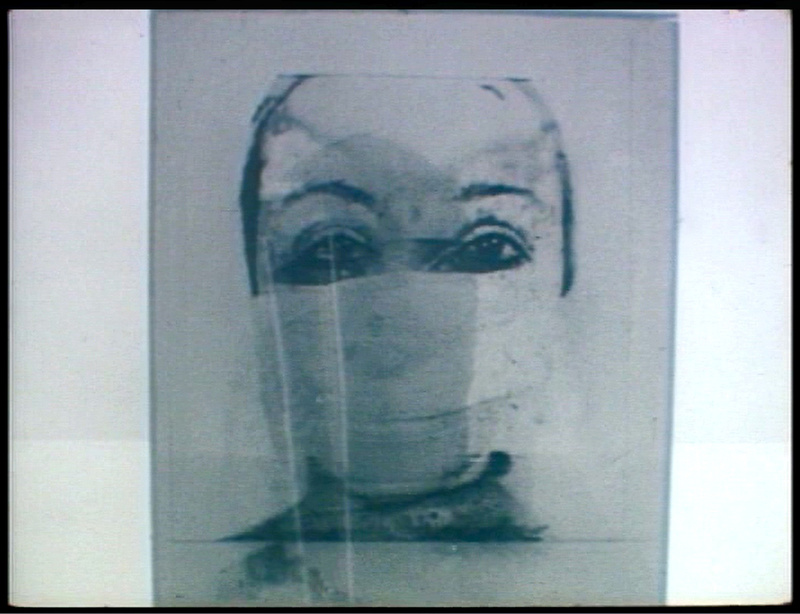 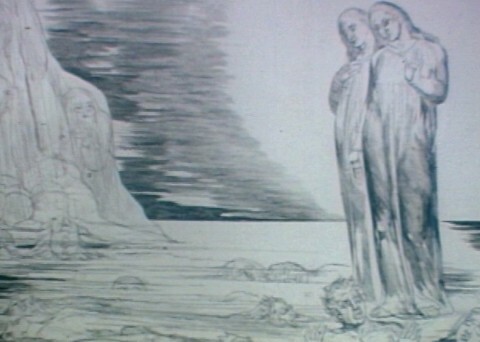 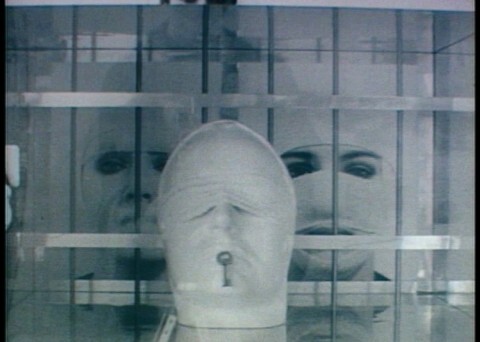 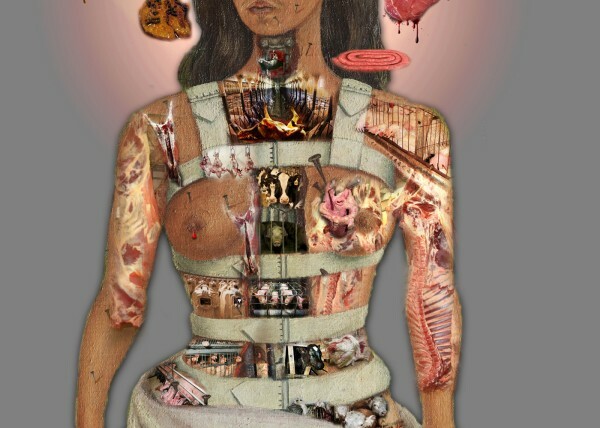 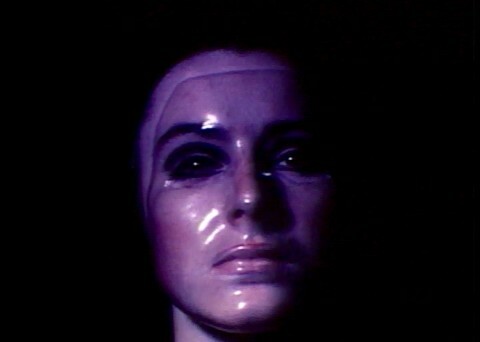 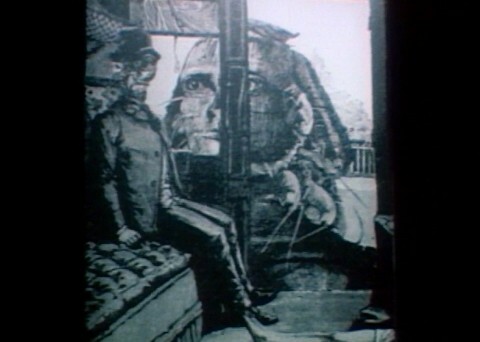 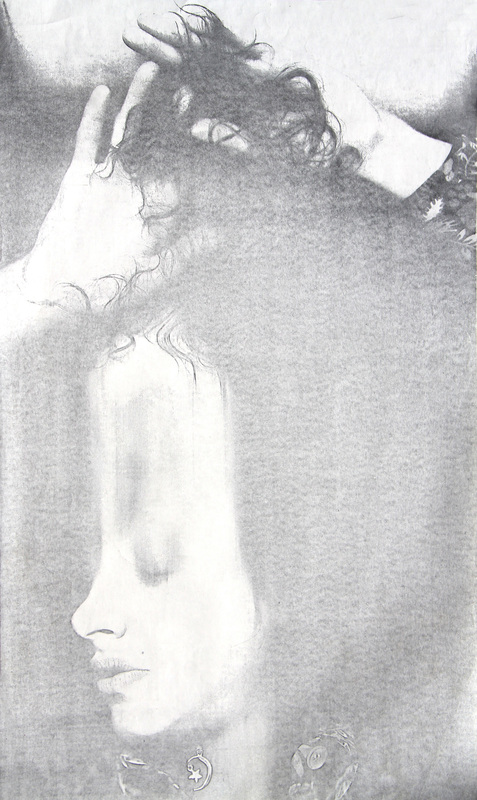 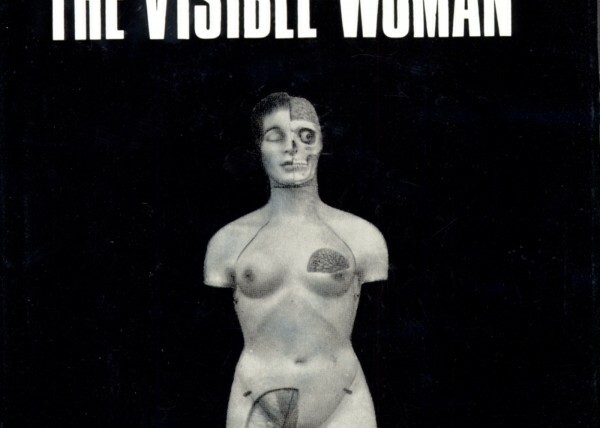 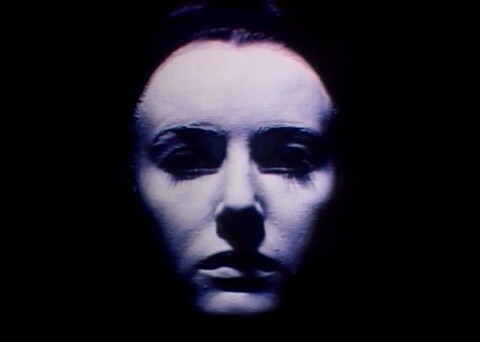 It explores my Mummy Case, then the series of works that are based on a model’s image reflected in a series of mirrors. 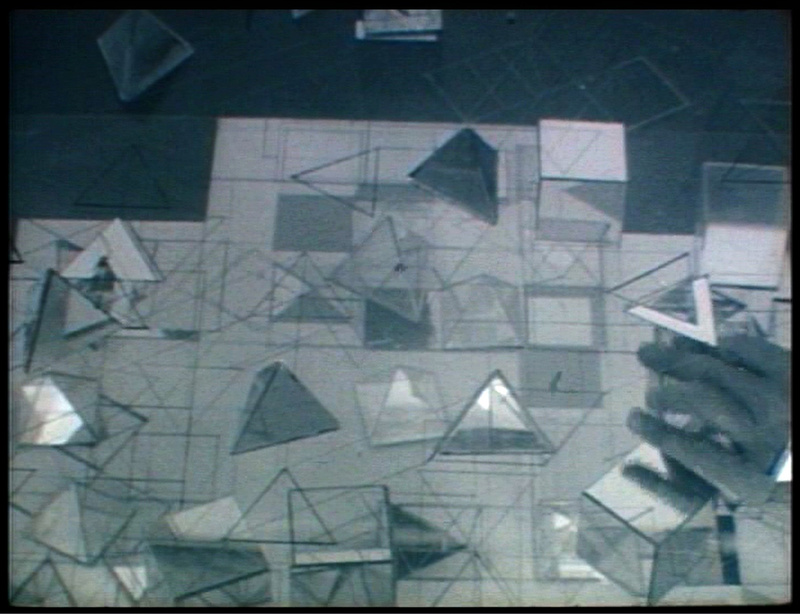 It shows the game I created where the pieces are glass and mirror geometric forms, moved in relation to each other on three layers. 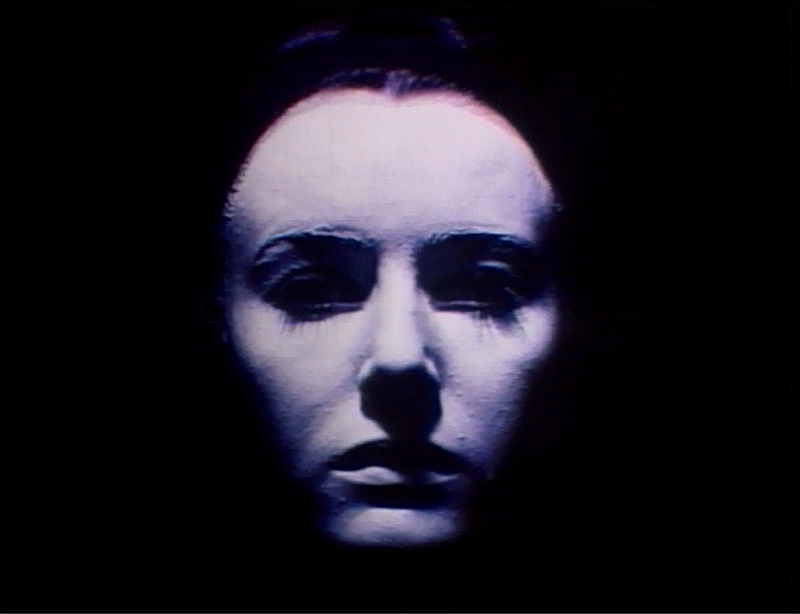 Finally the film passes through some of the Headbox sculptures and Face prints I made, using lifecasts and photographs of my face. 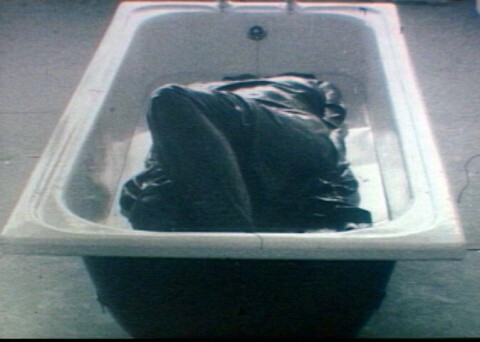 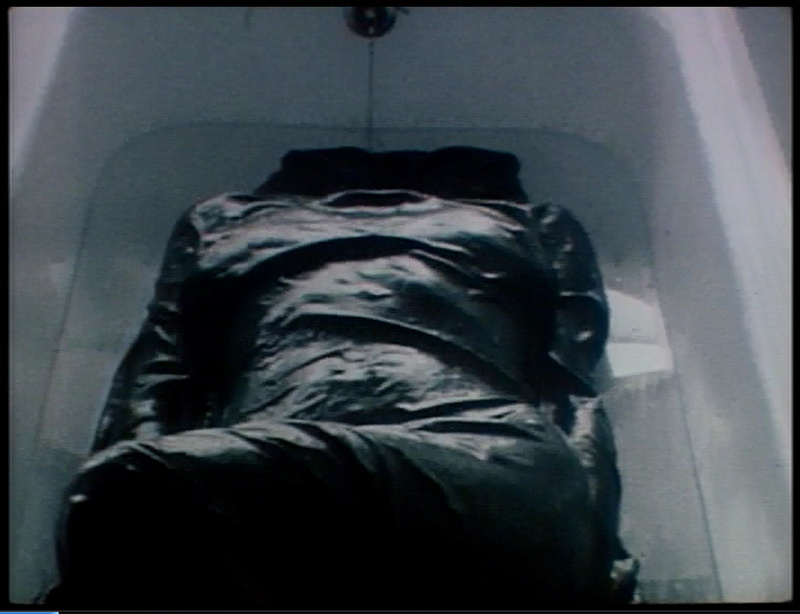 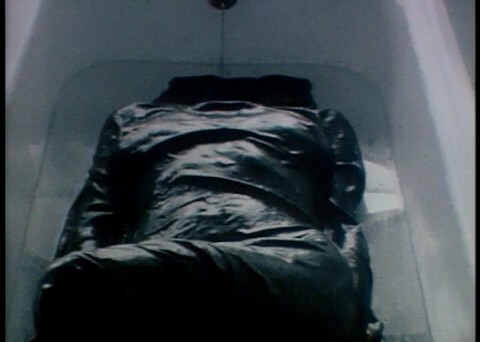 From the 1969 exhibition, Bride in the Bath is shown in its sculptural form – a life cast of a model’s body lying back in a bath and draped in black silk coated in resin. 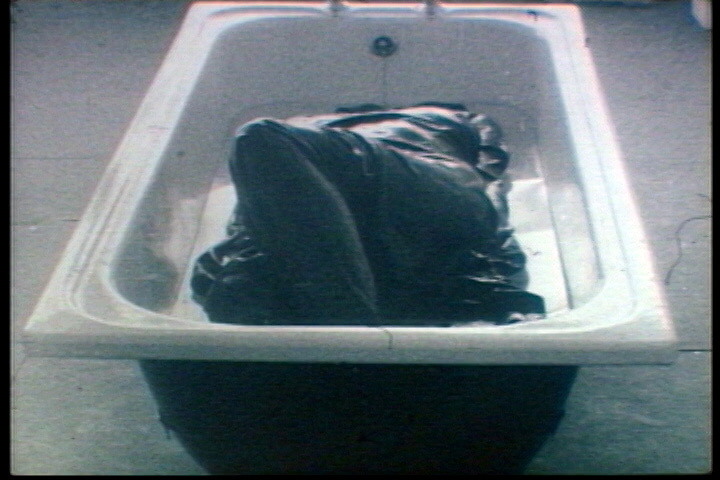 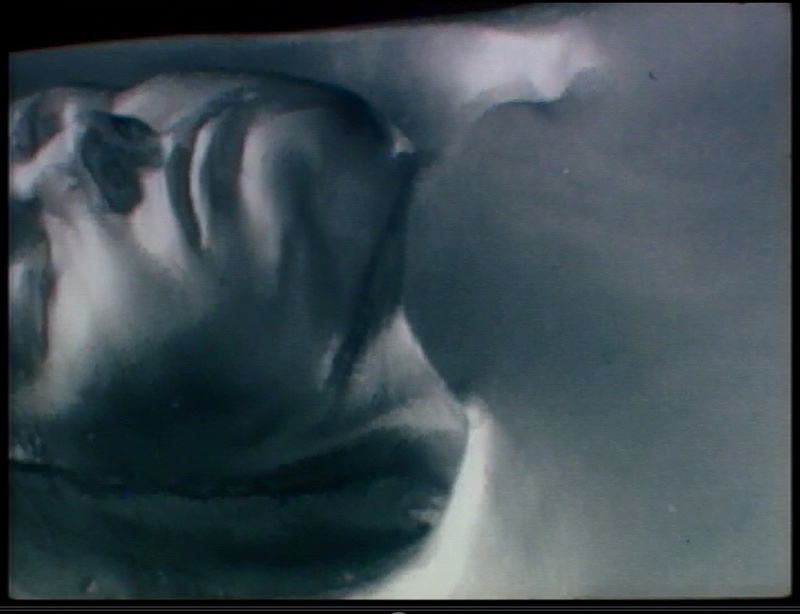 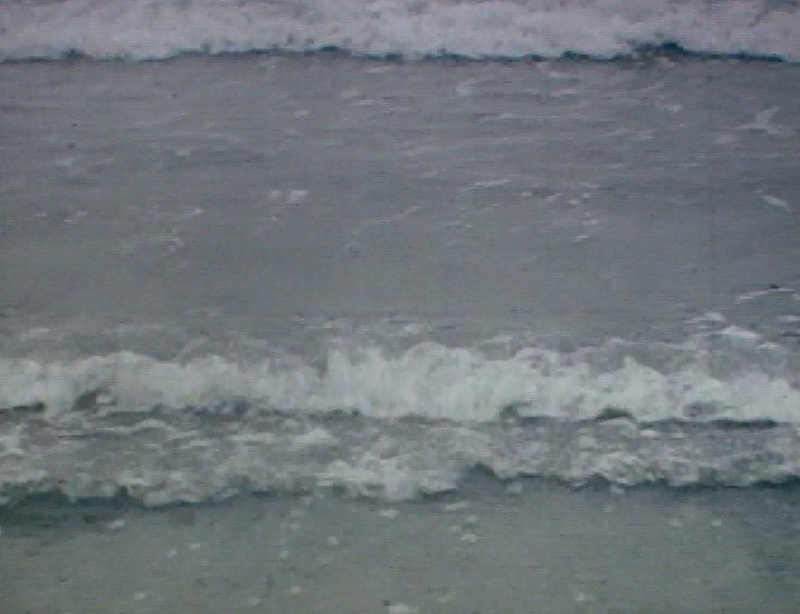 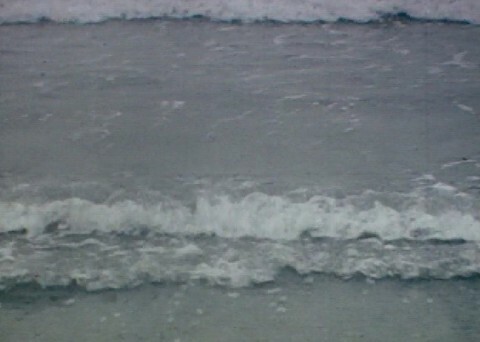 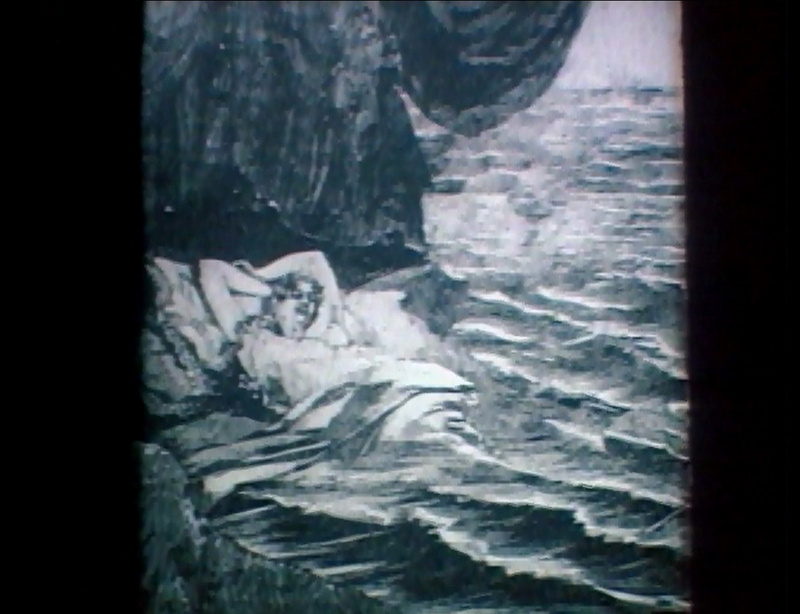 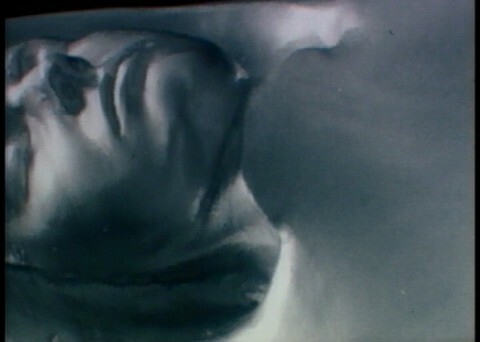 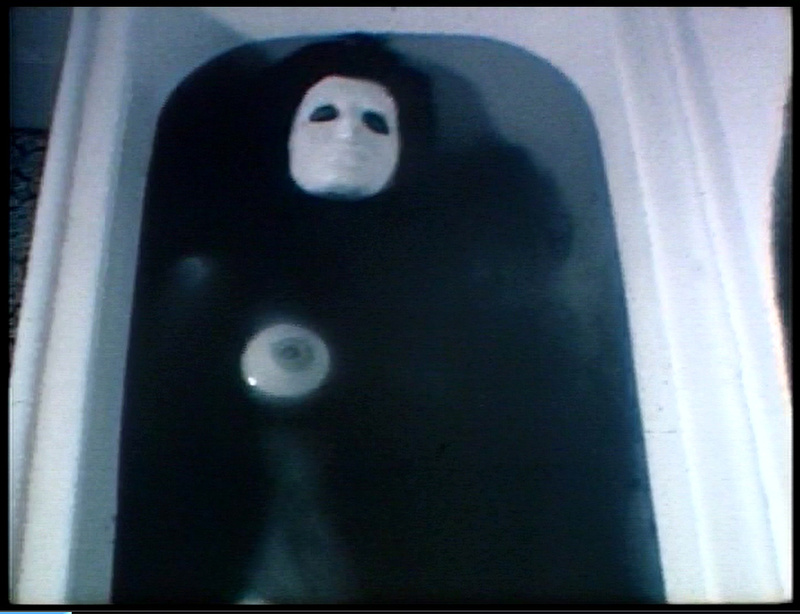 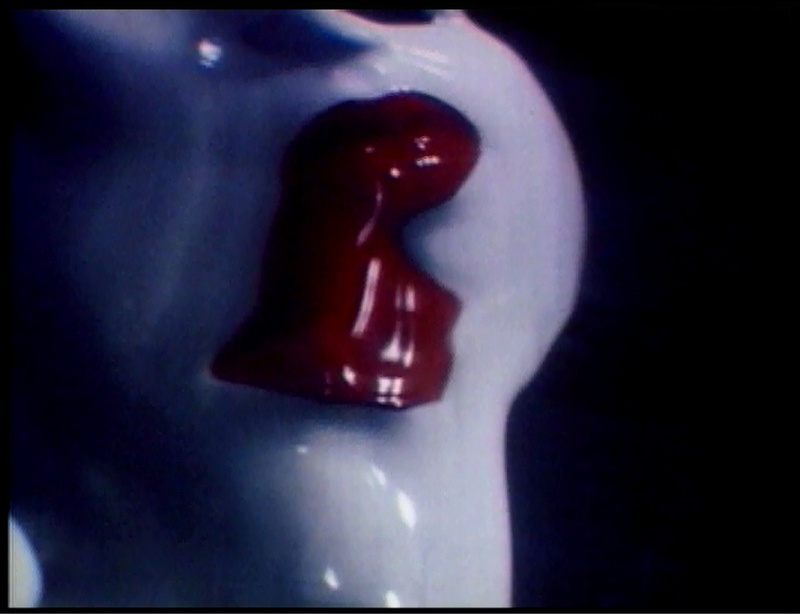 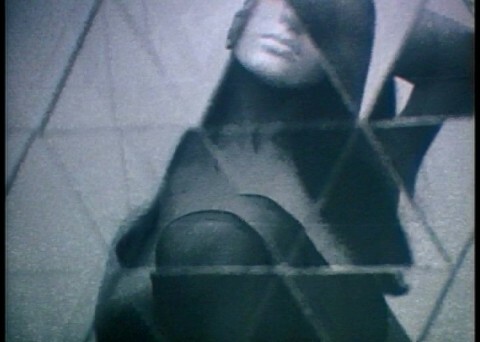 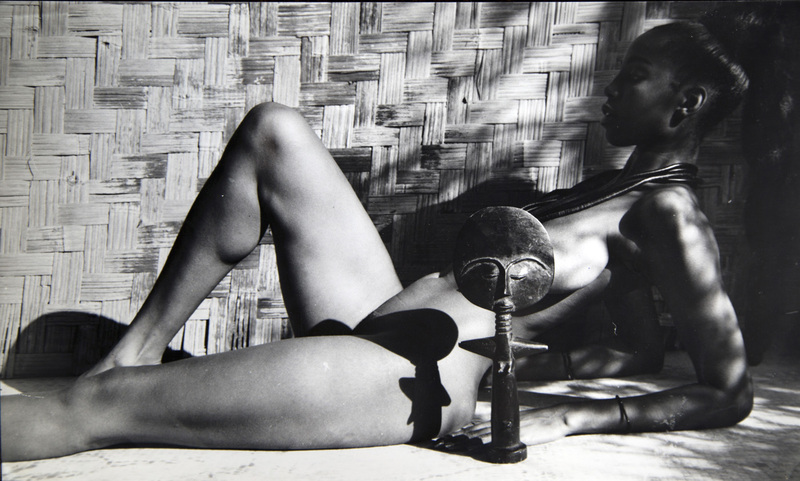 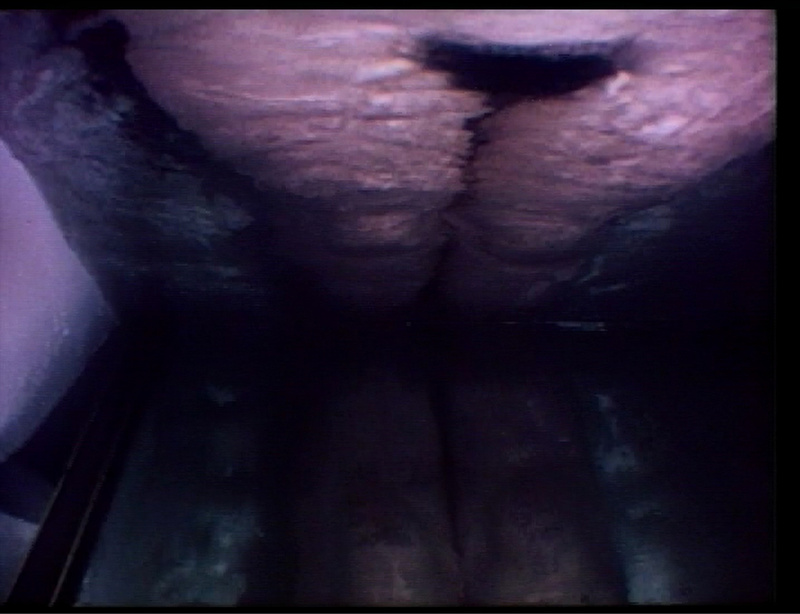 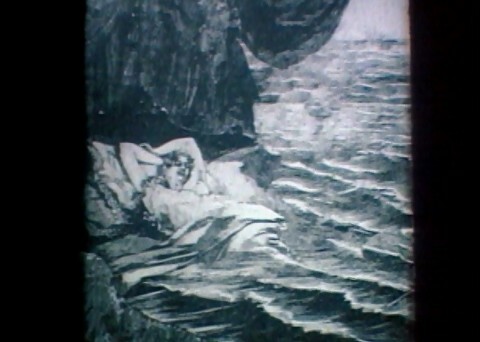 The footage is cut with film I shot of a model lying back in a bath in which black, then white ink is poured. 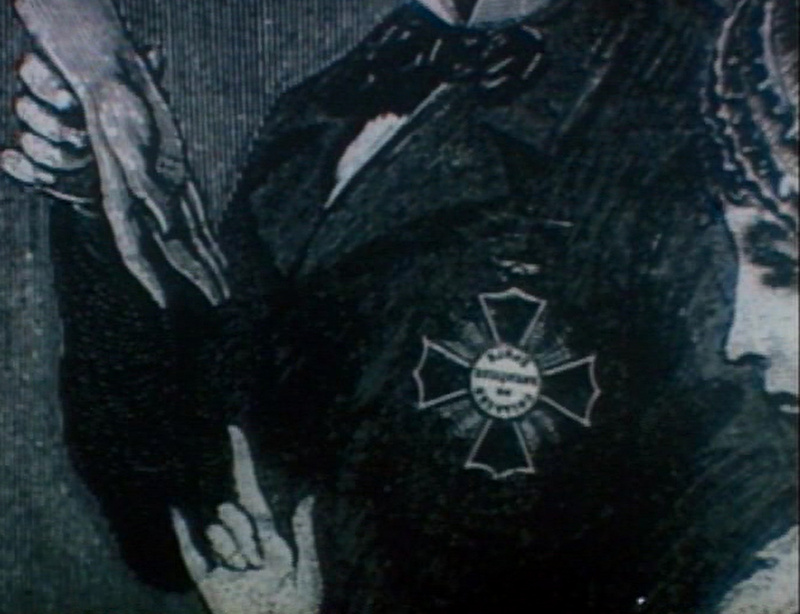 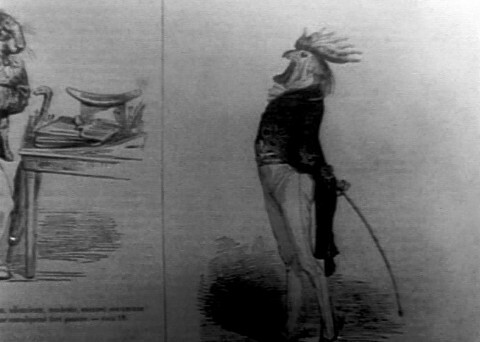 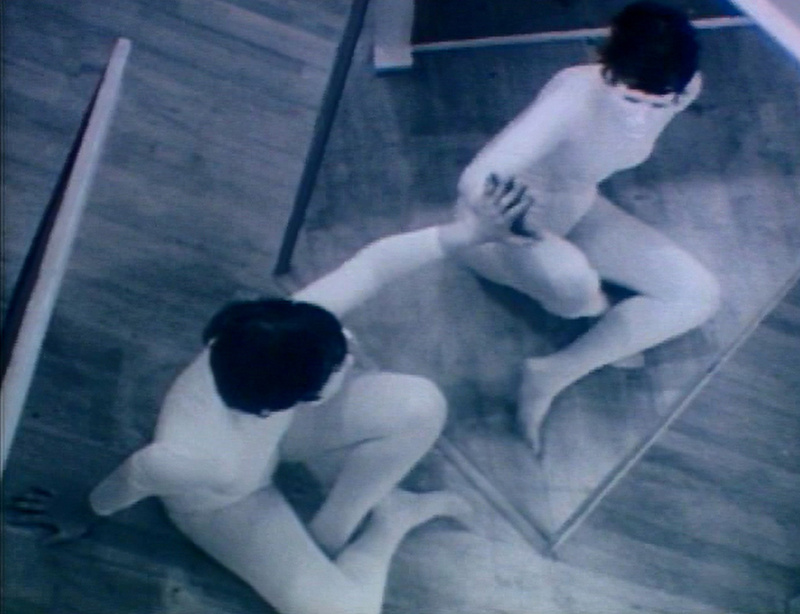 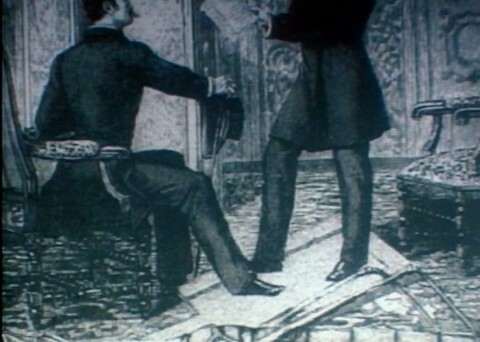 The final images are shot in color from the position of looking down on oneself in the bath and reflected back in a mirror. 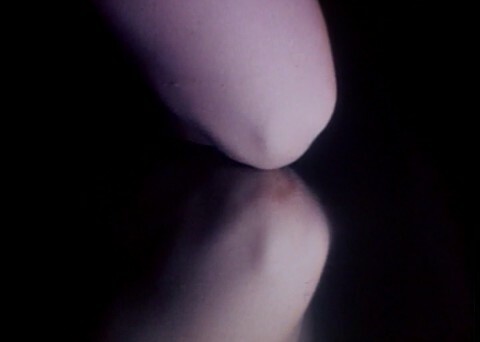 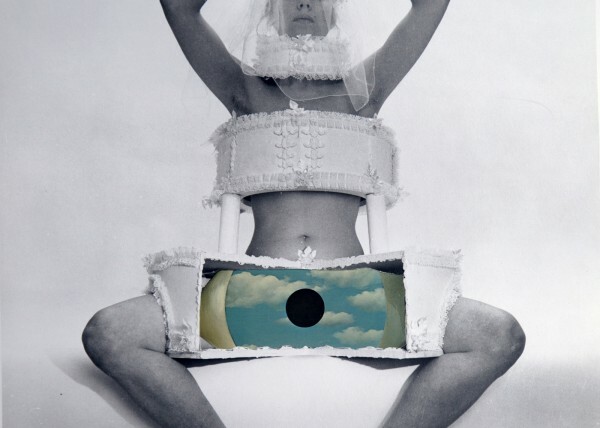 All are part of my exploration of the female body in water, the body in the bath. 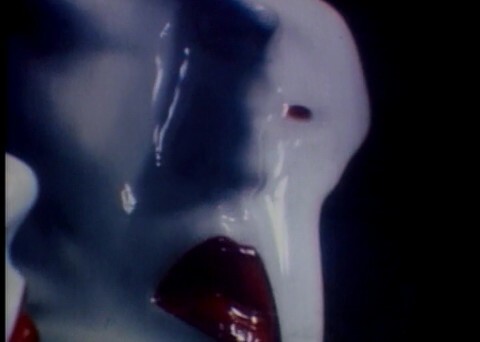 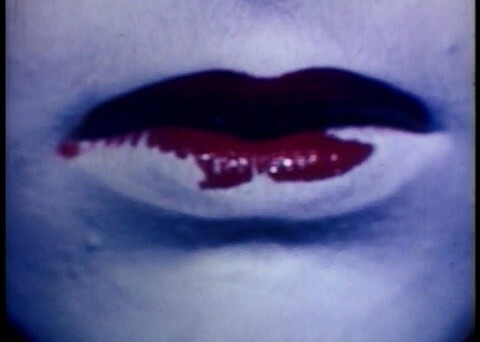 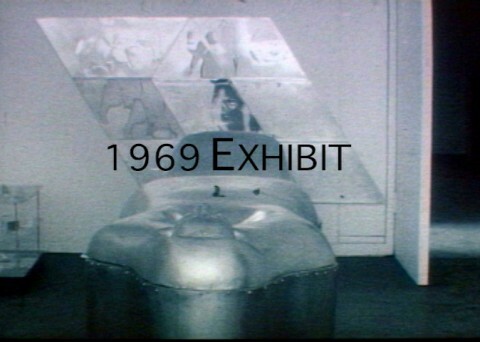 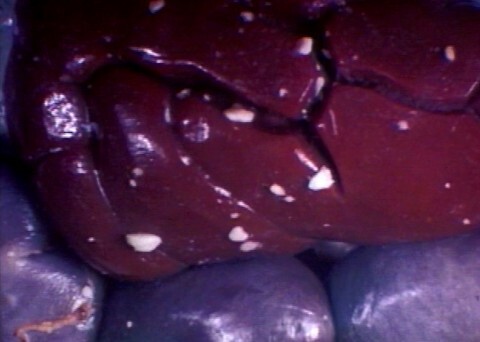 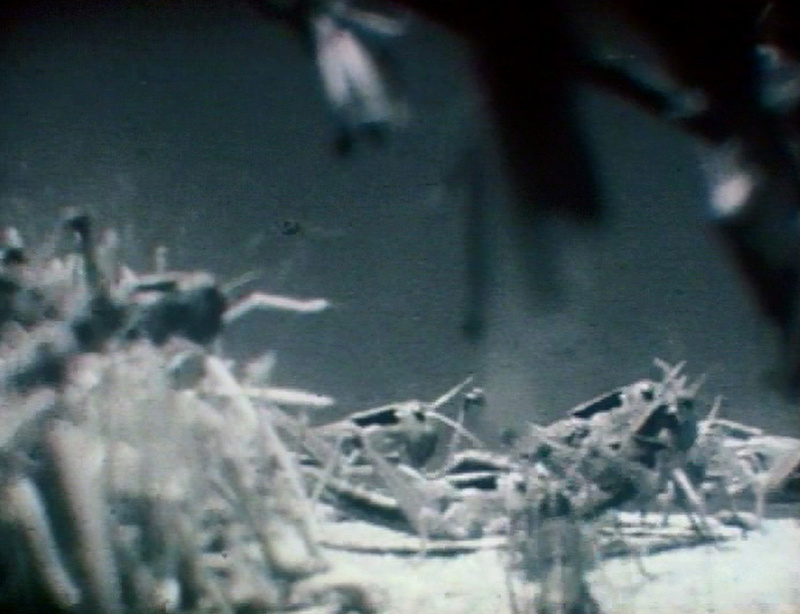 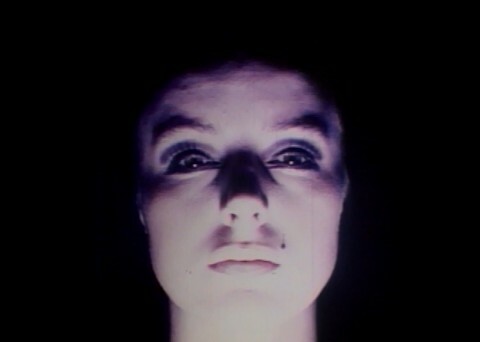 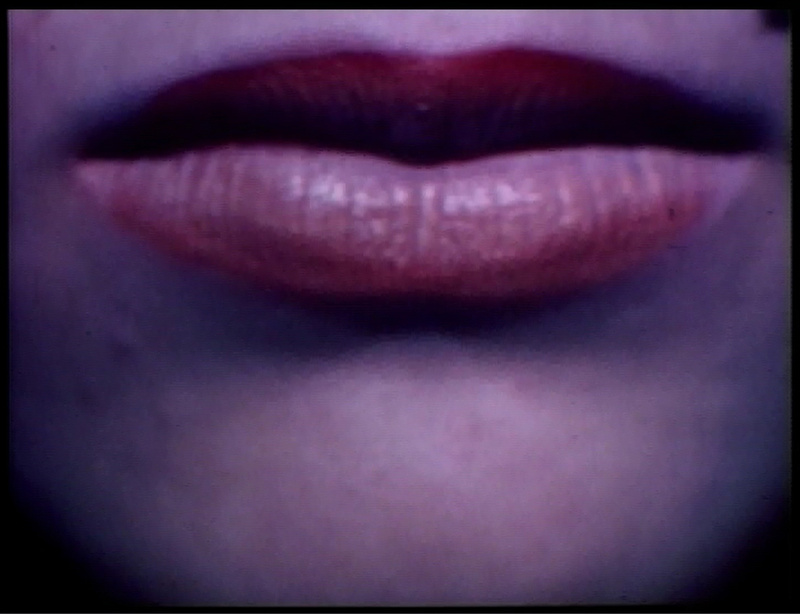 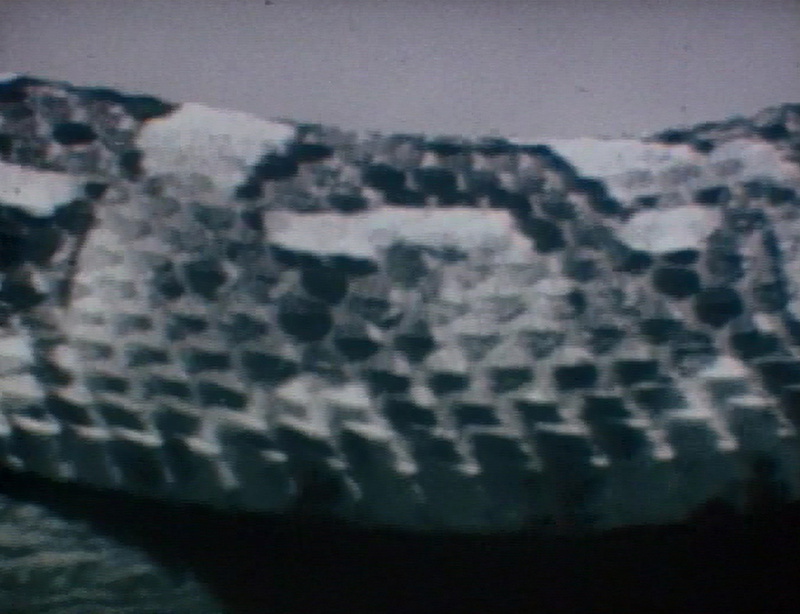 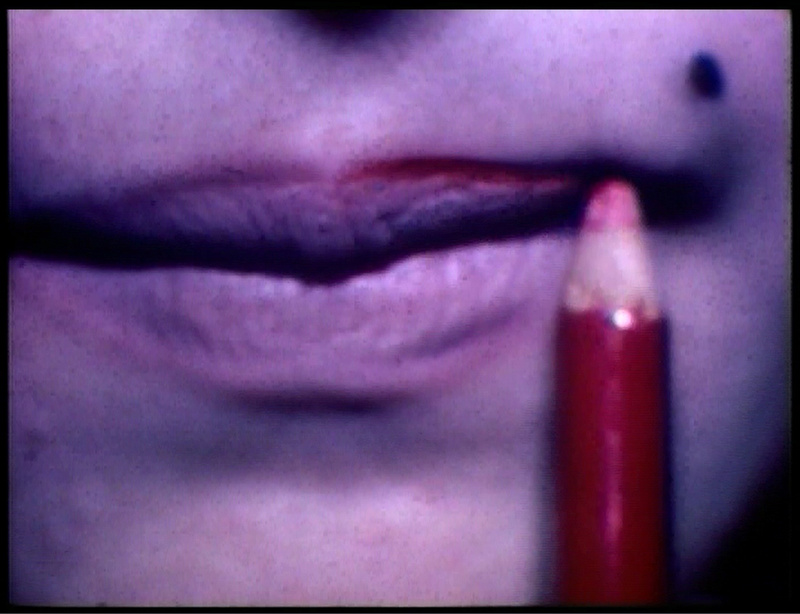 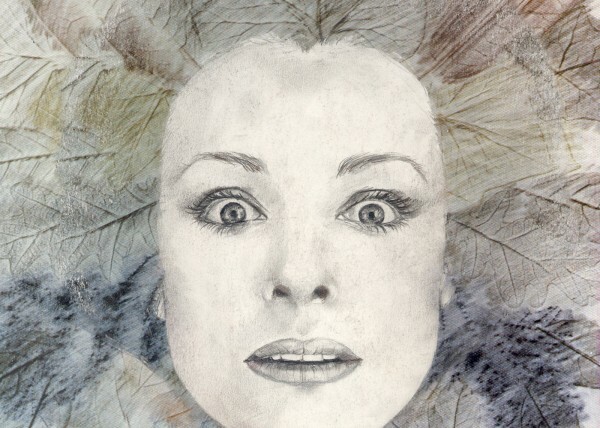 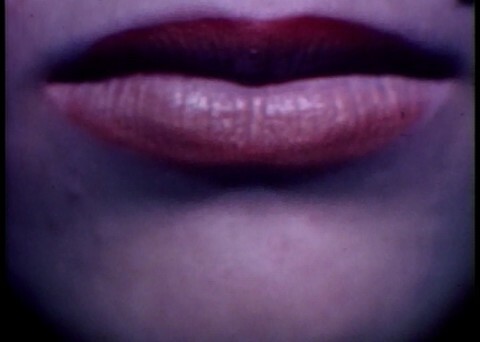 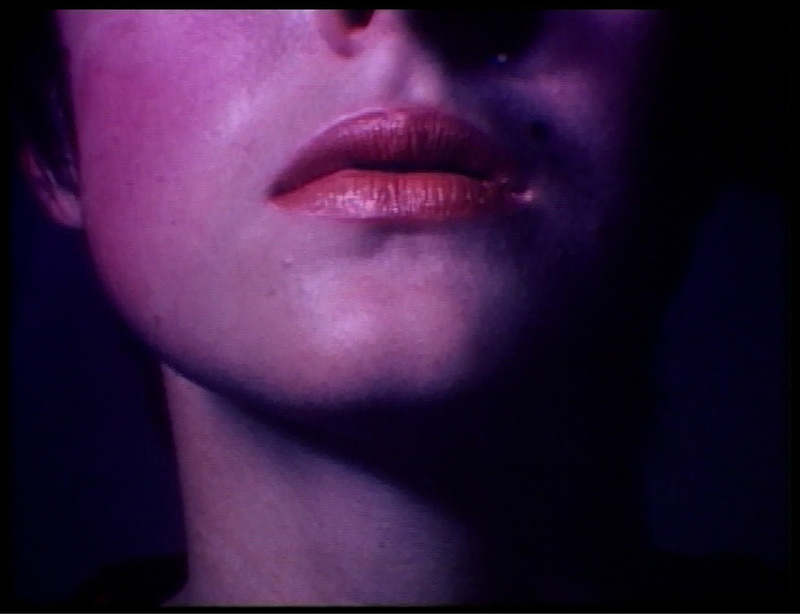 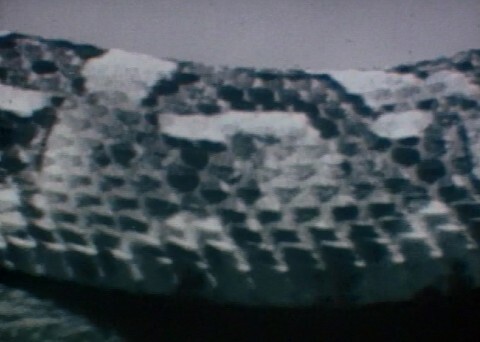 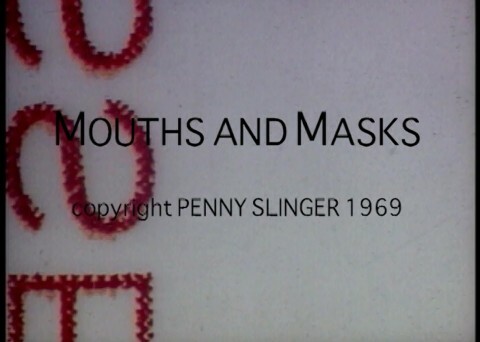 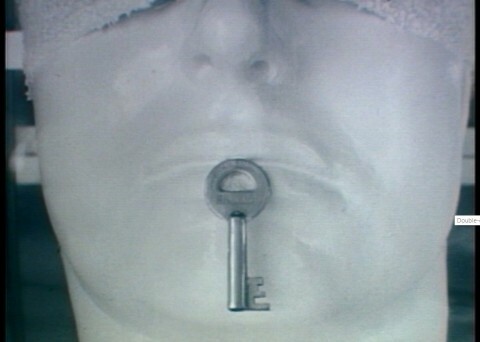 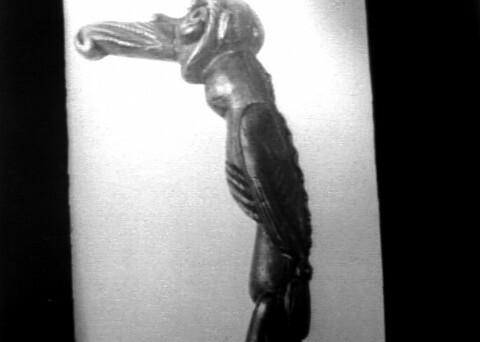 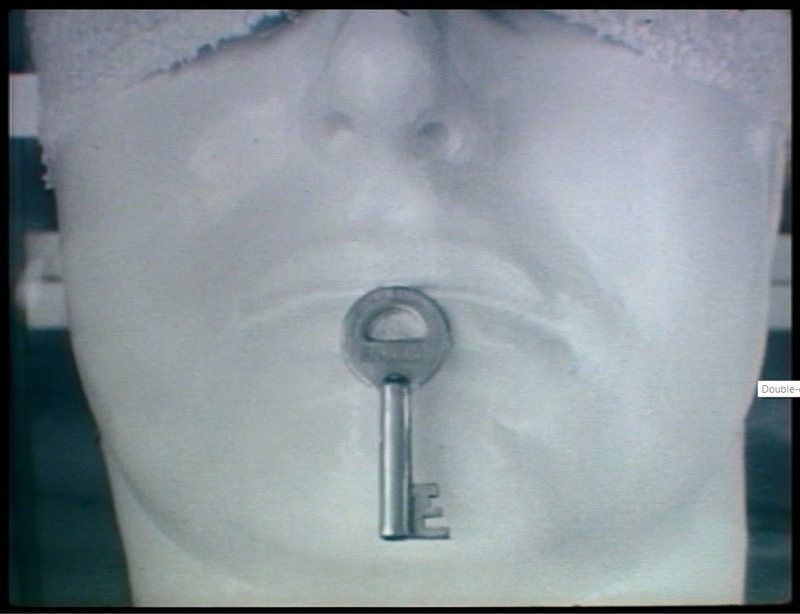 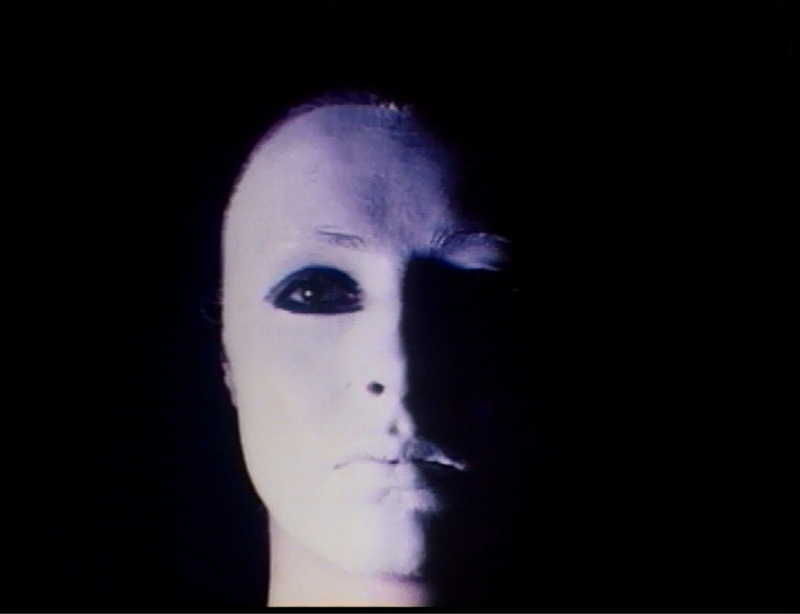 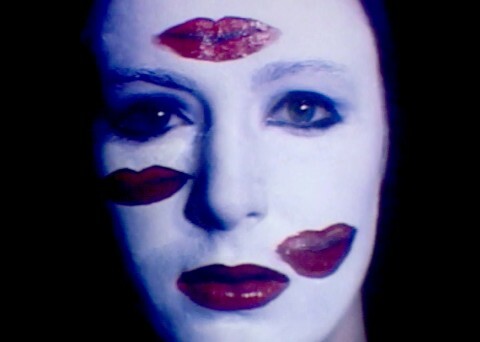 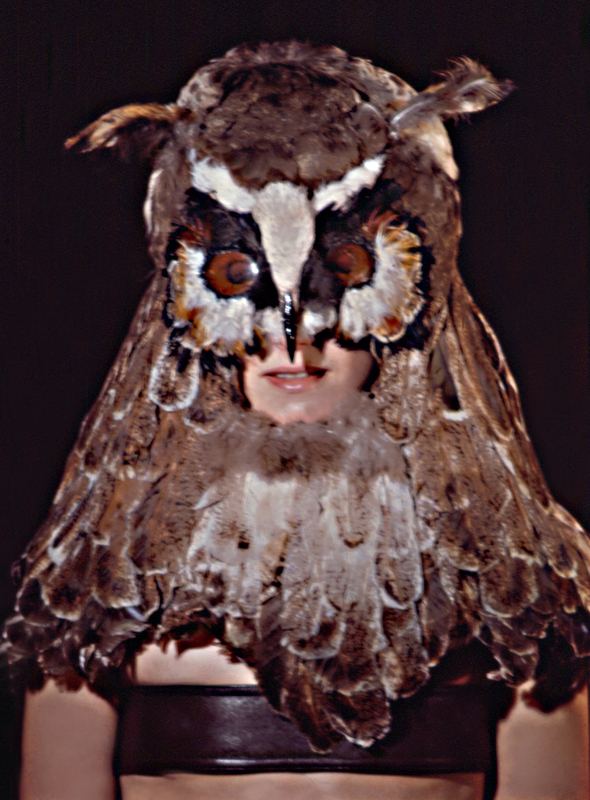 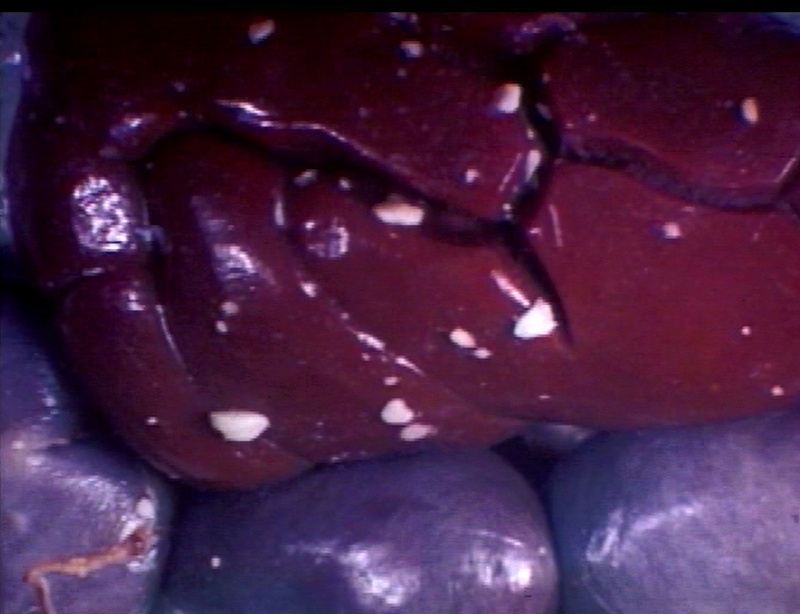 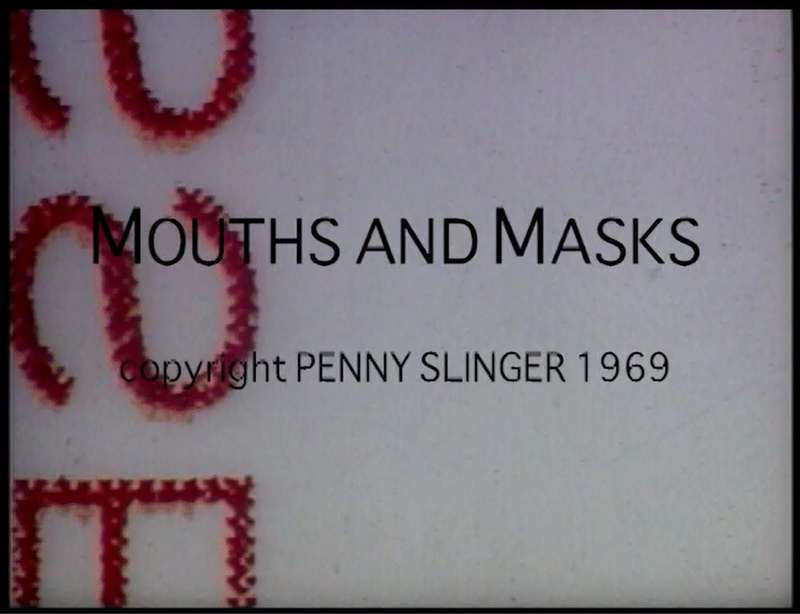 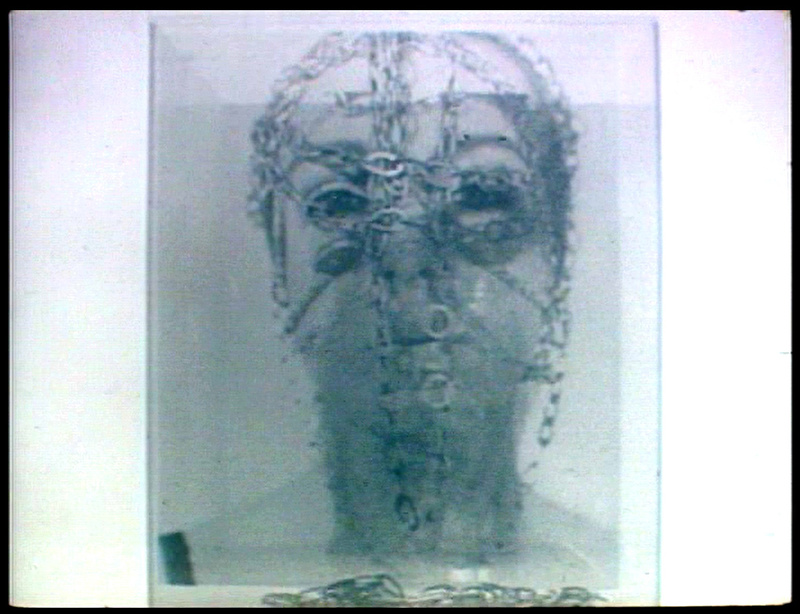 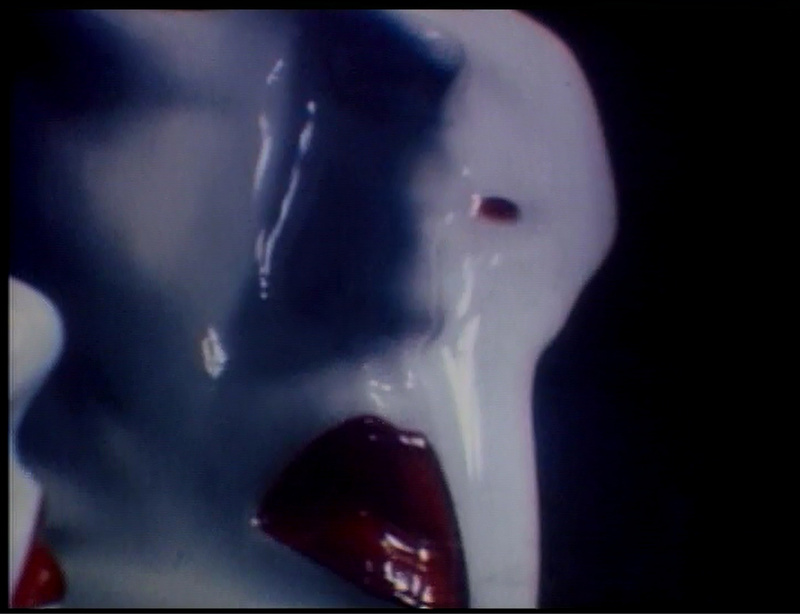 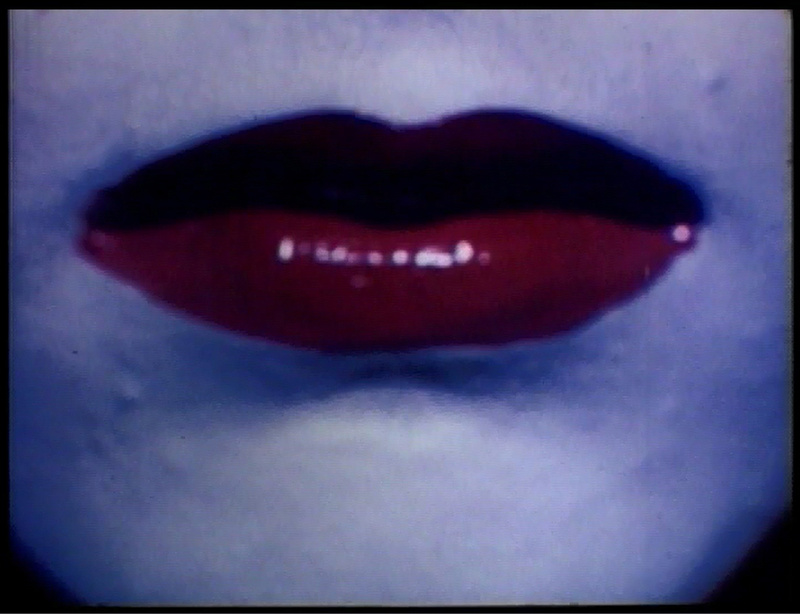 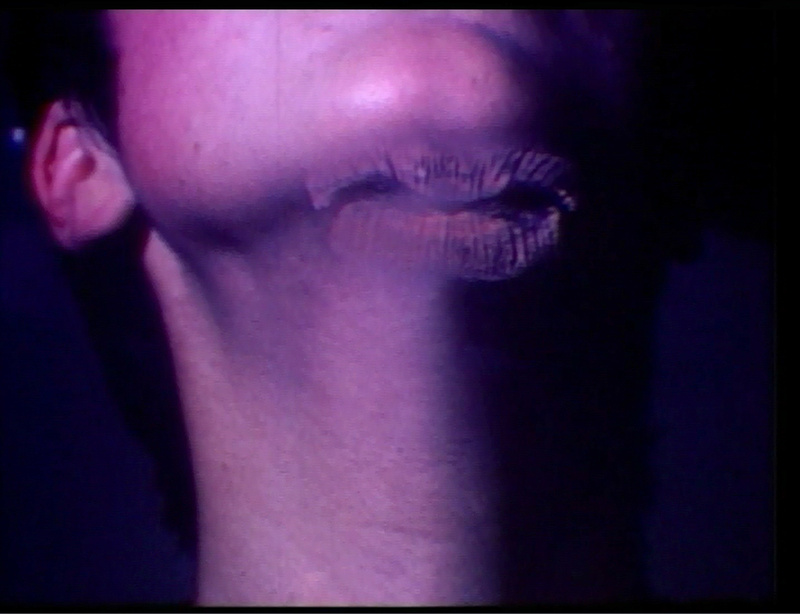 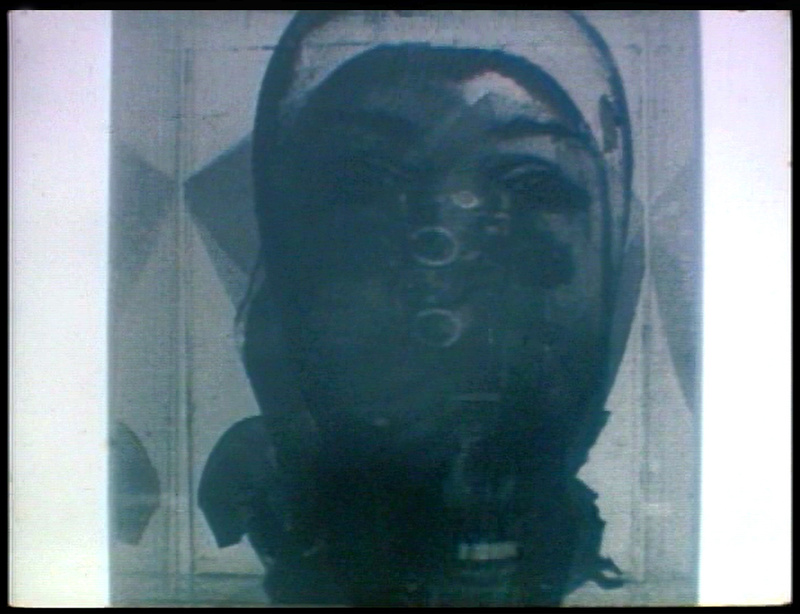 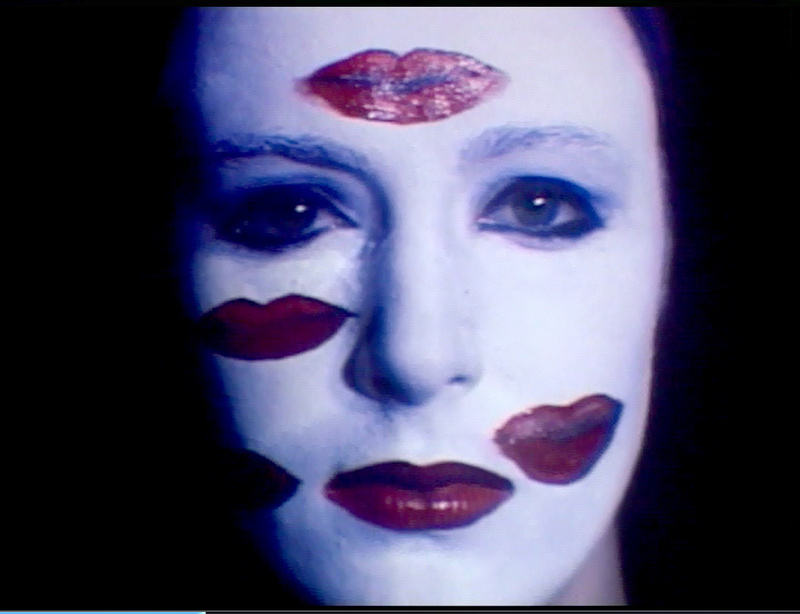 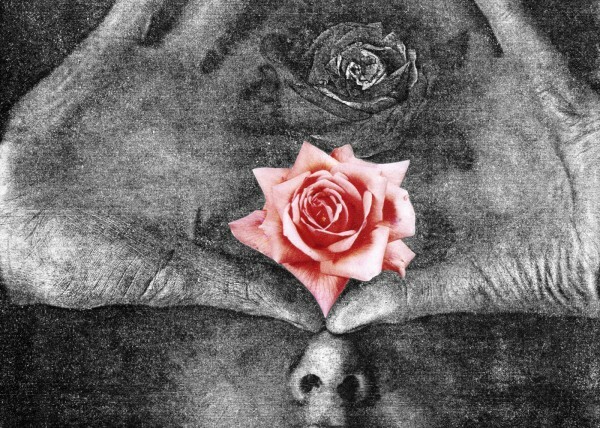 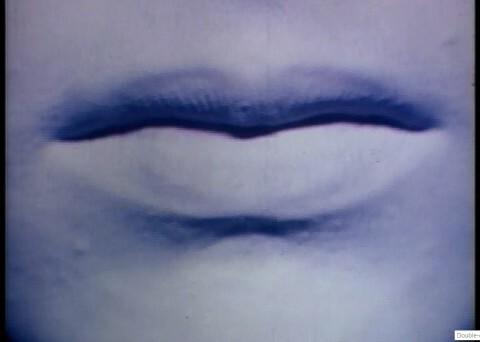 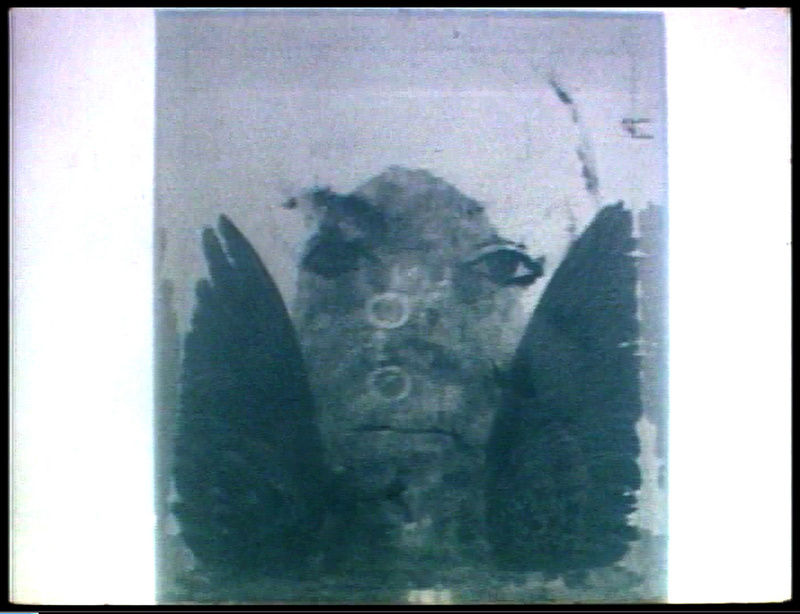 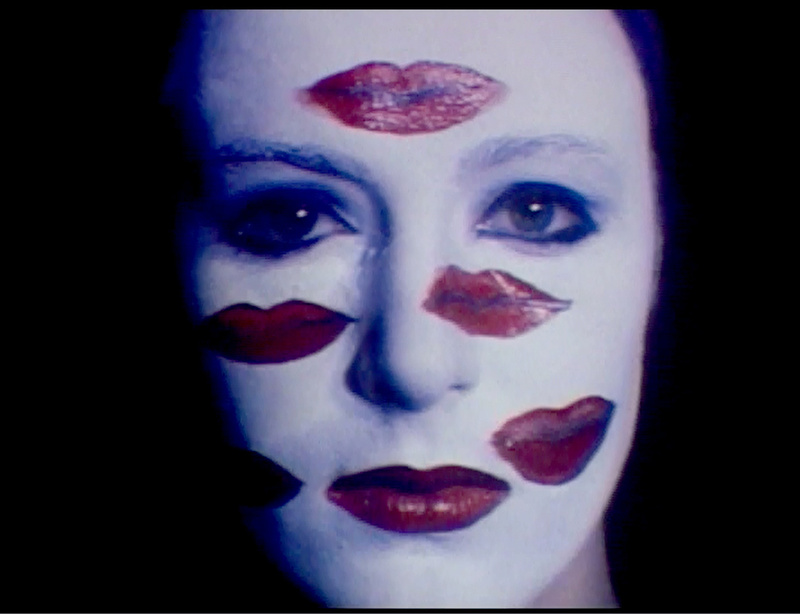 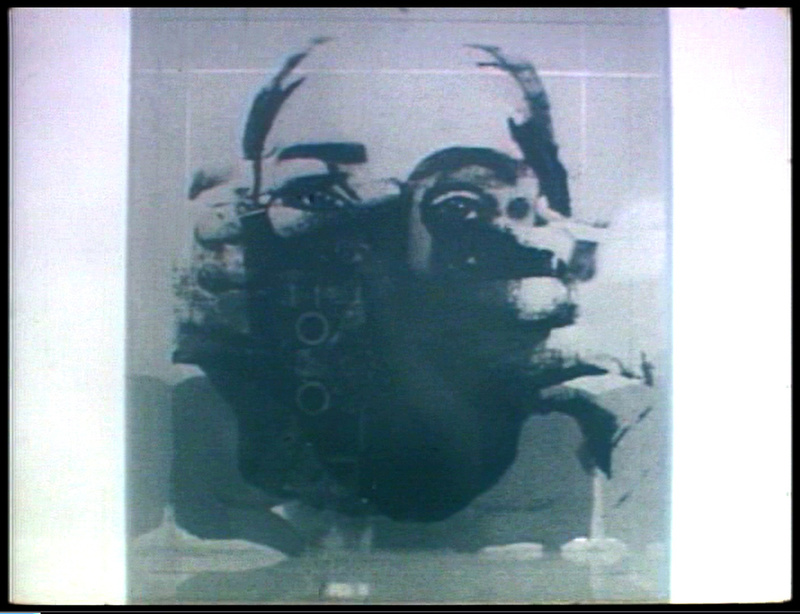 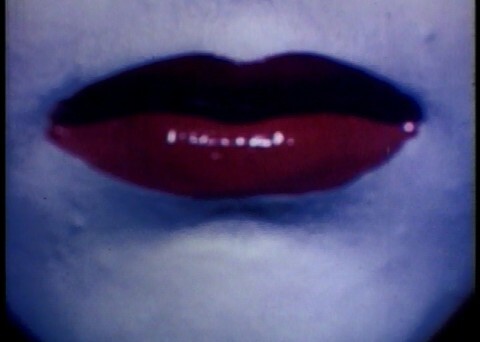 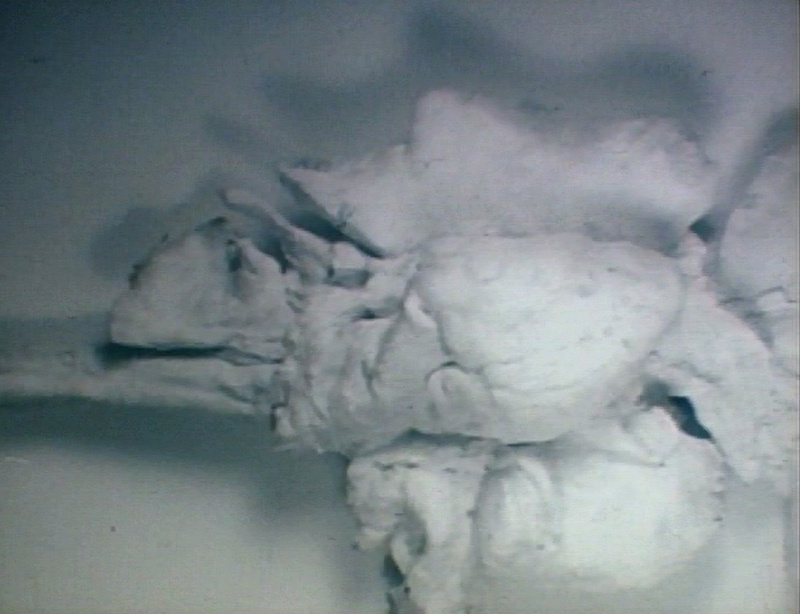 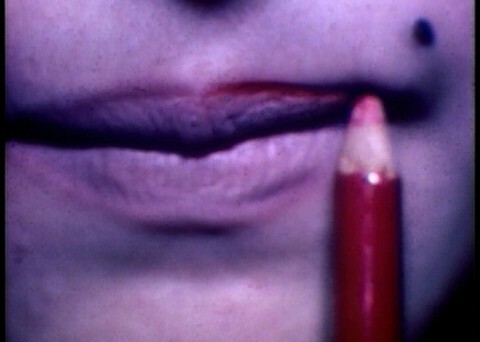 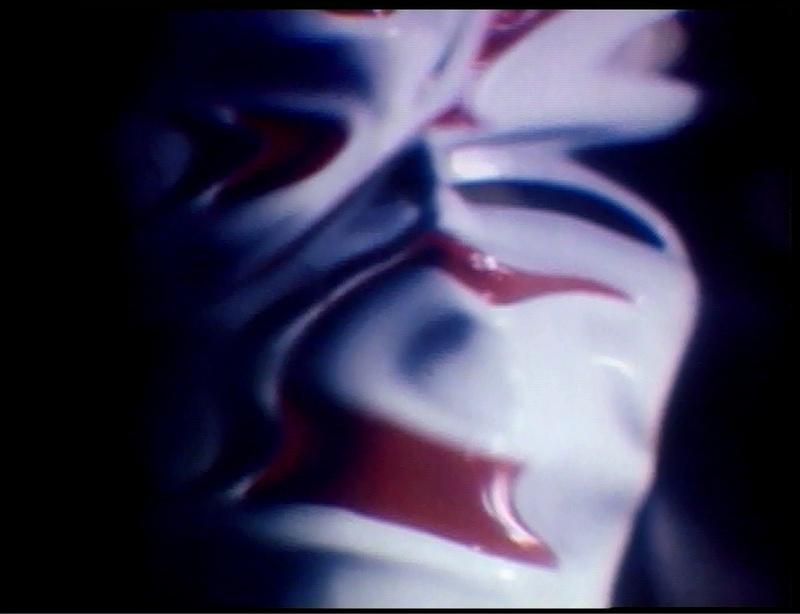 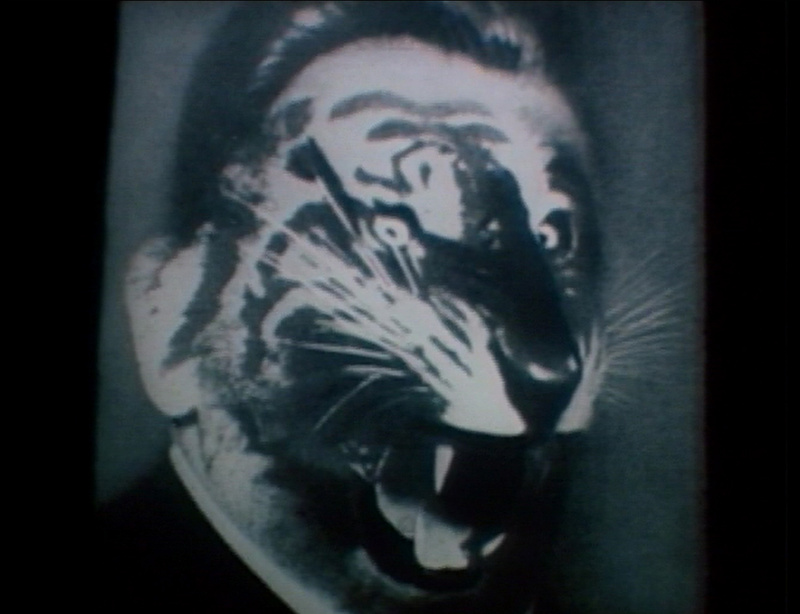 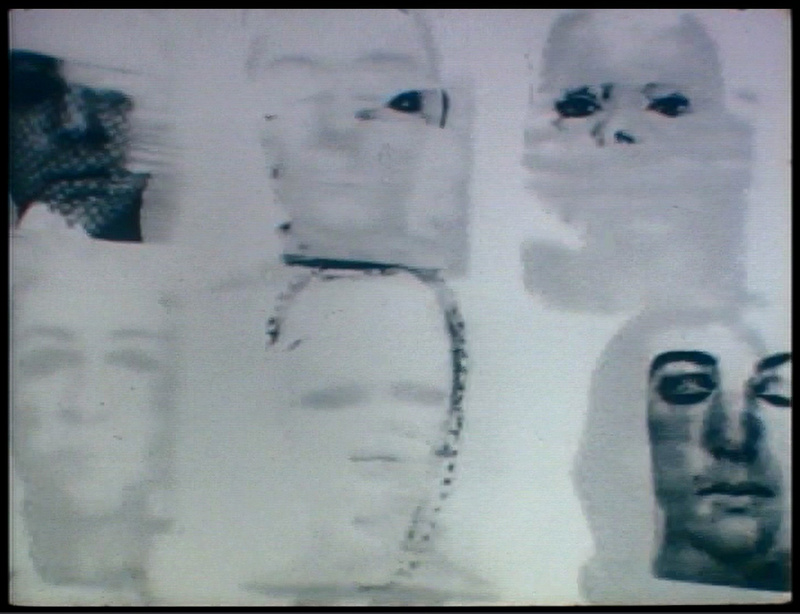 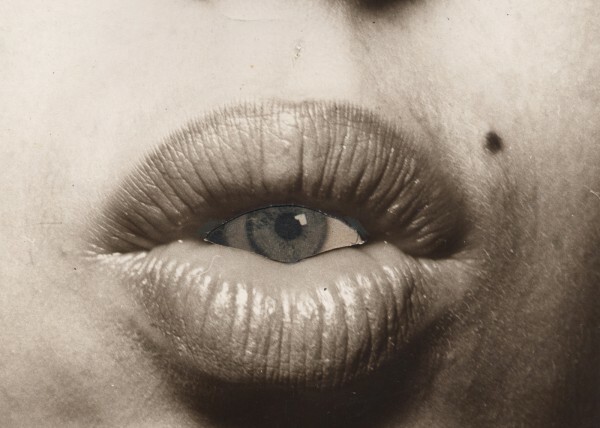 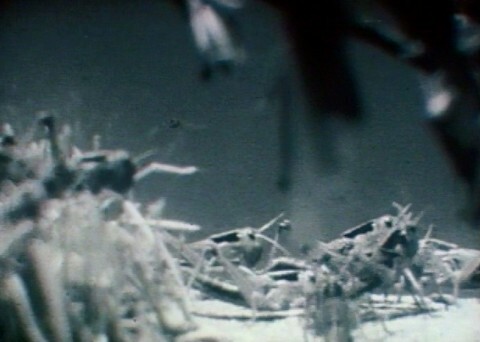 In this experimental film from 1969 the seeds are seen of my exploration of the mouth motif, which reached its full expression in the ‘Opening’ exhibit of 1973. 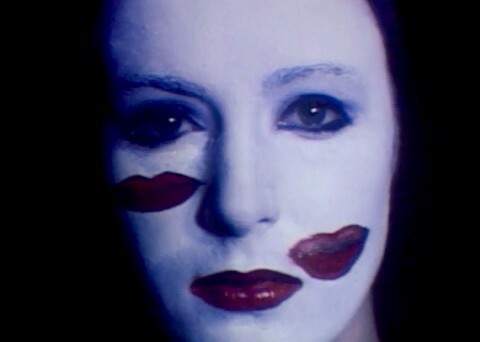 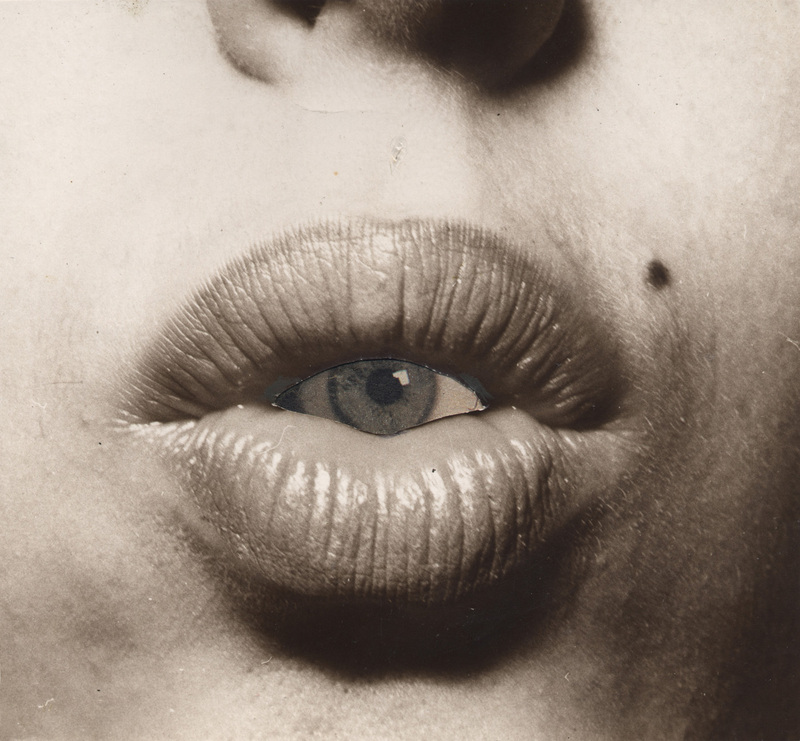 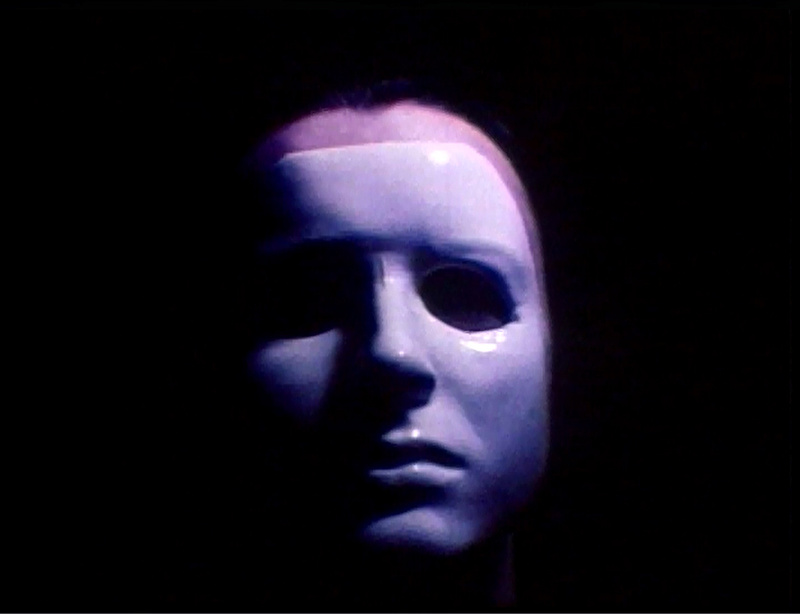 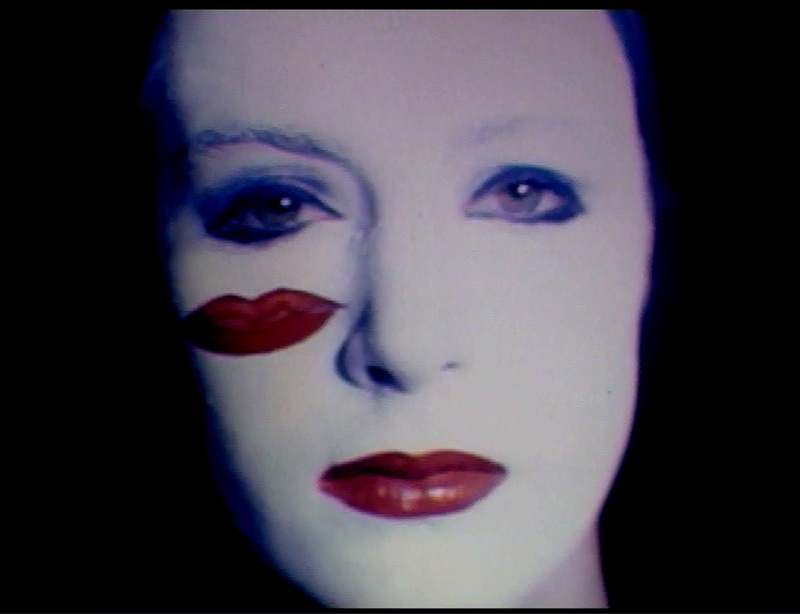 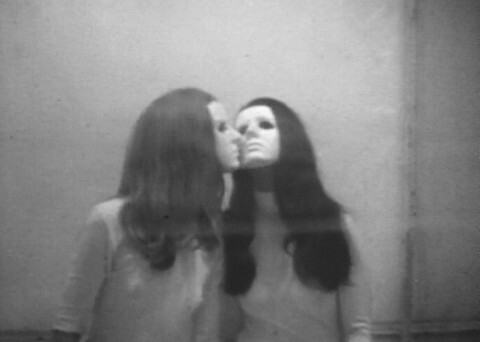 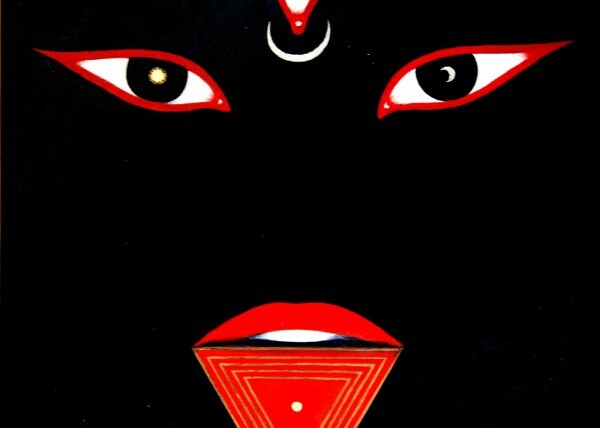 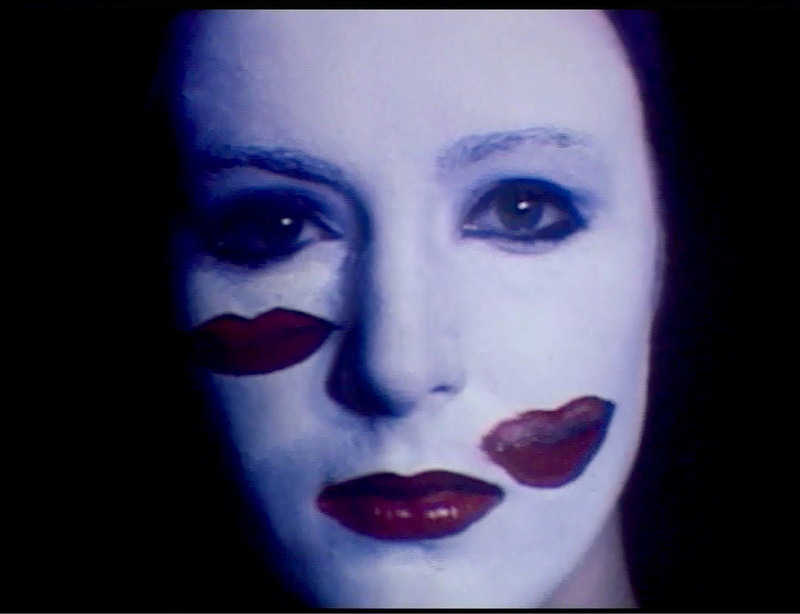 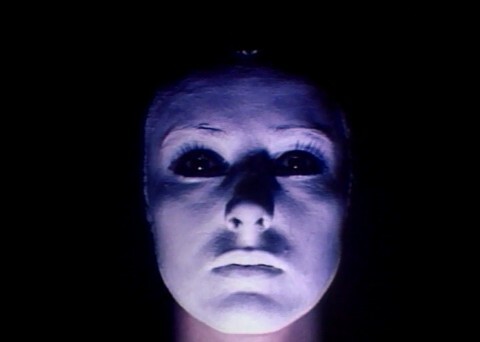 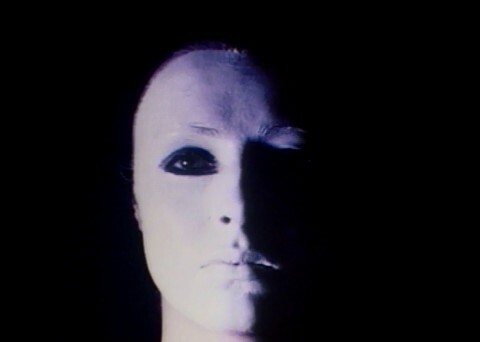 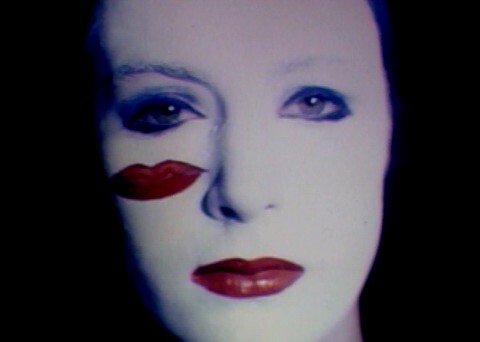 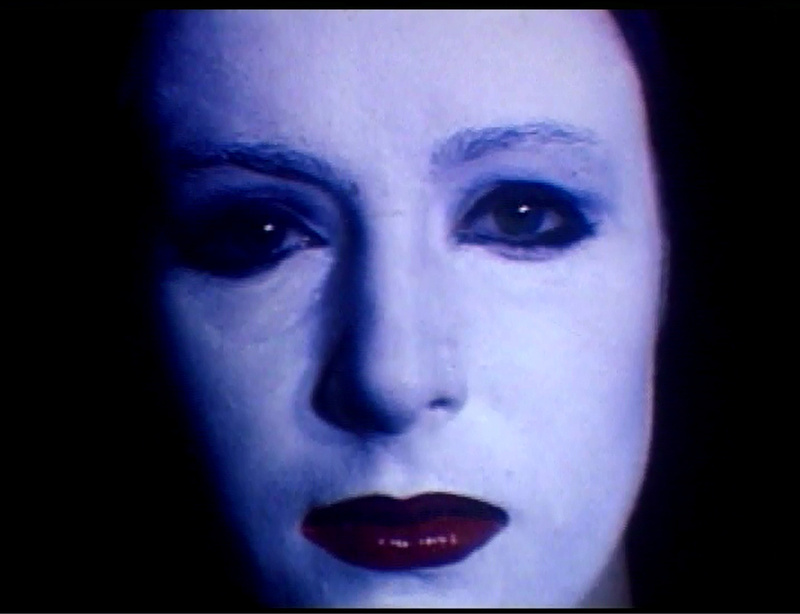 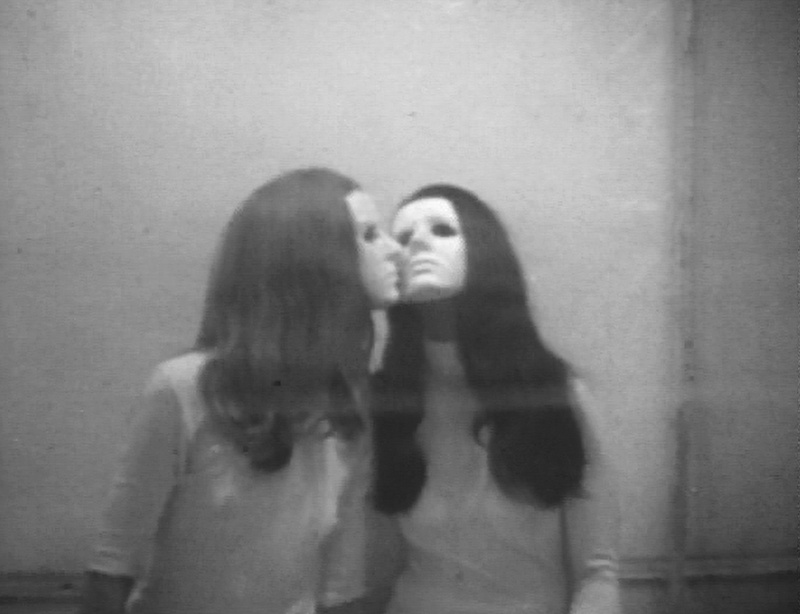 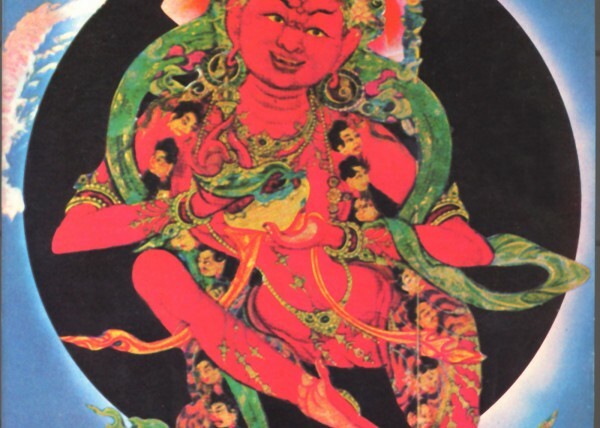 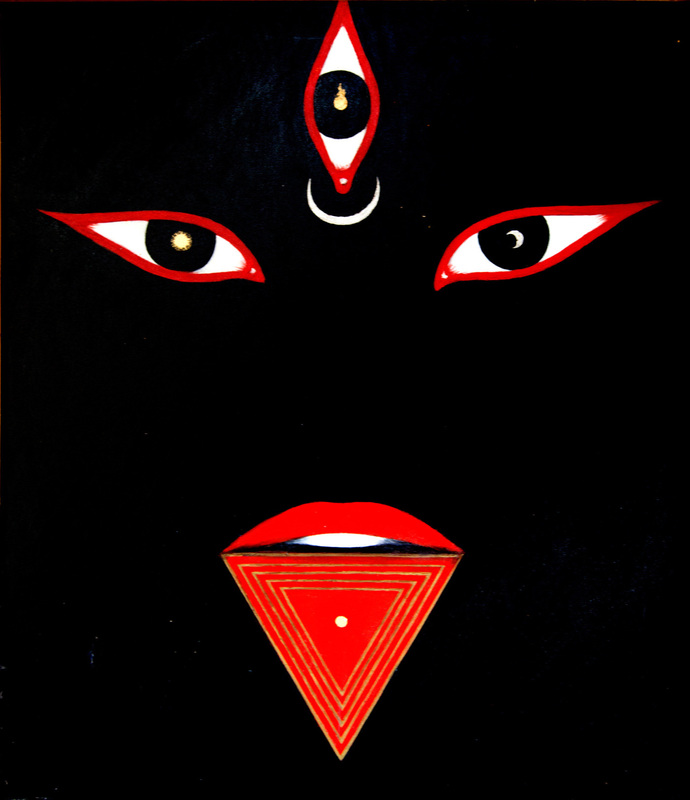 I blow on and kiss a mirror, I apply lipstick, I transform into a white statue and paint blood red lips… then I become a mask in a distorted mirror, a face with many lips…In the last sequence I circle my face with a light and transform into the mask. 1969 period. 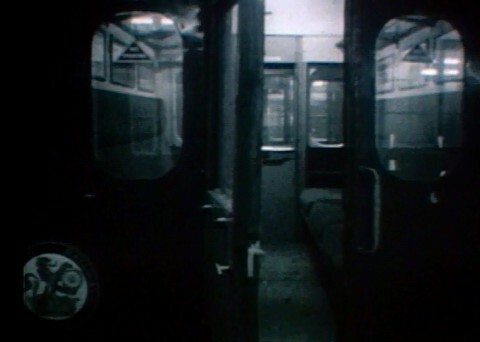 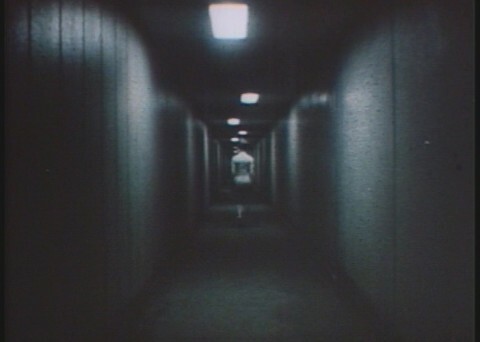 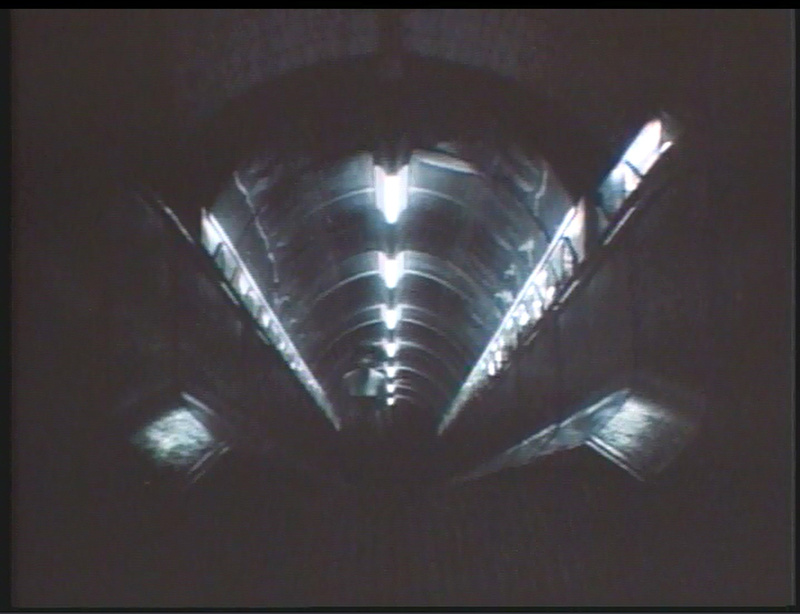 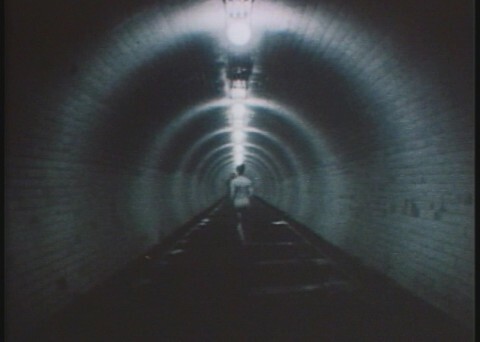 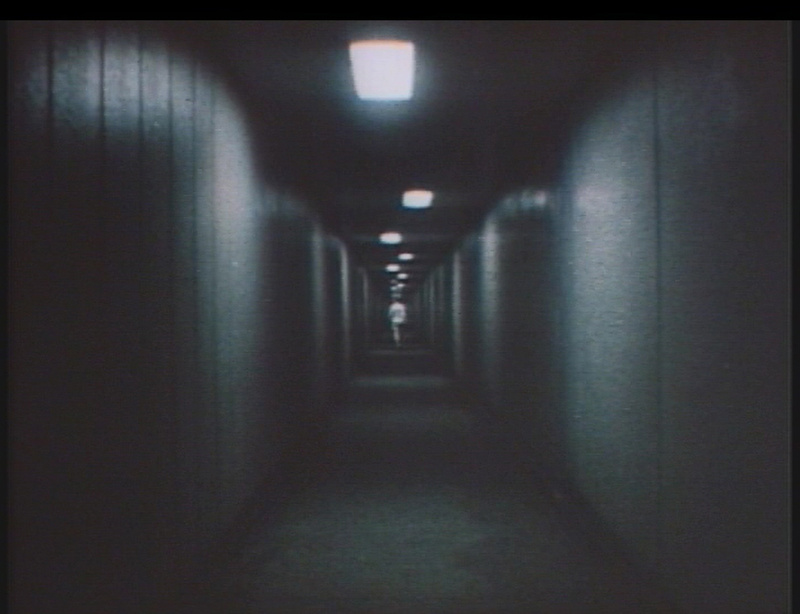 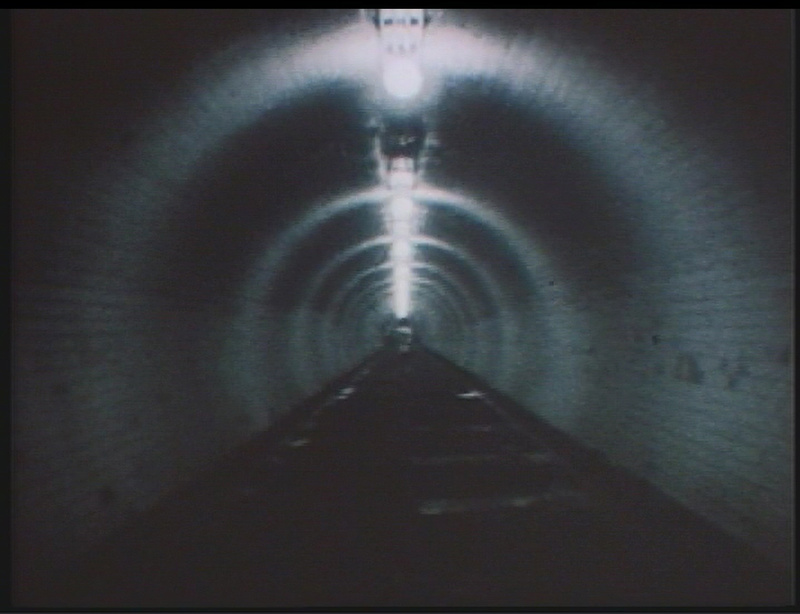 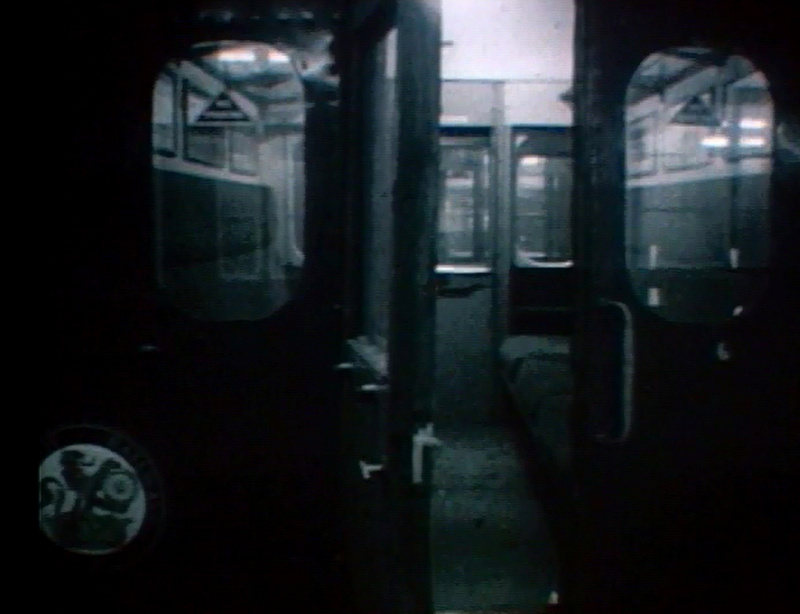 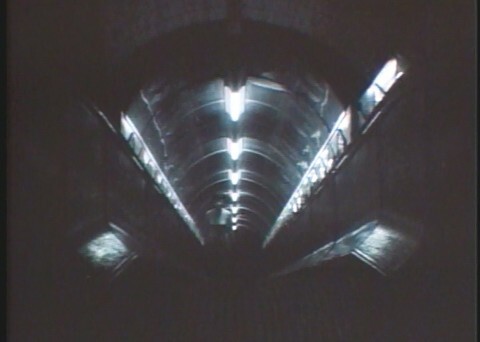 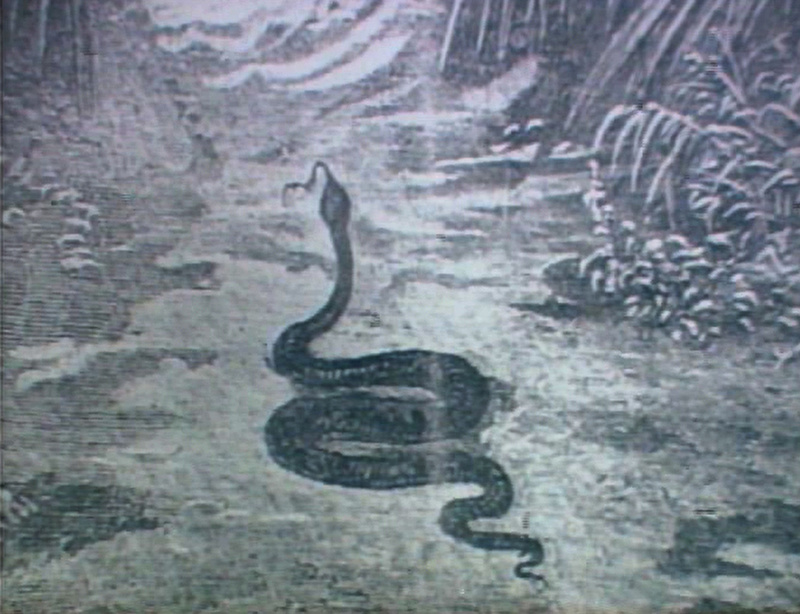 In the beginning of this experimental film a figure in white ascends spiral staircases and escalators and moves away from the camera down endless tunnels and corridors. 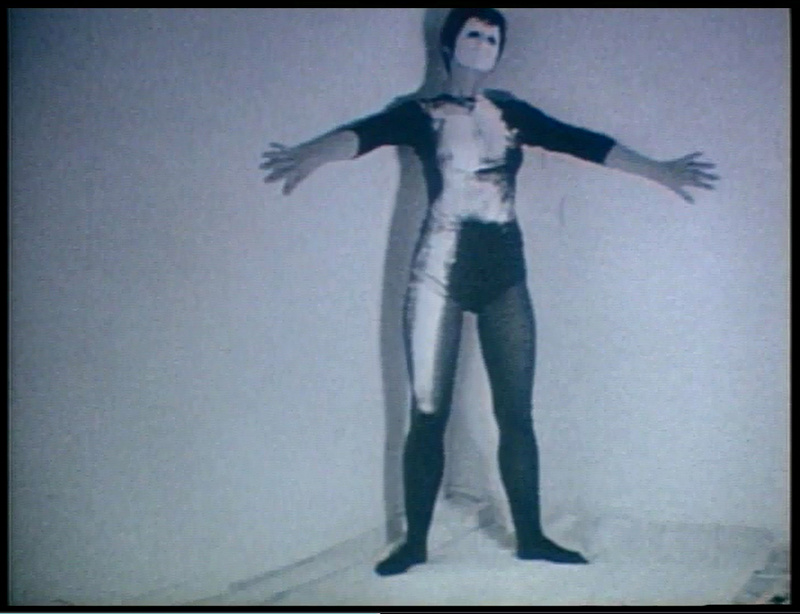 A model in a black leotard is painted white, turned into art. 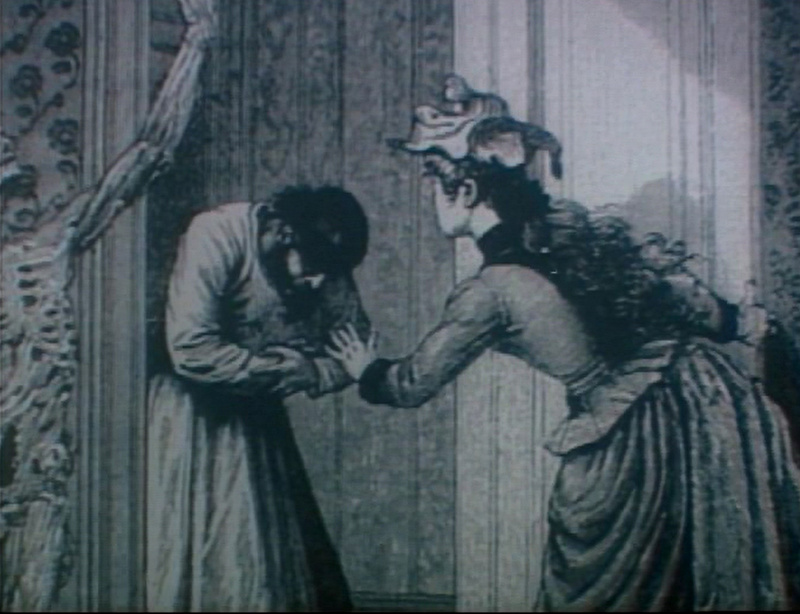 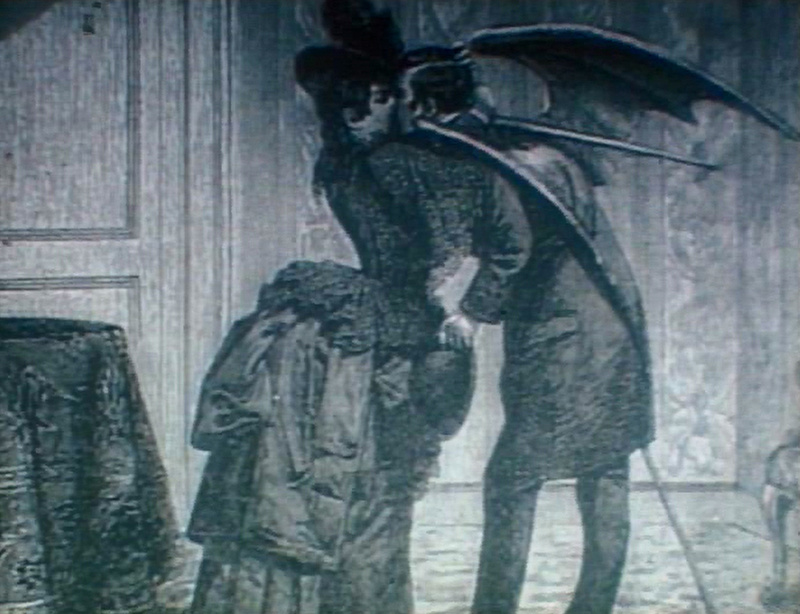 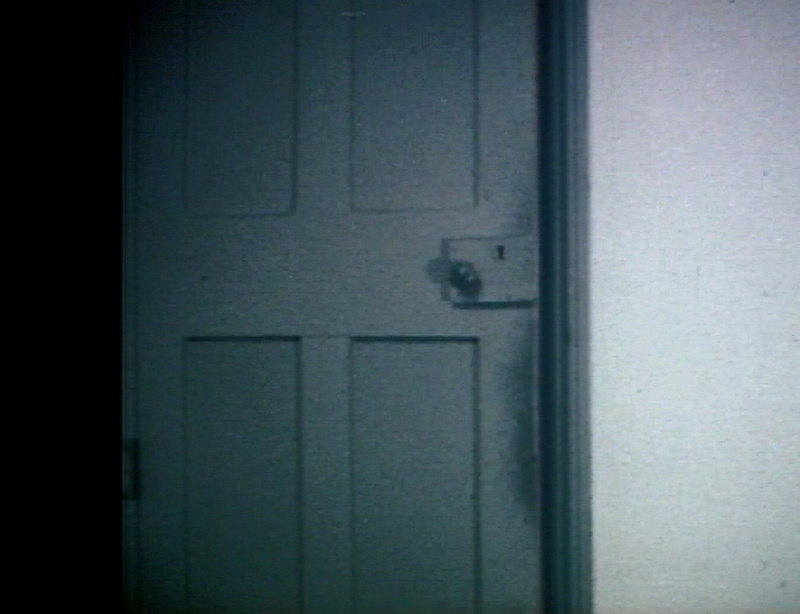 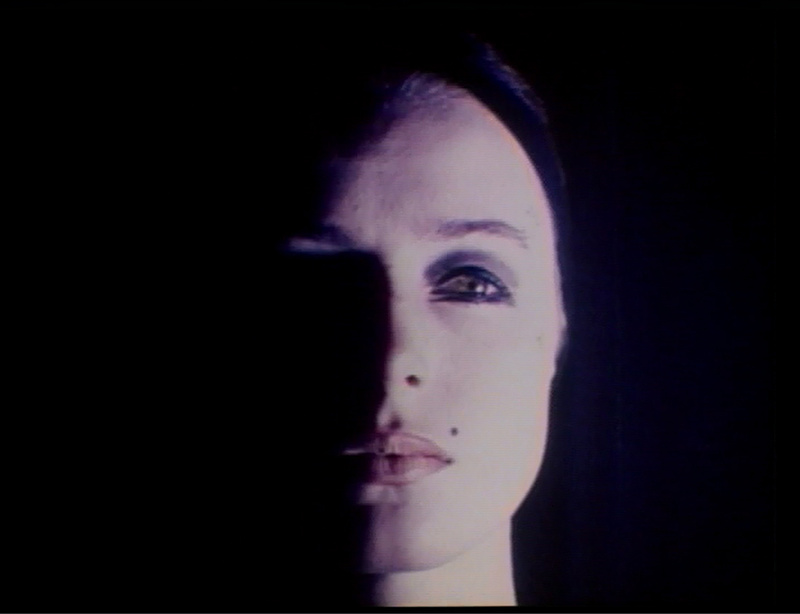 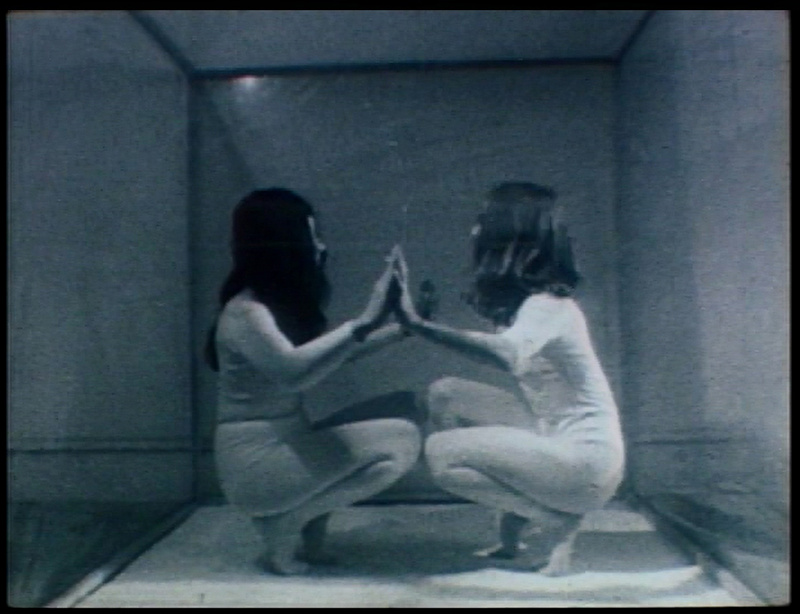 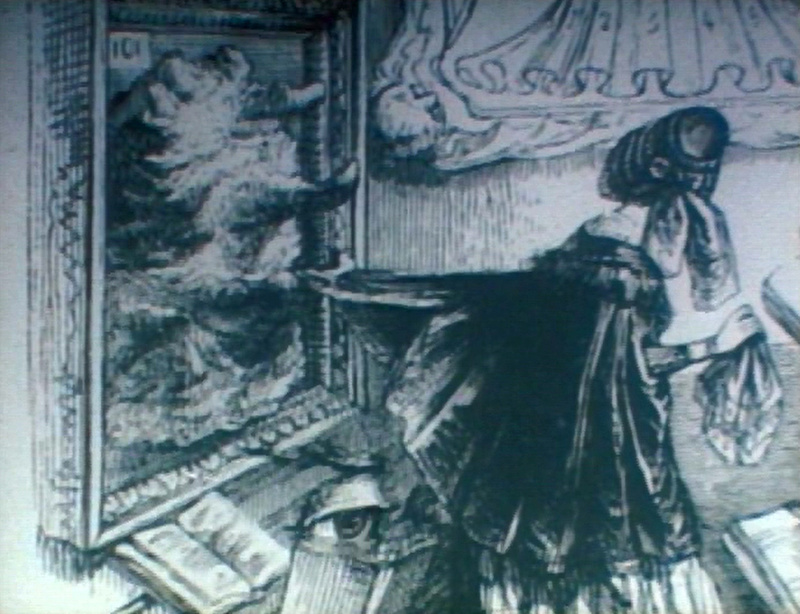 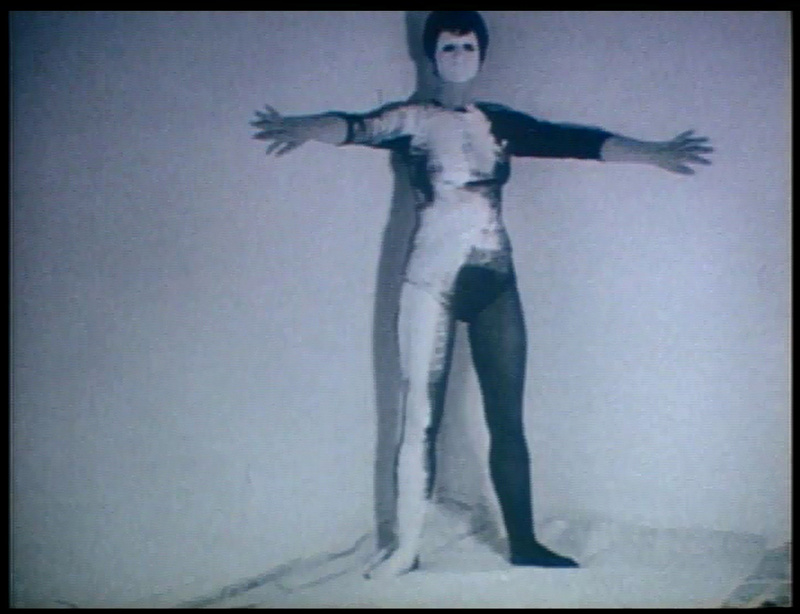 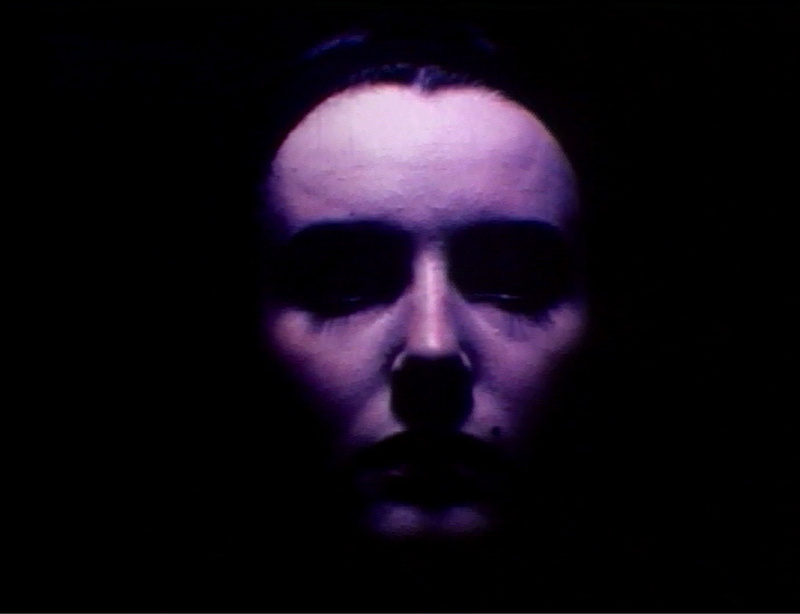 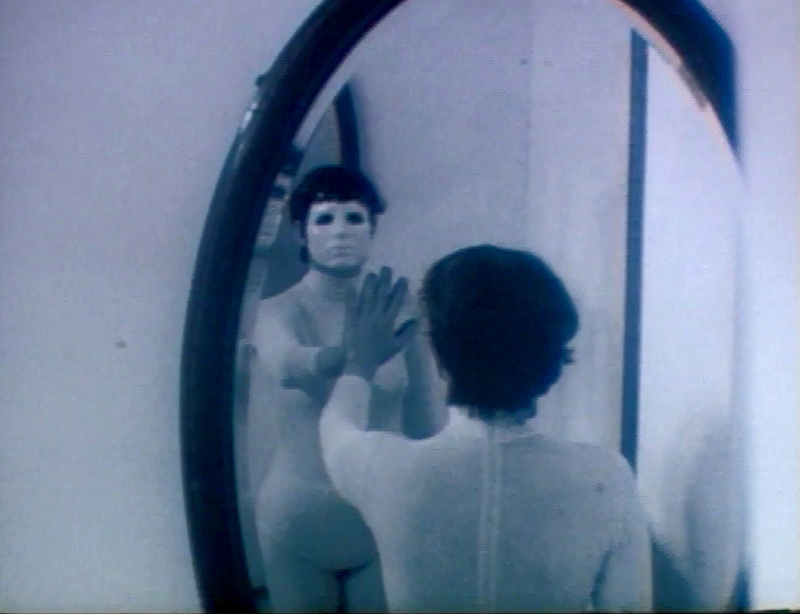 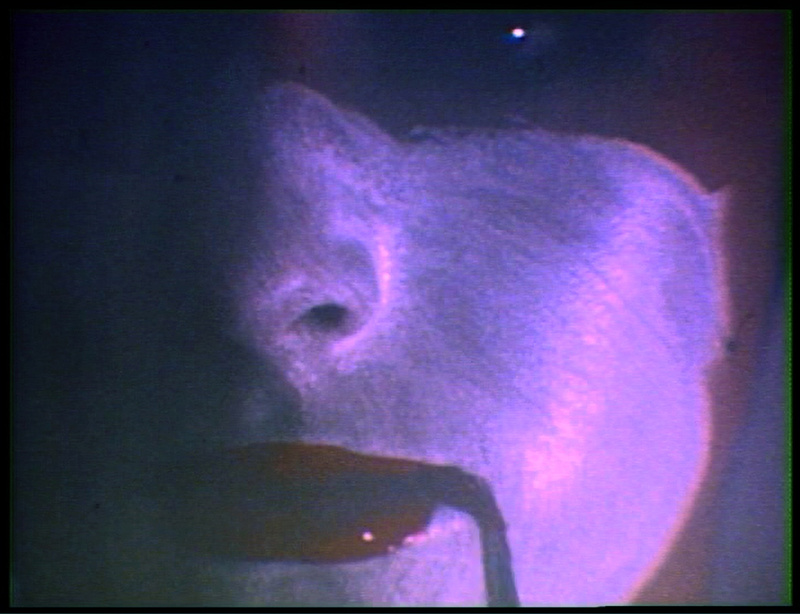 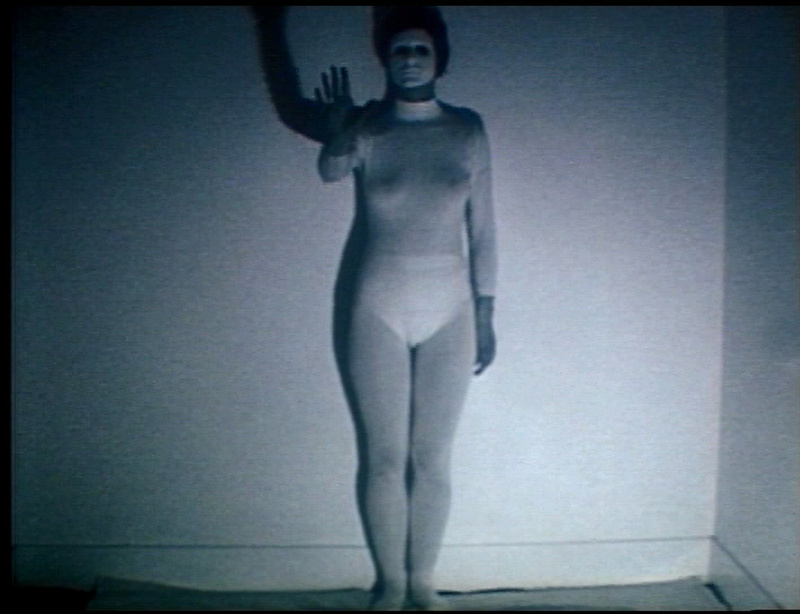 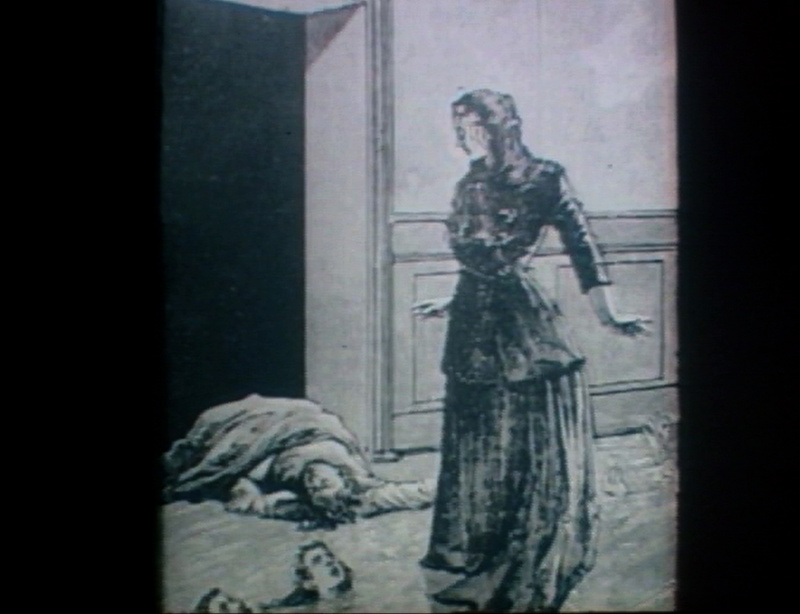 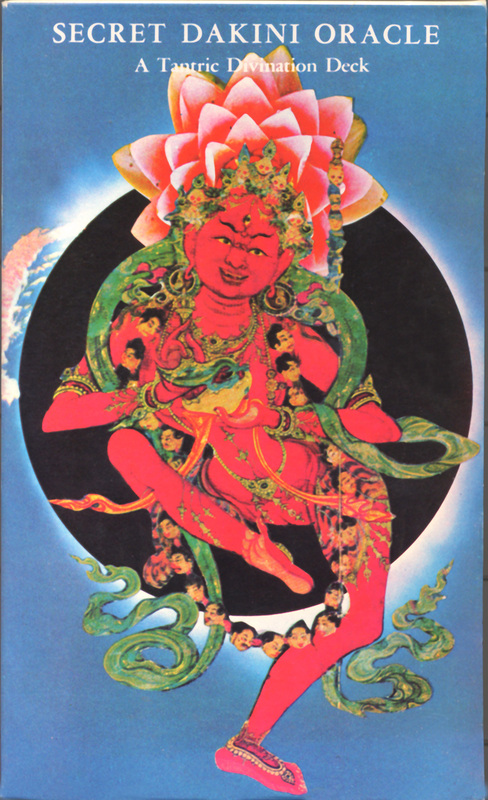 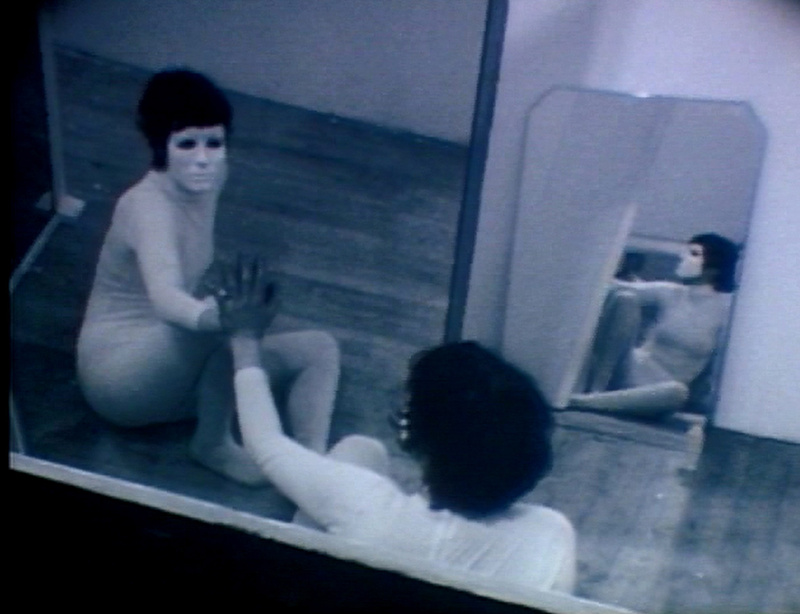 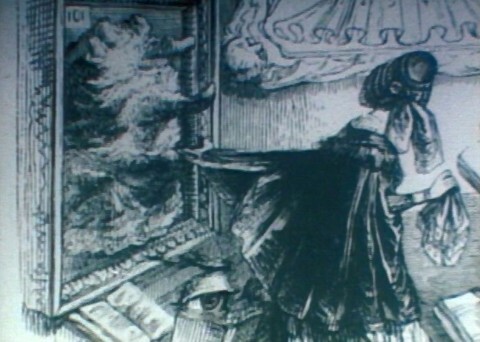 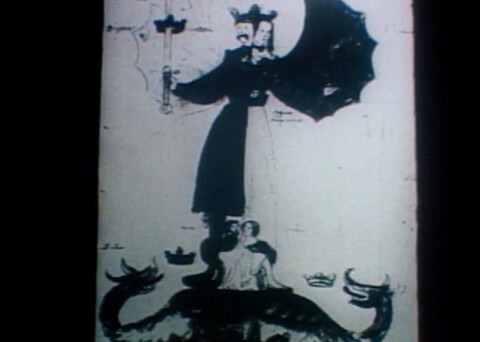 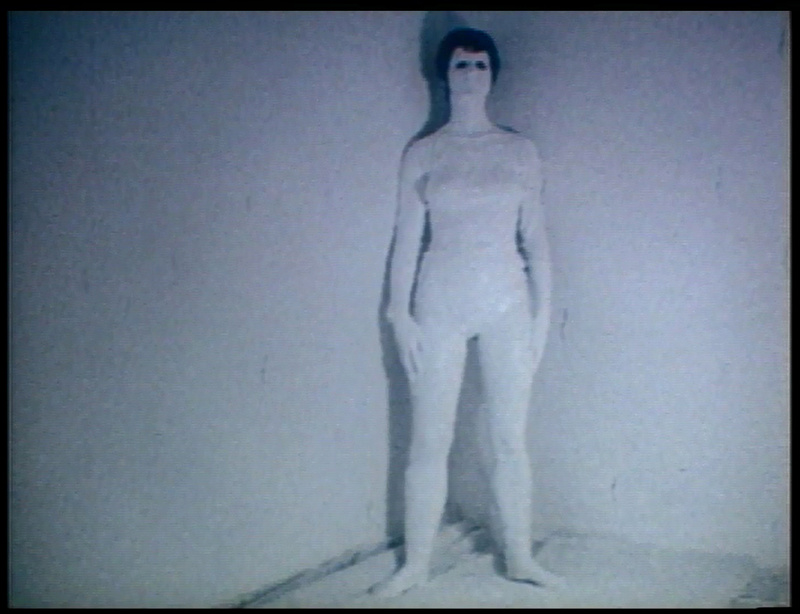 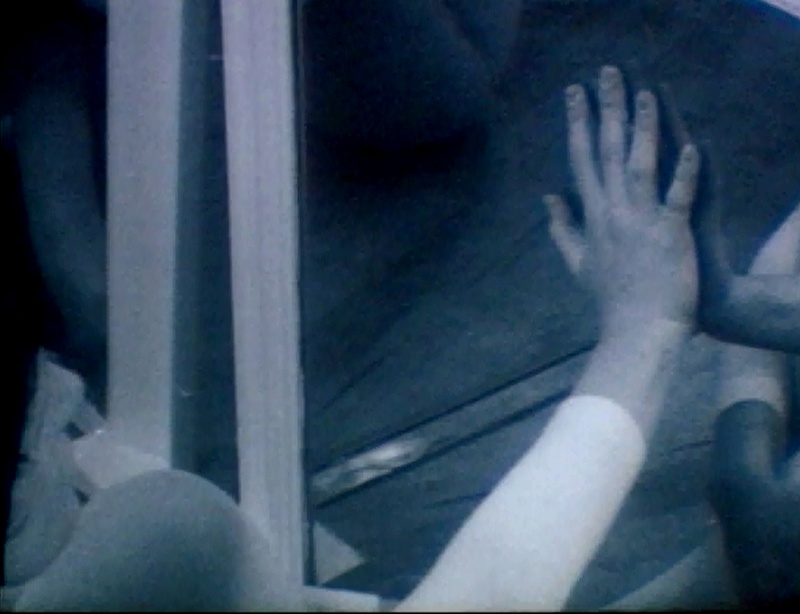 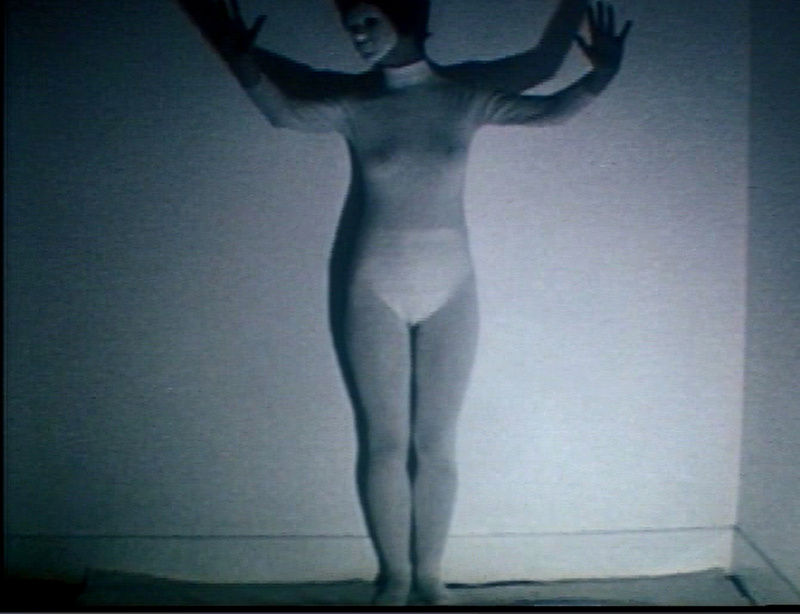 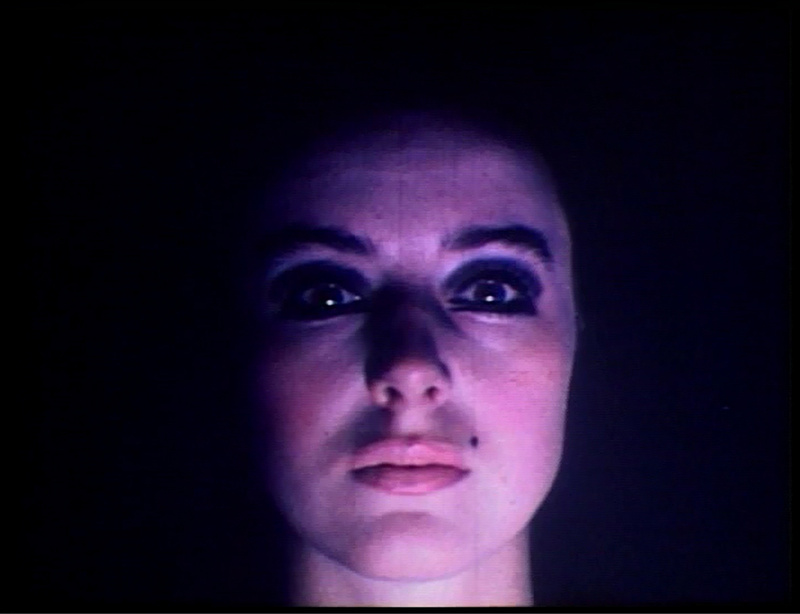 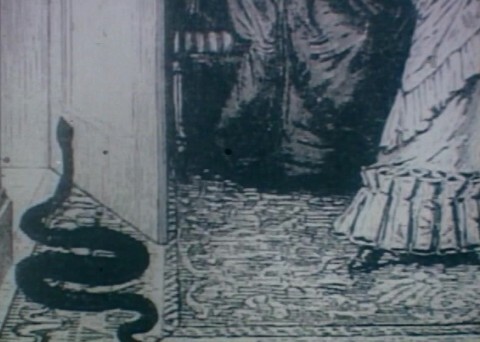 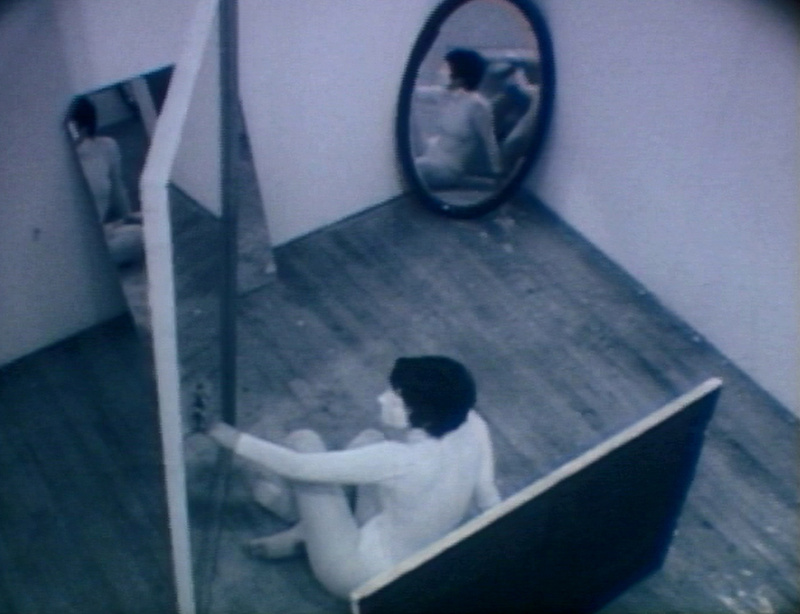 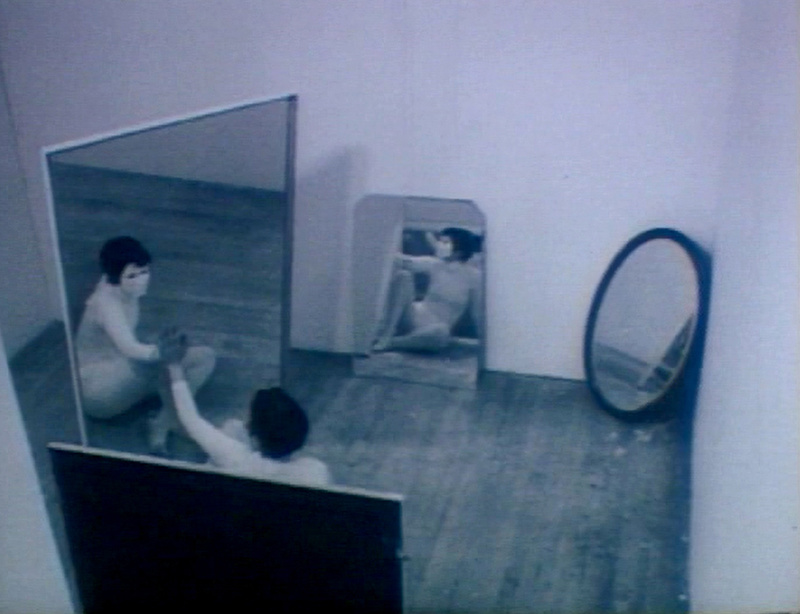 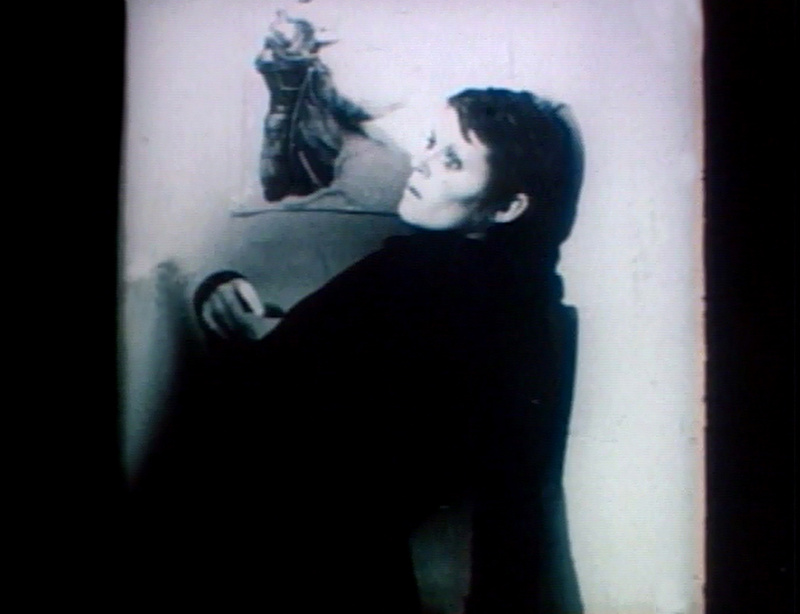 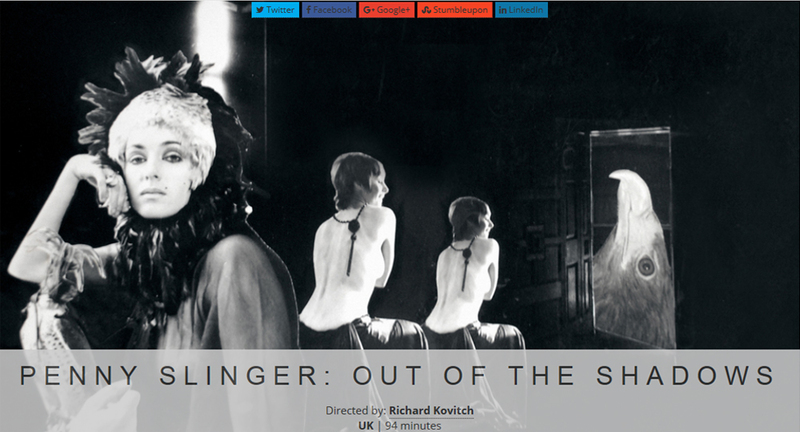 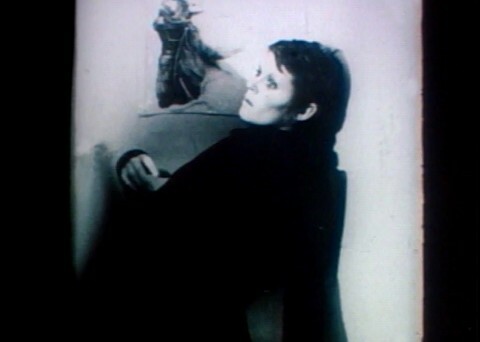 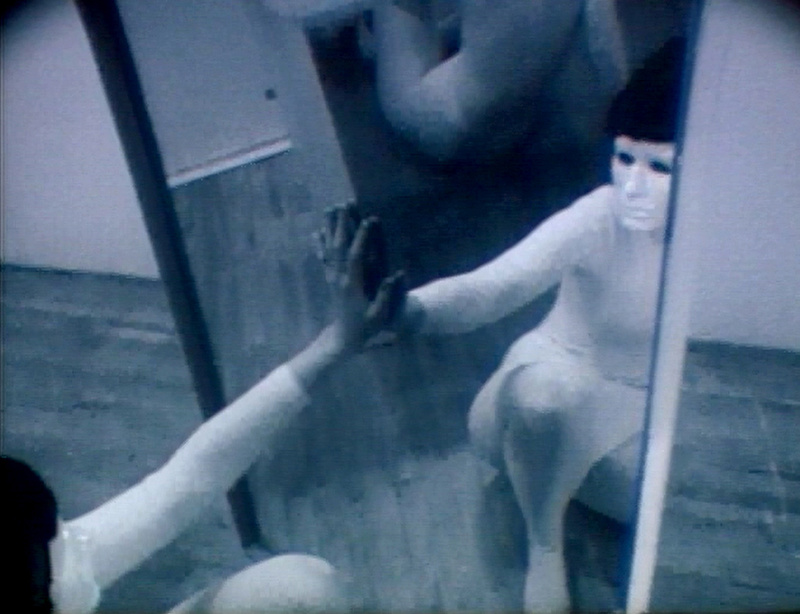 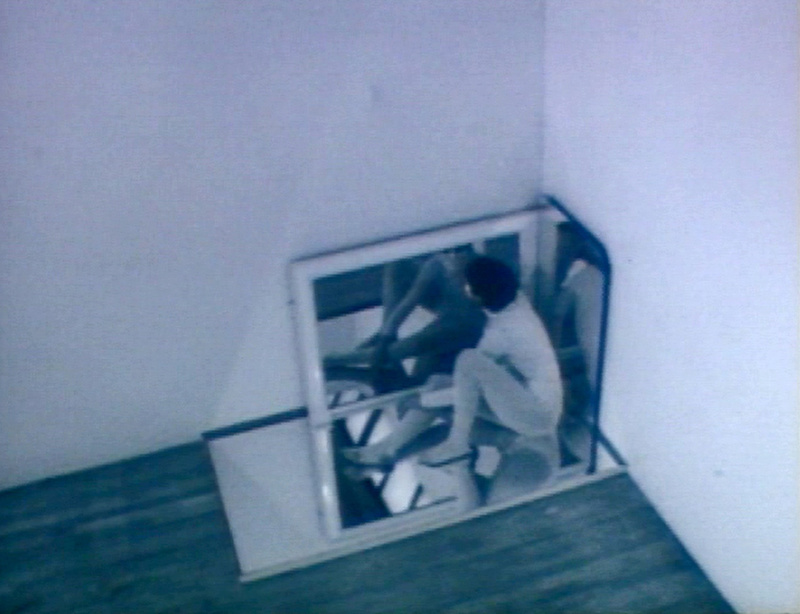 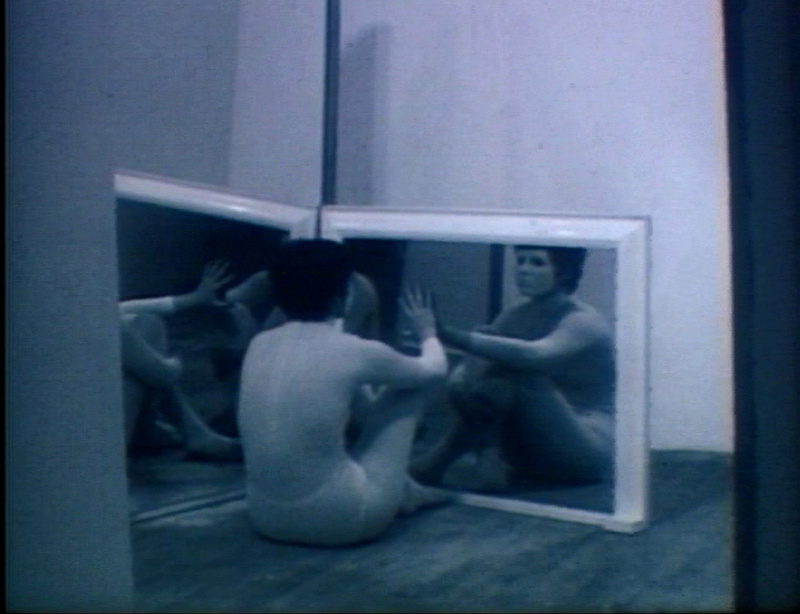 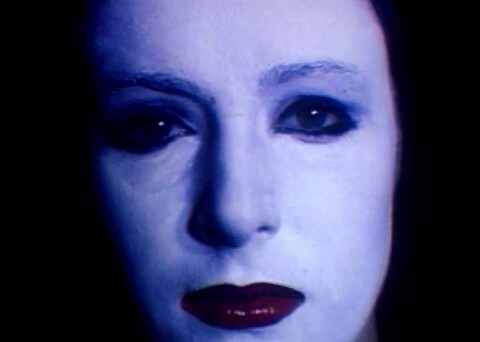 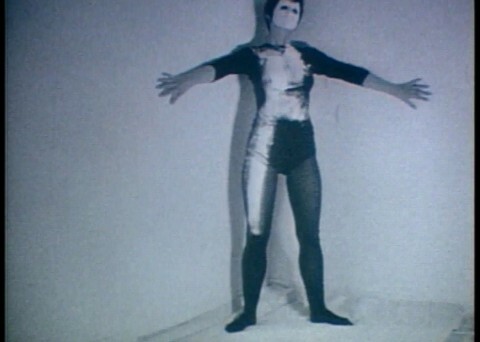 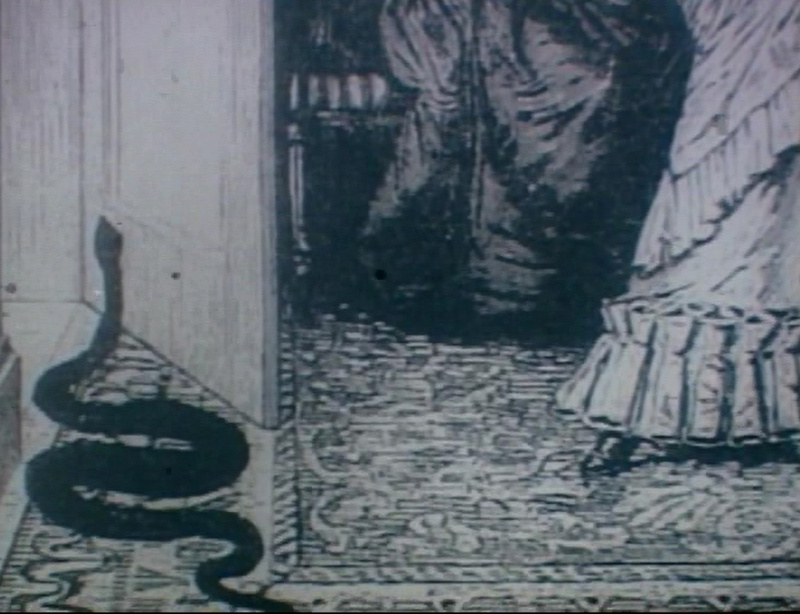 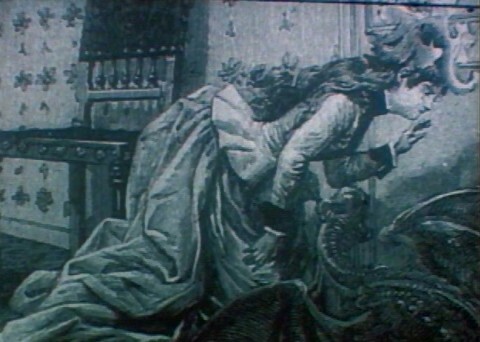 Another is filmed as she ascends to a rooftop, then confronts herself in a mirror in a corner of a room. 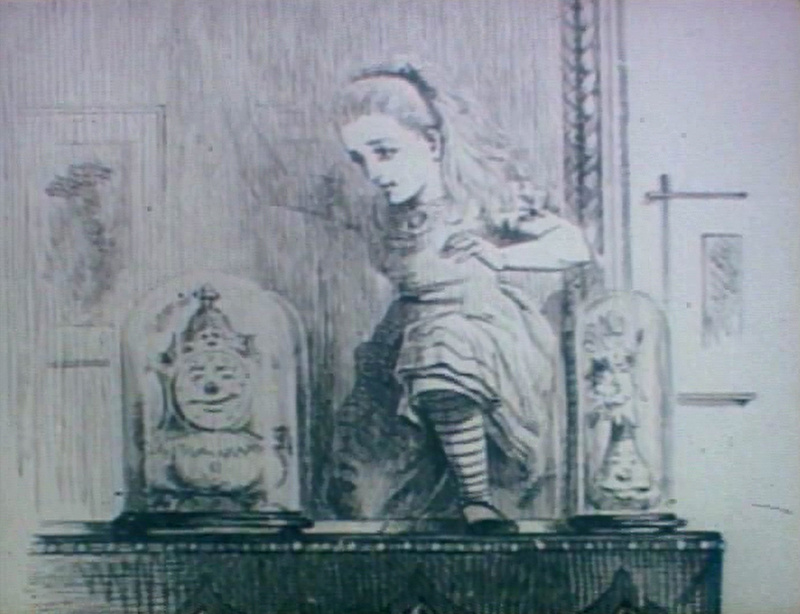 As Alice went through the glass, so in the last section there are two women reflecting each other instead of just the one. 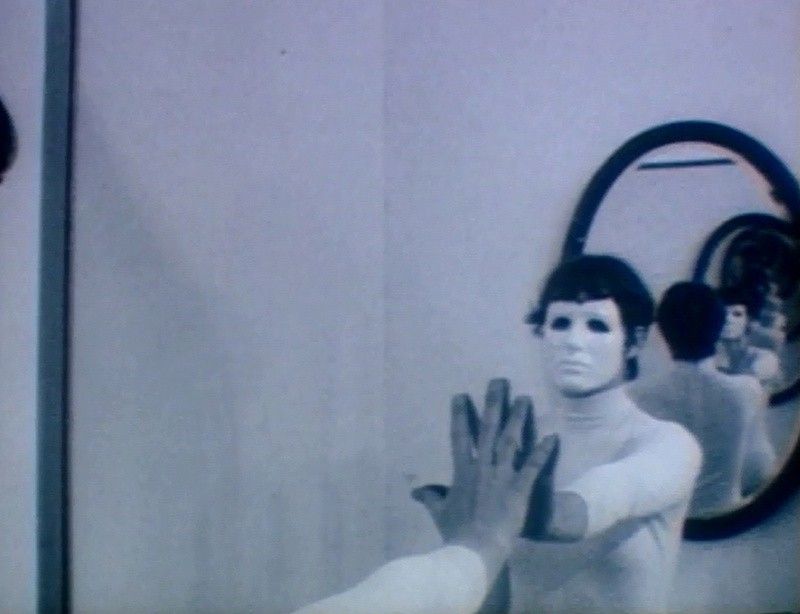 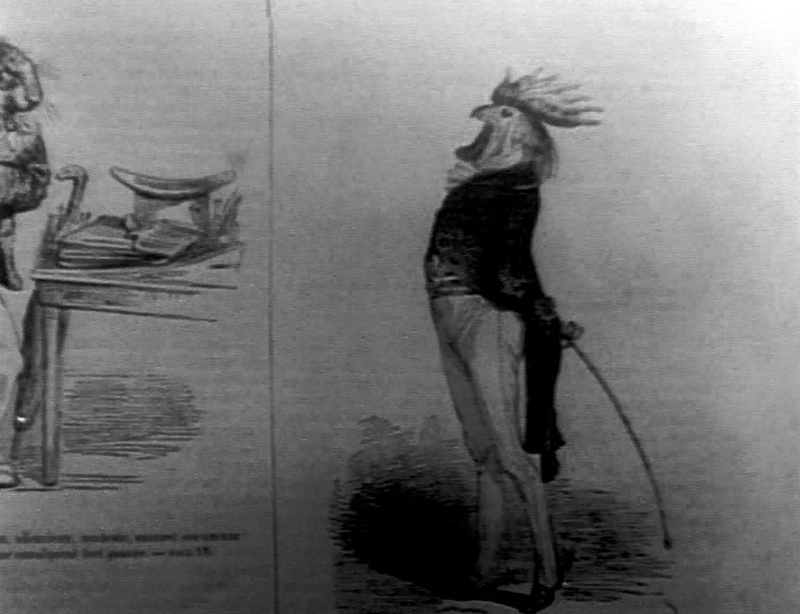 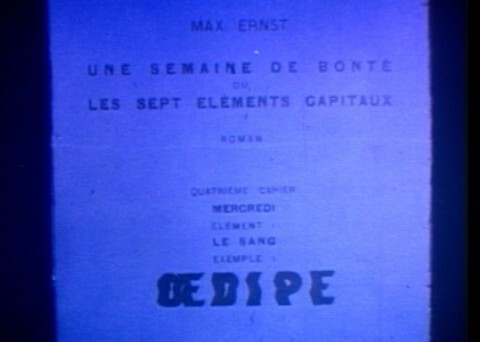 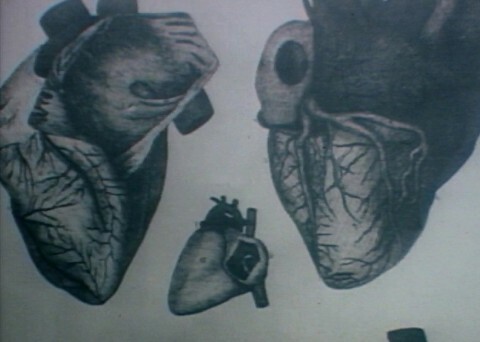 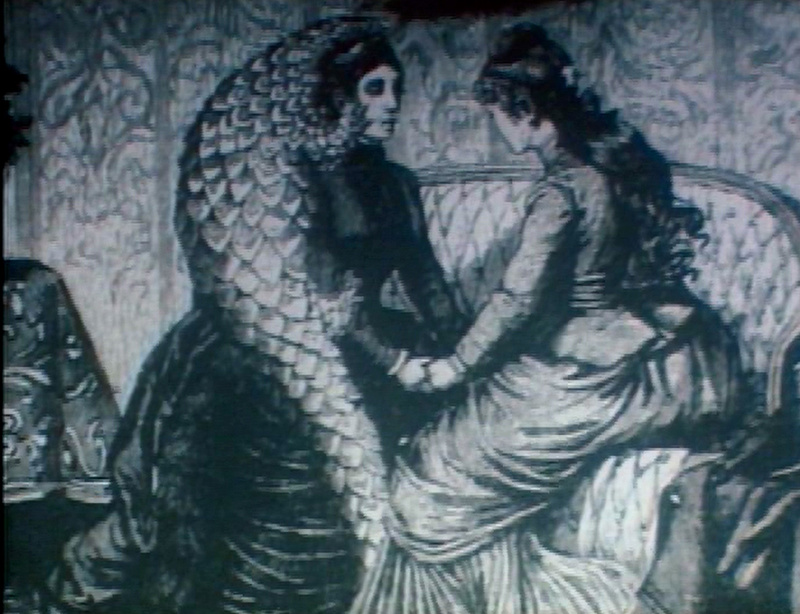 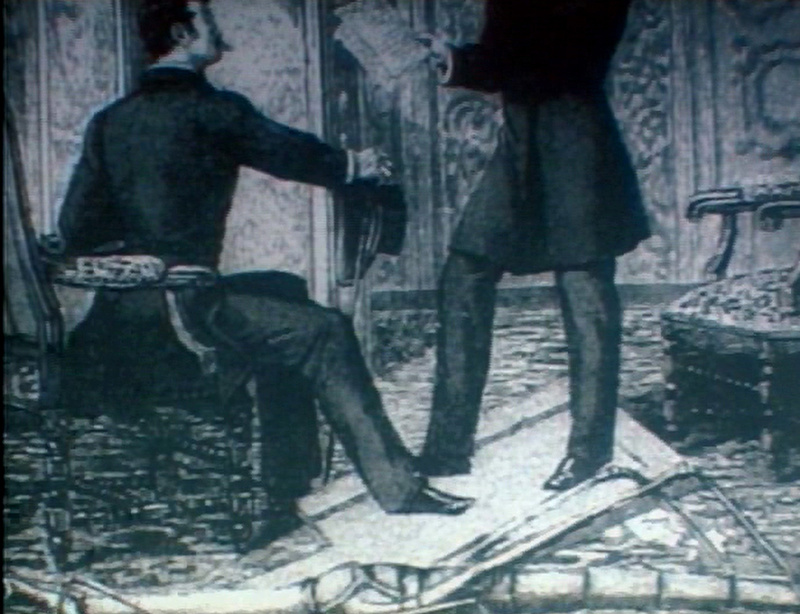 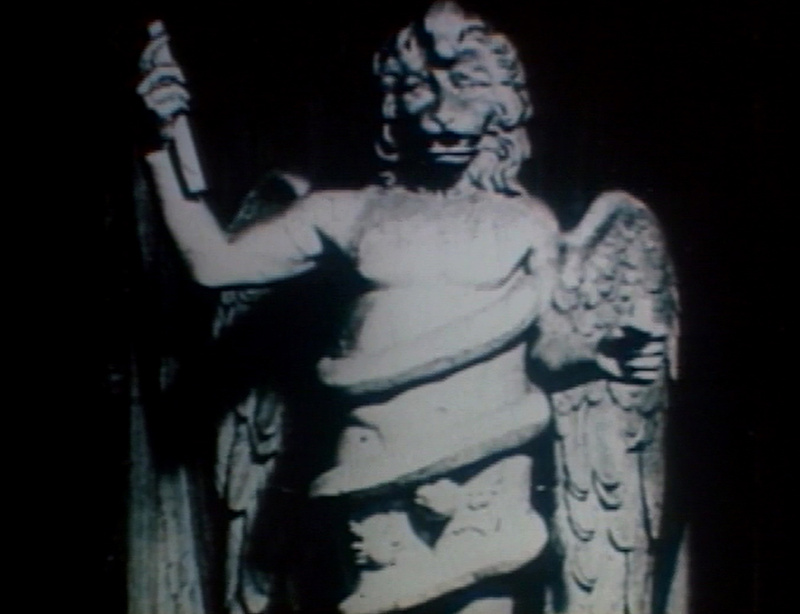 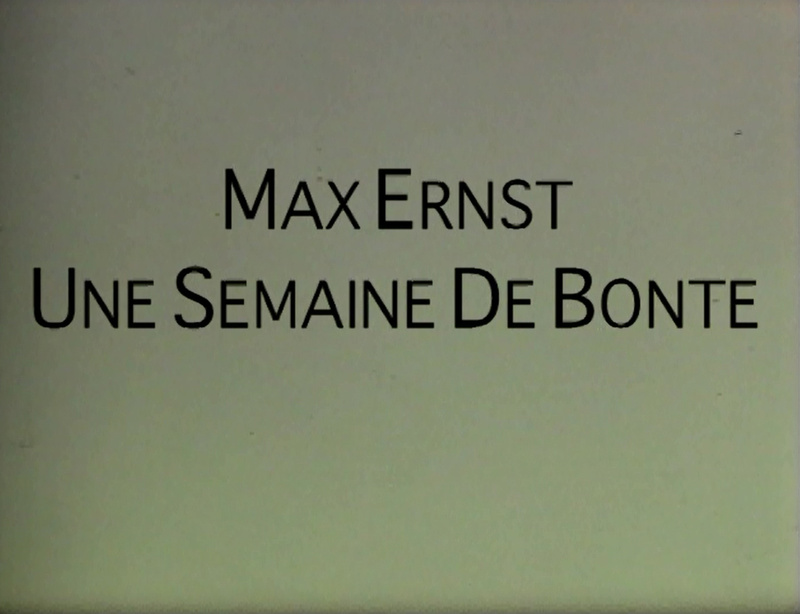 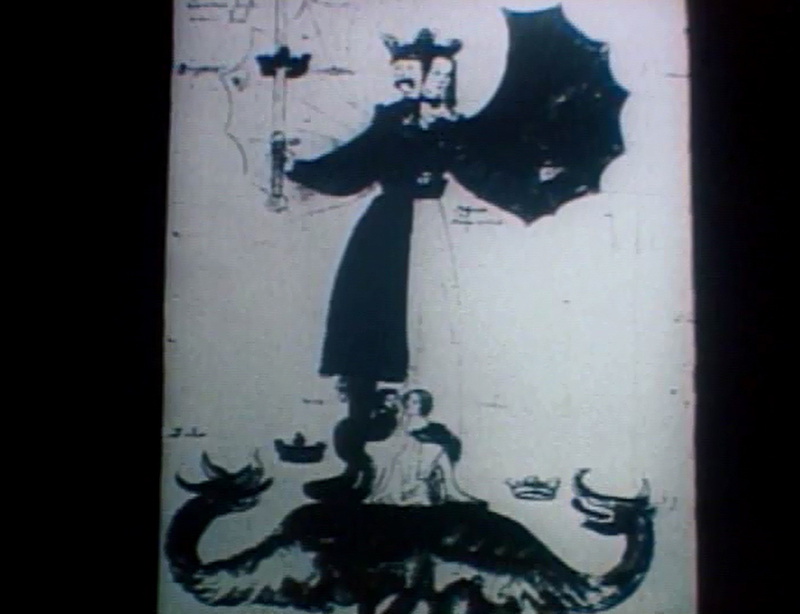 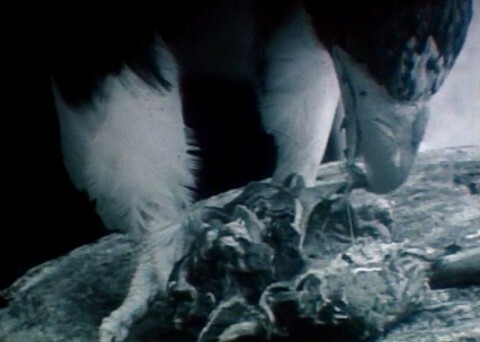 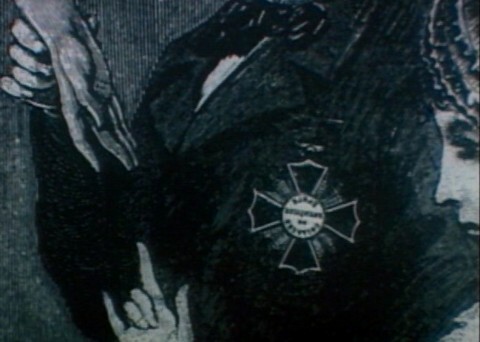 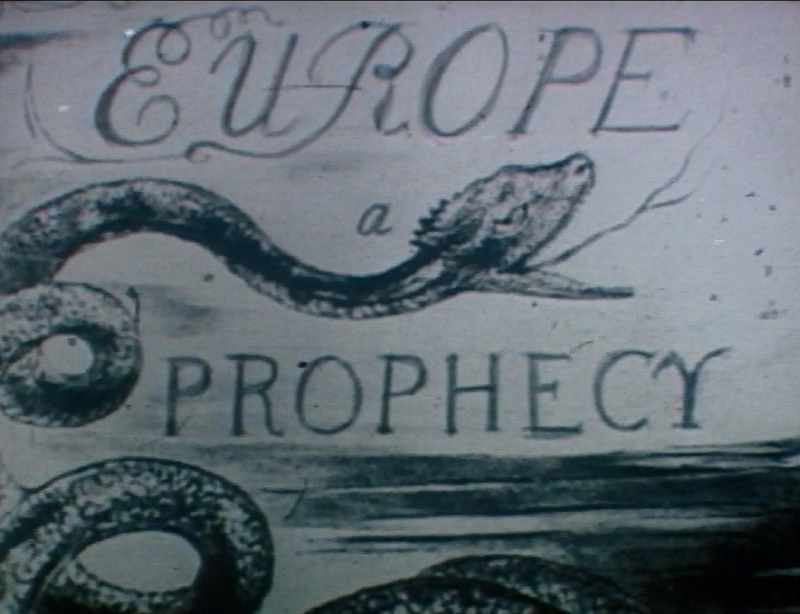 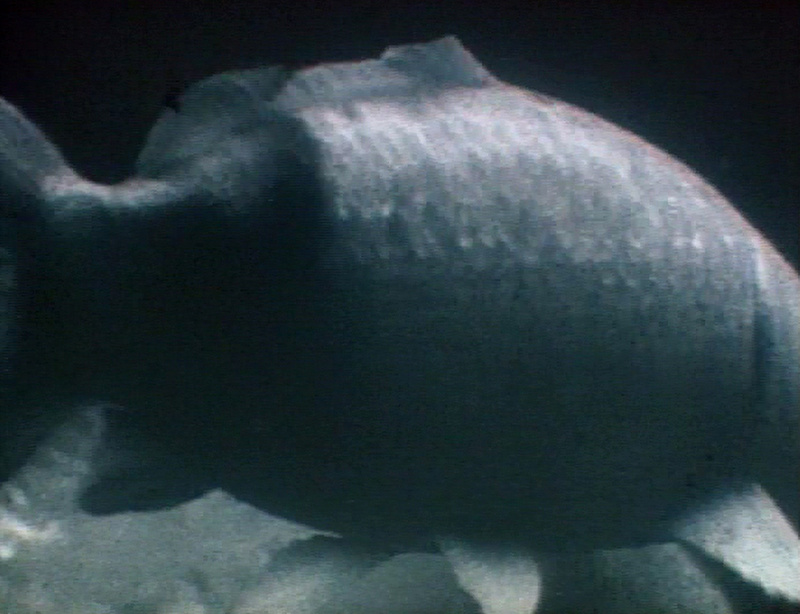 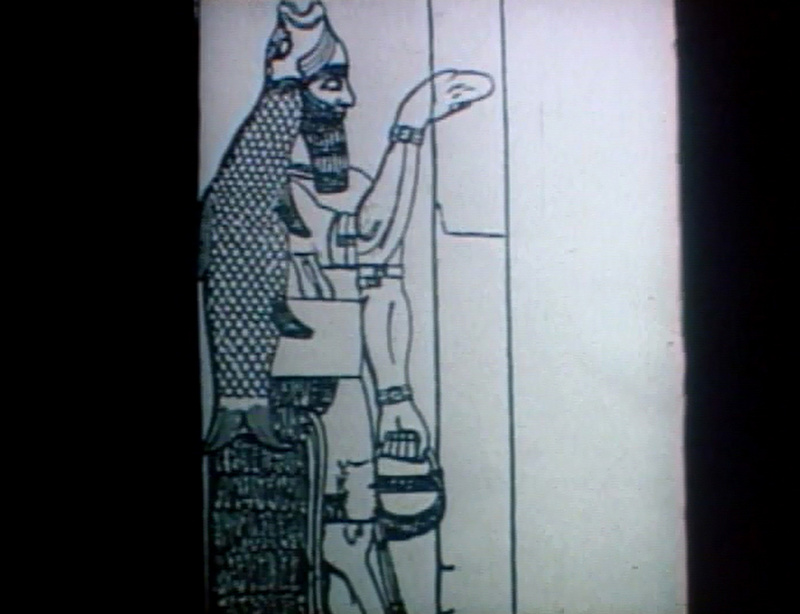 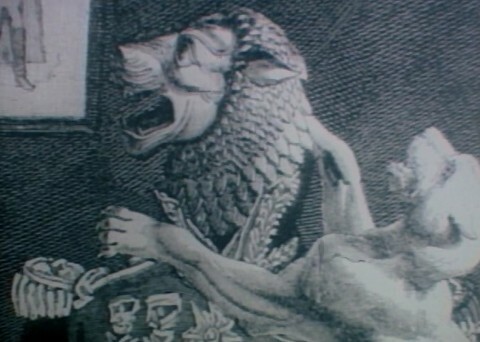 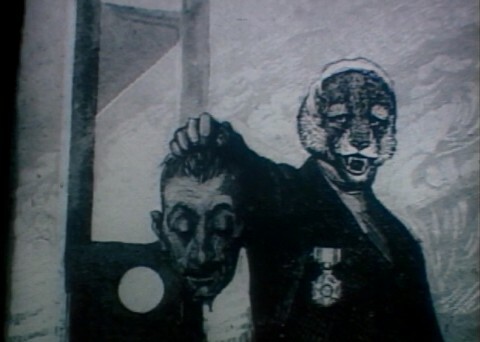 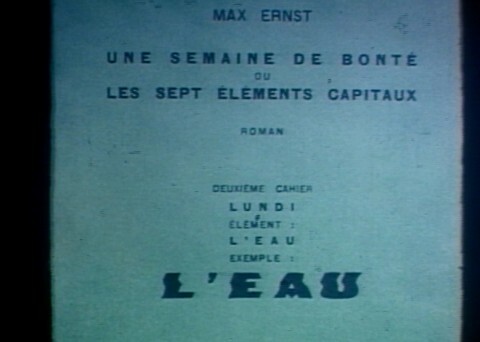 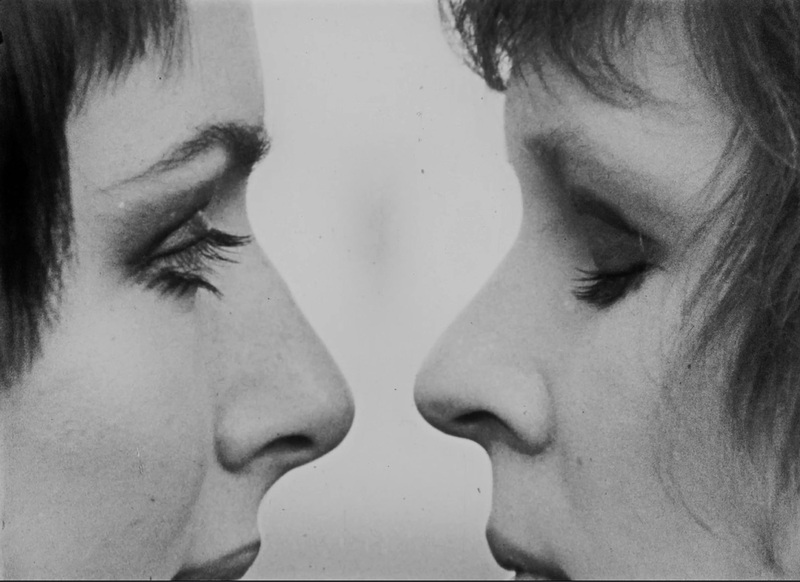 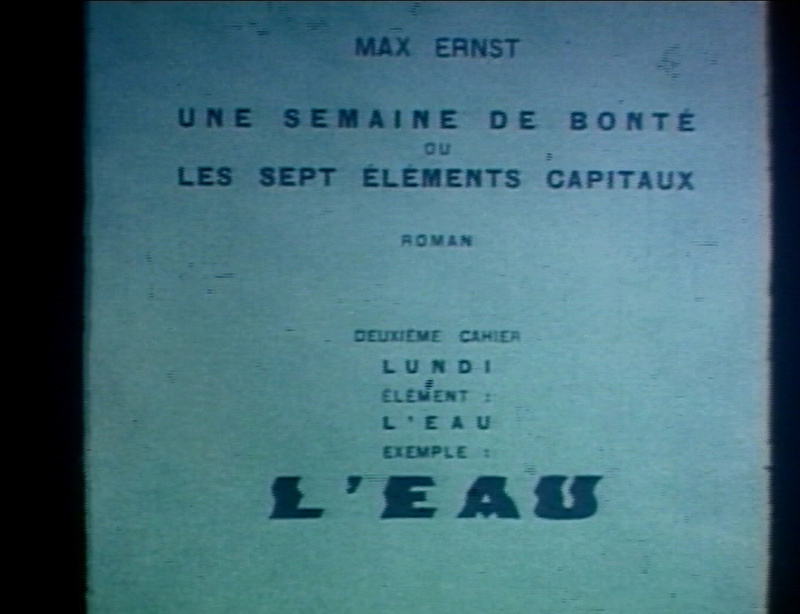 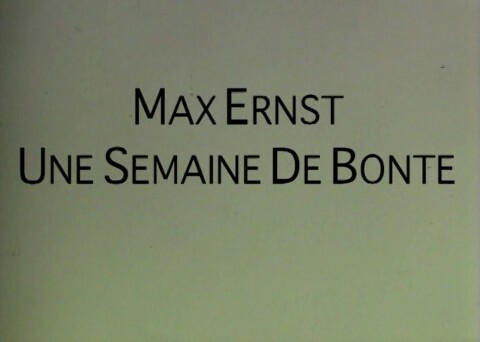 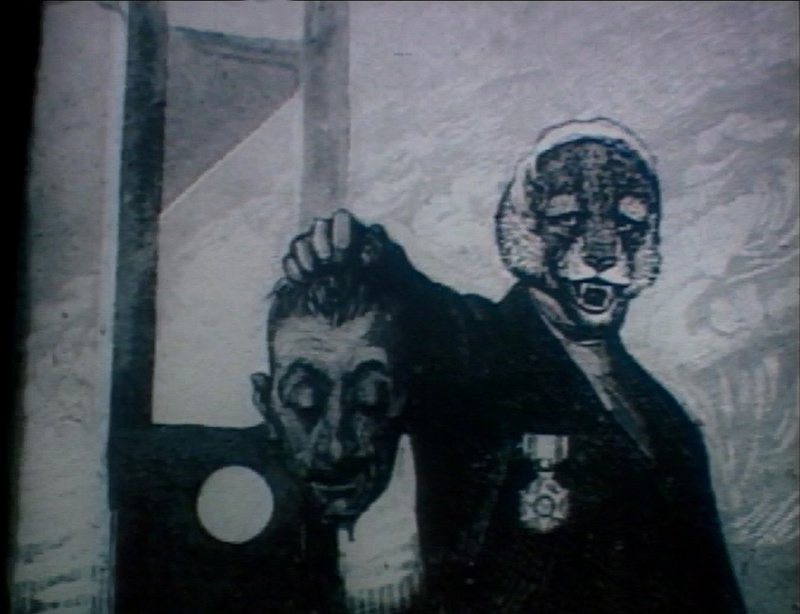 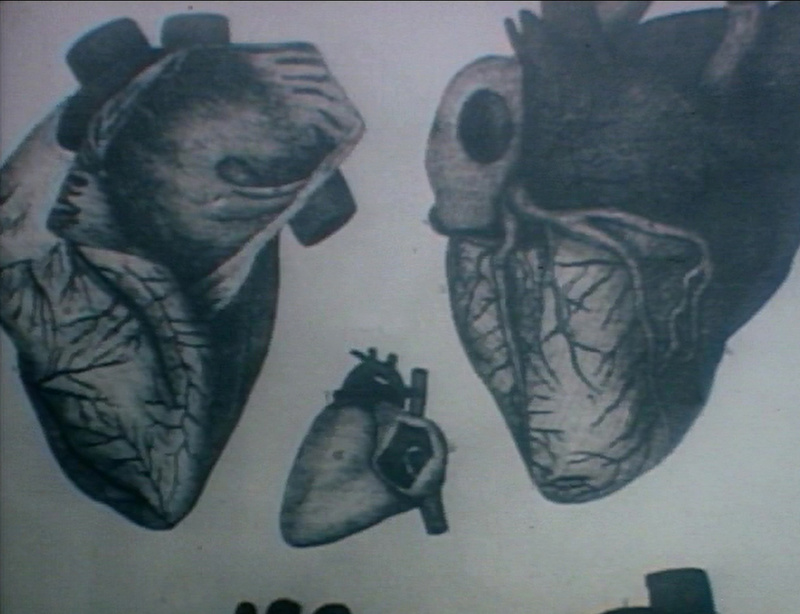 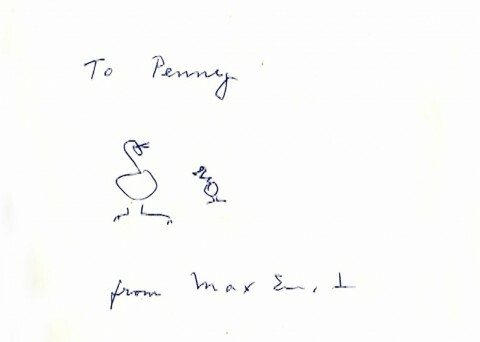 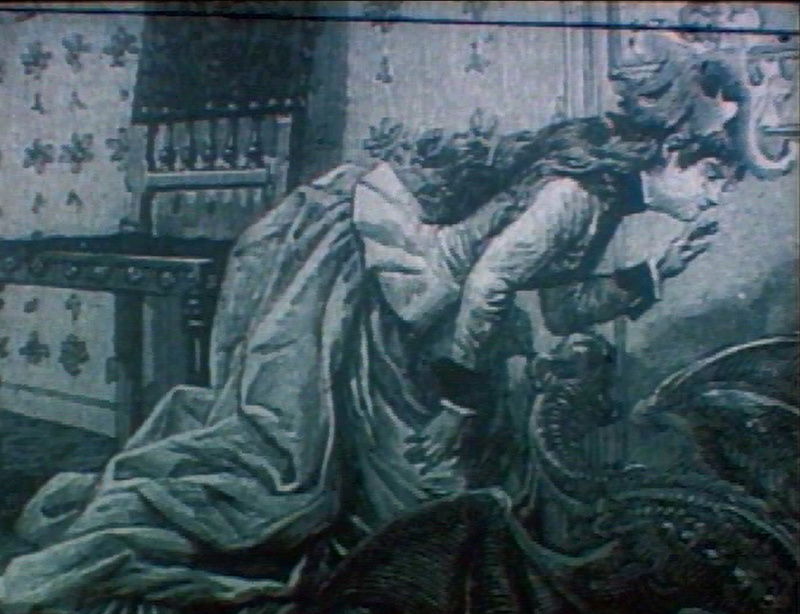 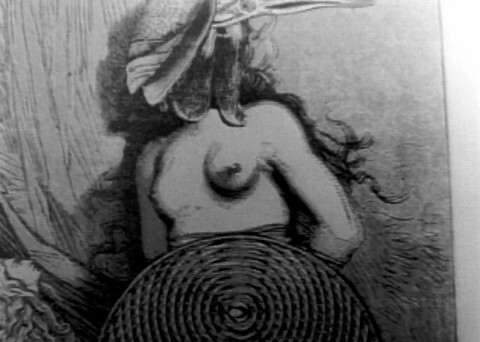 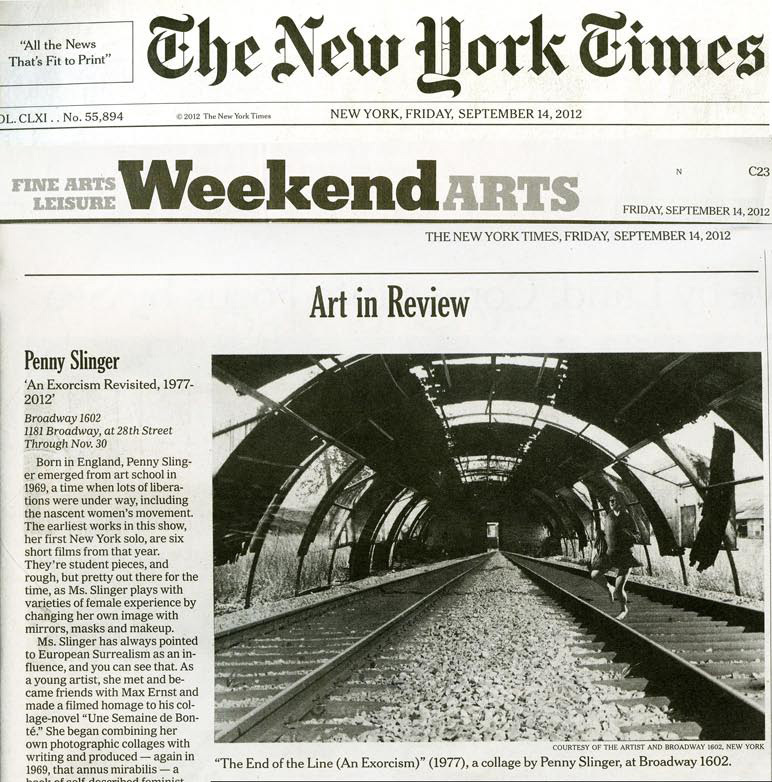 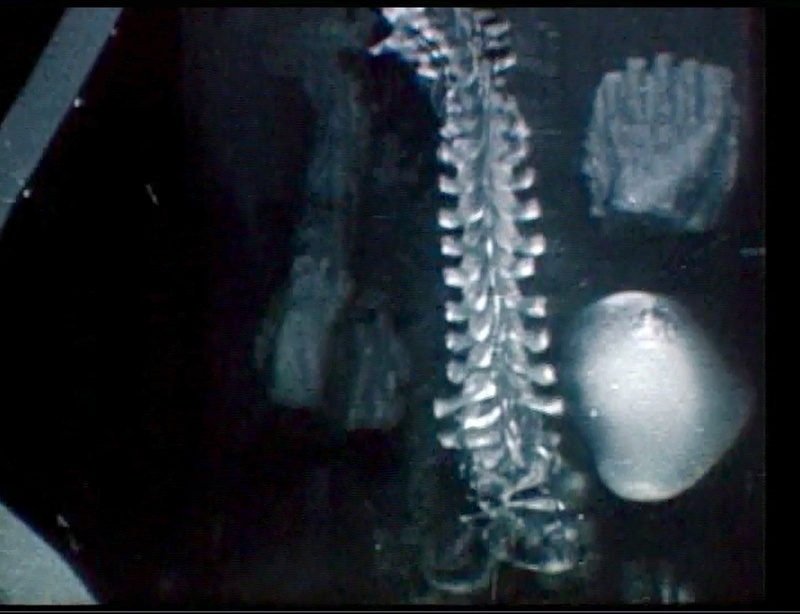 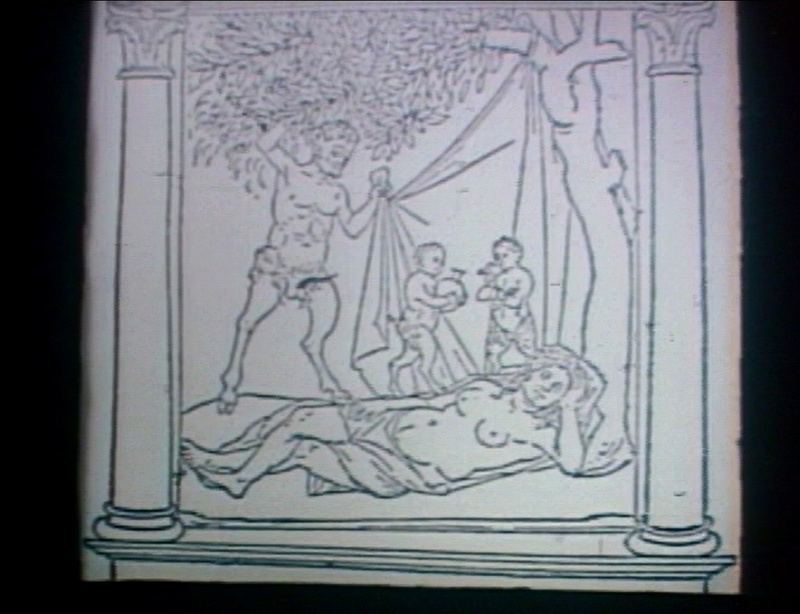 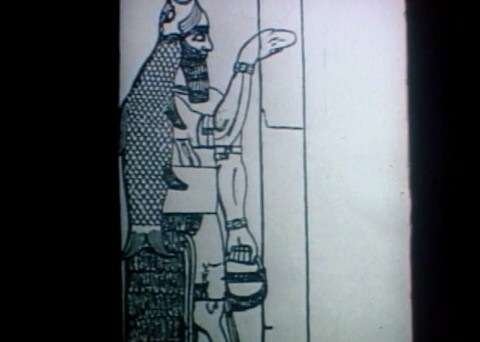 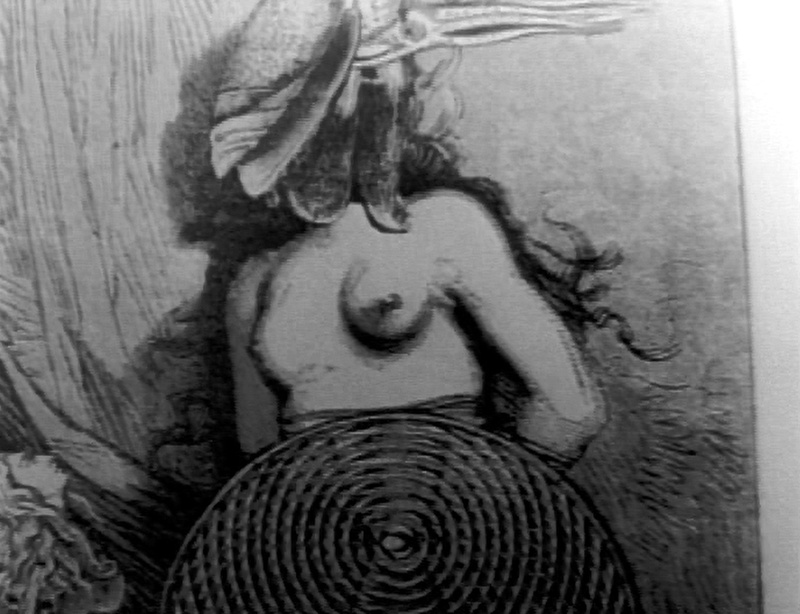 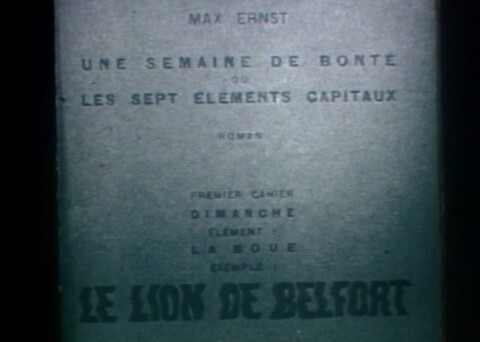 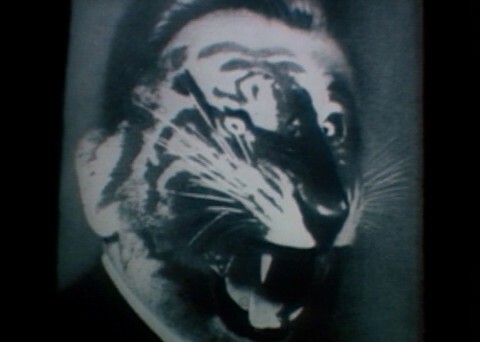 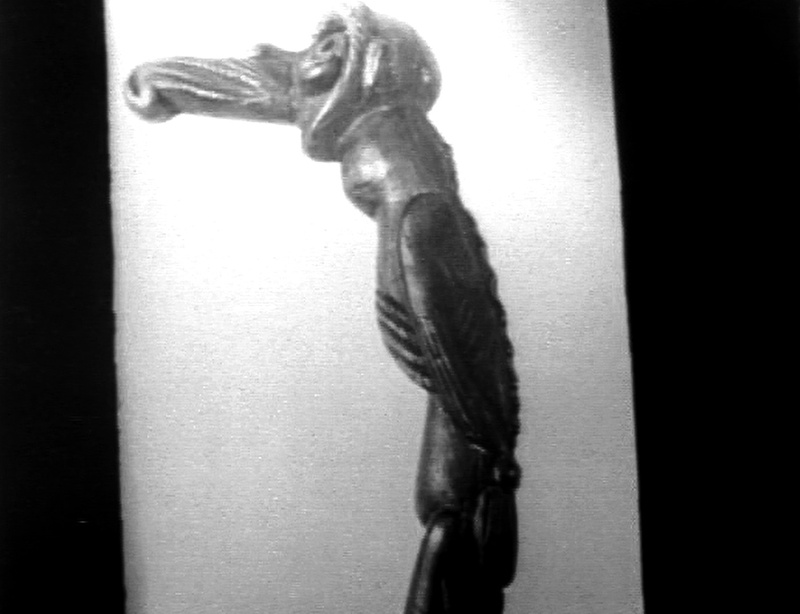 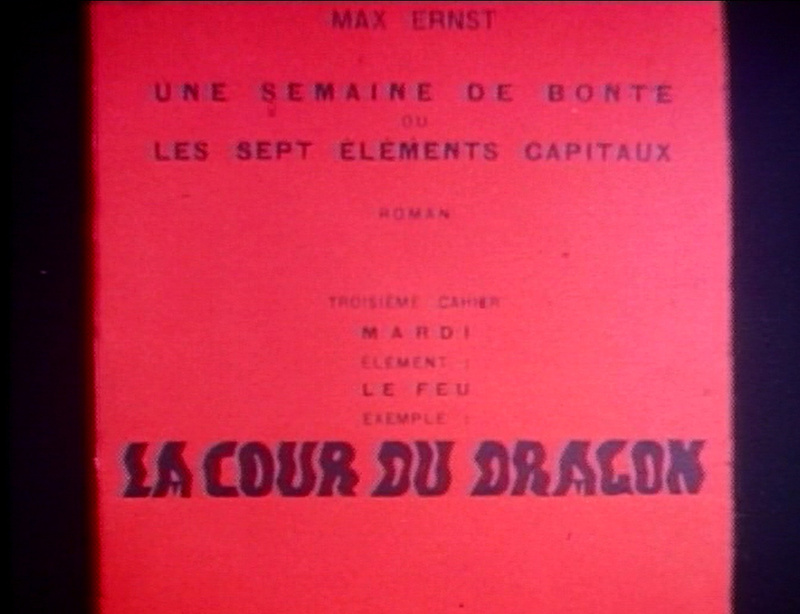 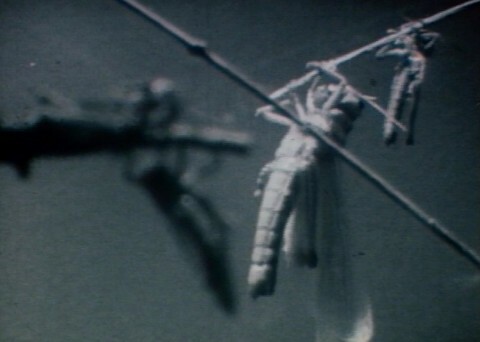 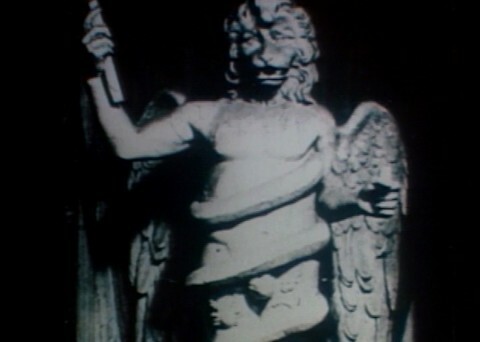 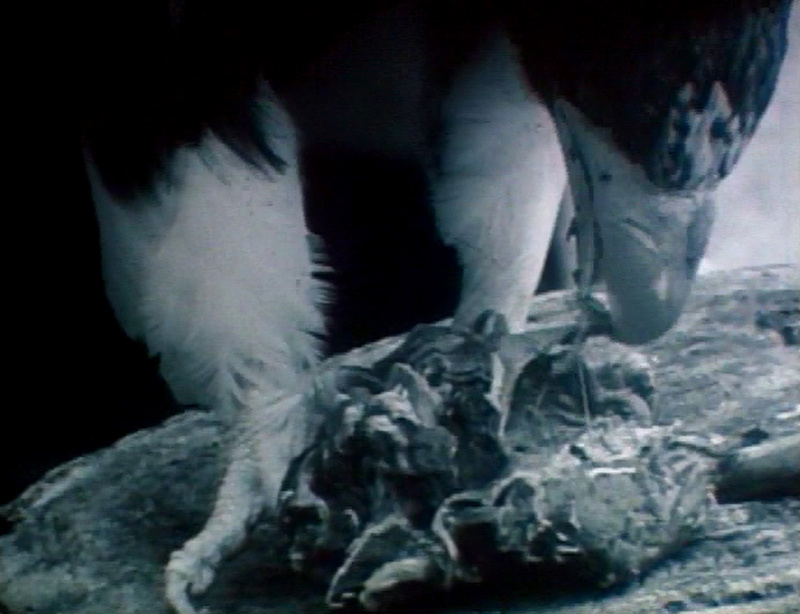 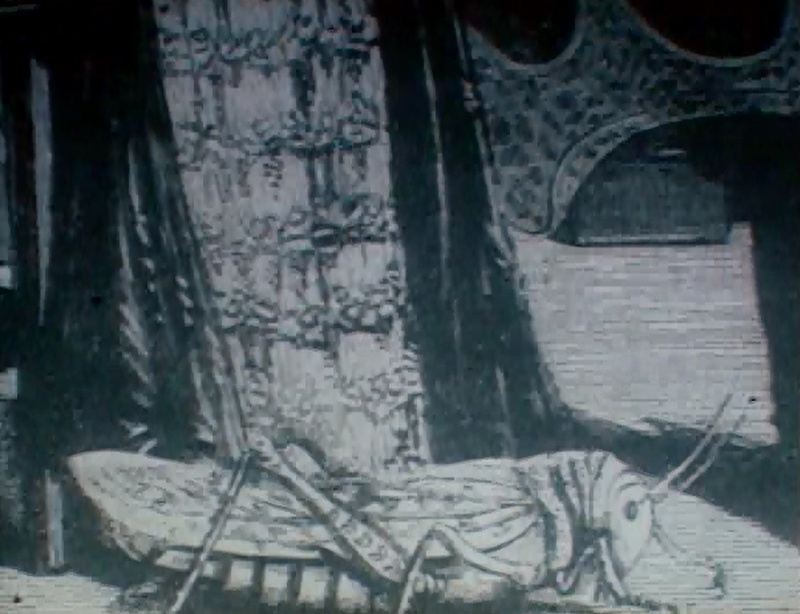 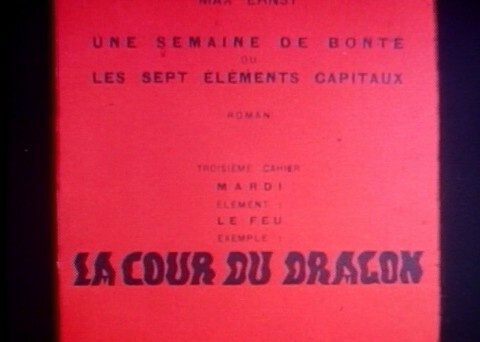 This film was presented as part of my 1969 thesis on Max Ernst. 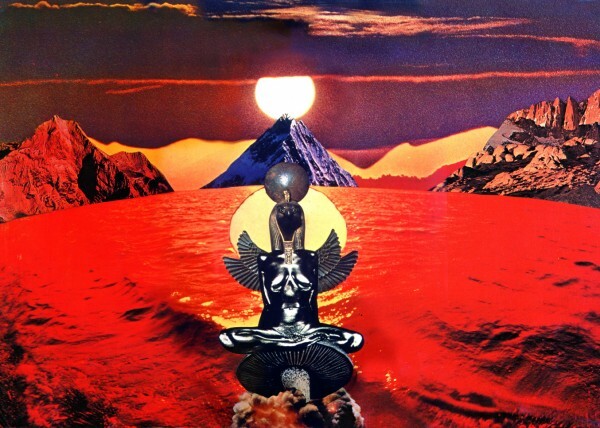 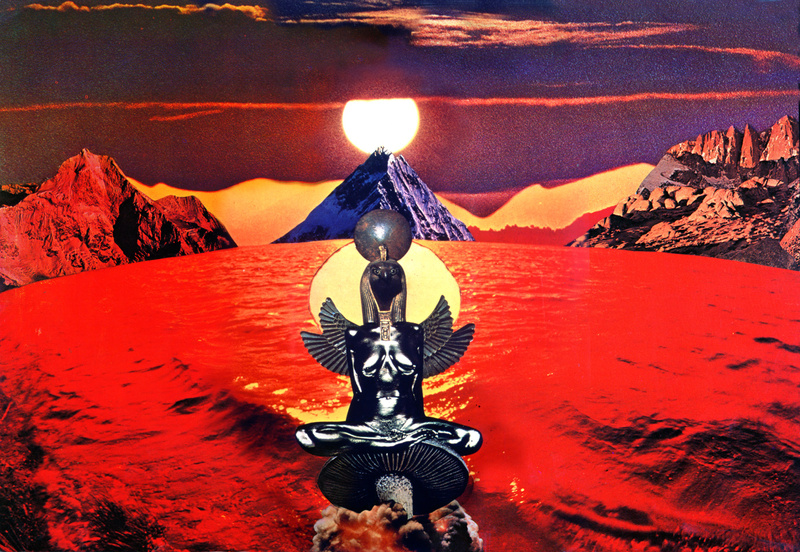 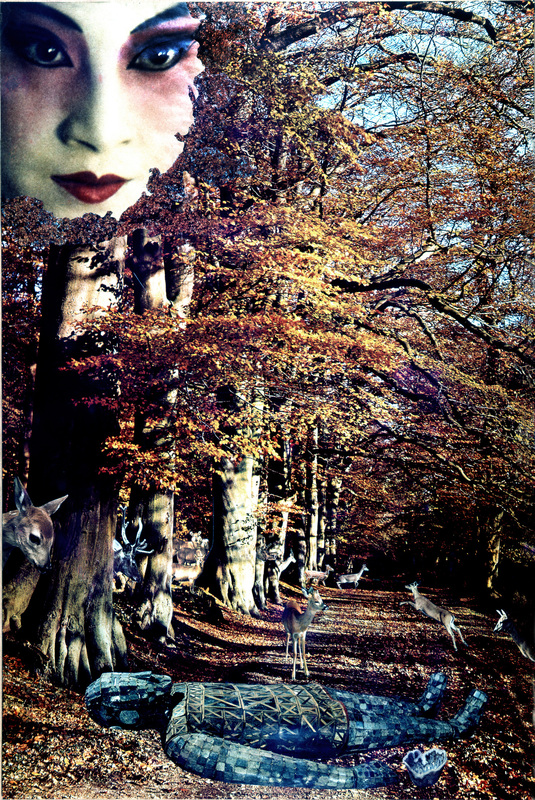 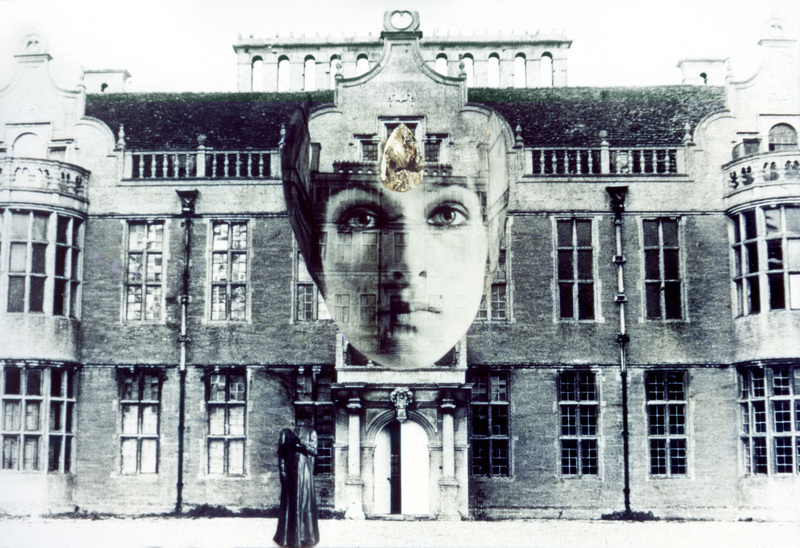 It was a personal tribute where I filmed his collages, then intercut live footage I shot with other reference material into a surreal visual collage. 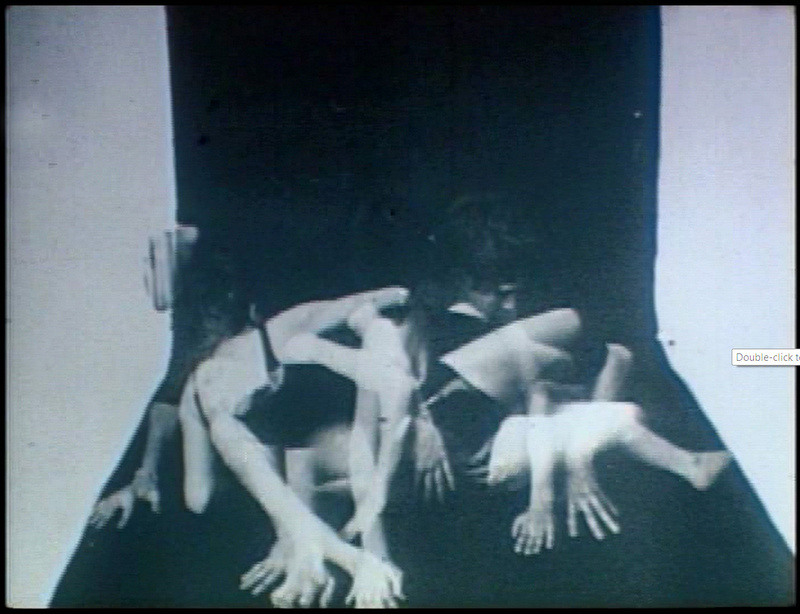 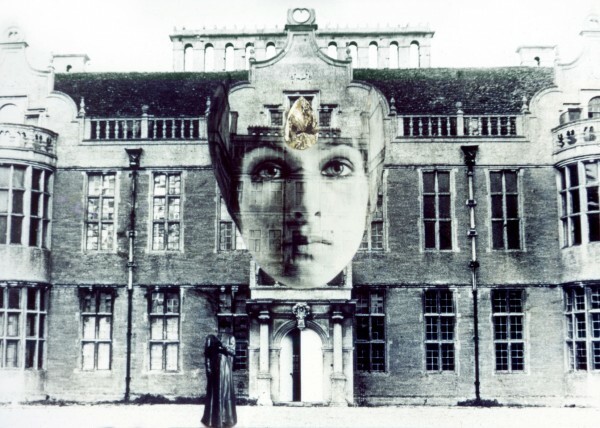 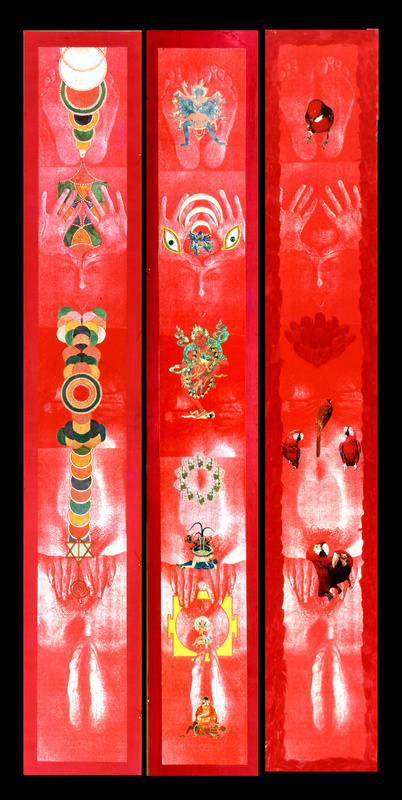 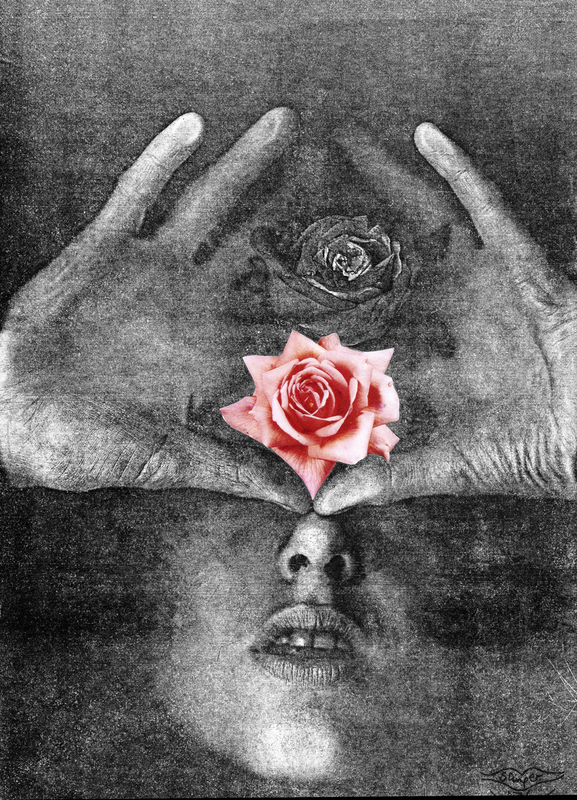 Film that was shot in early 1970s (with Peter Whitehead) of the series of collages that are part of the series known as ‘An Exorcism’. 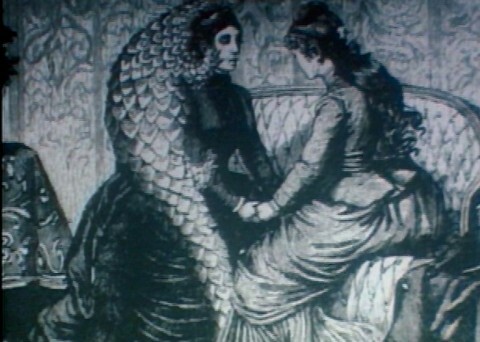 It shows their sequence at that point in their evolution. 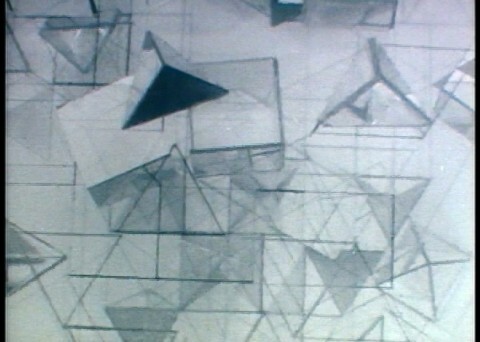 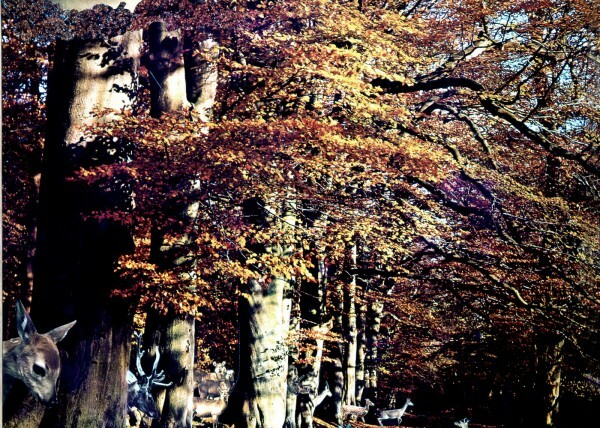 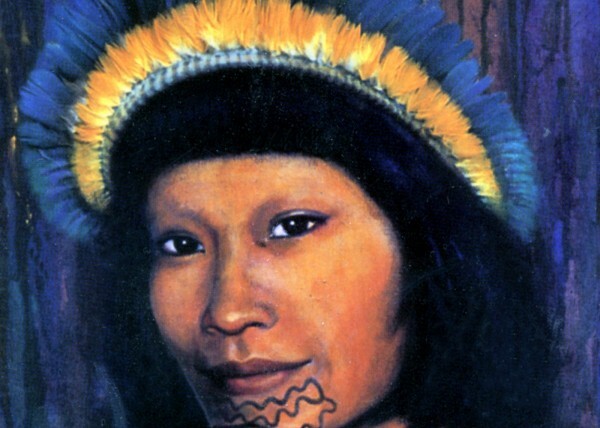 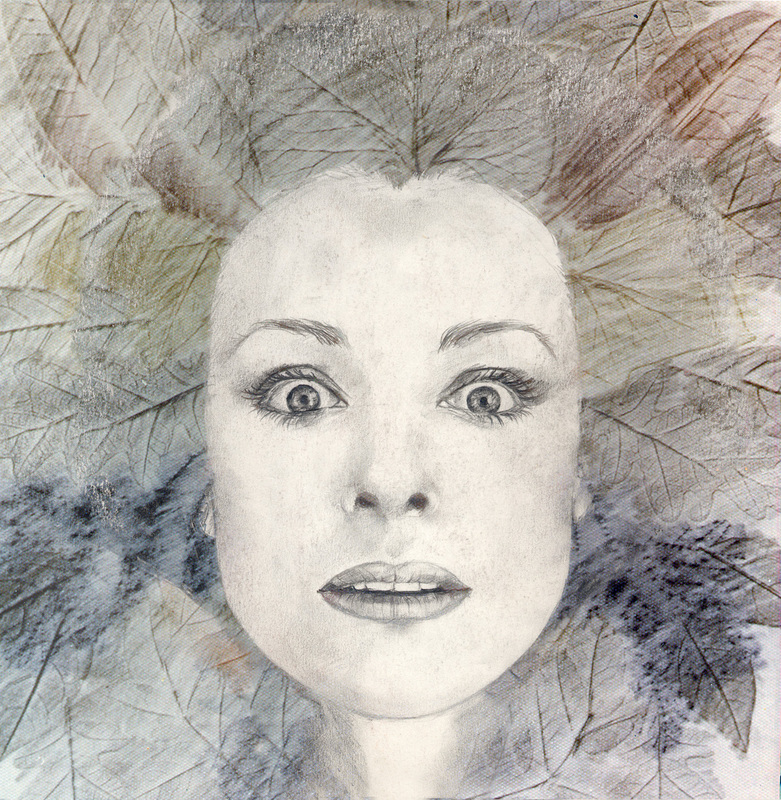 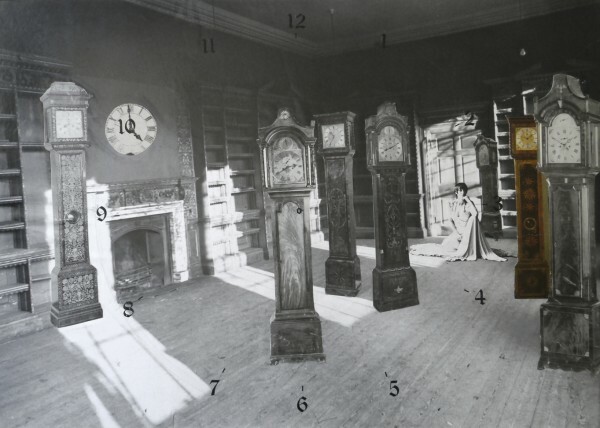 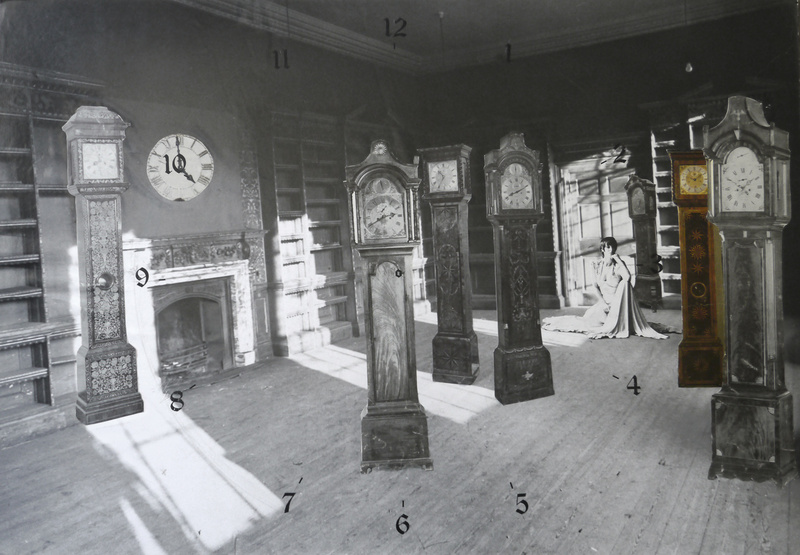 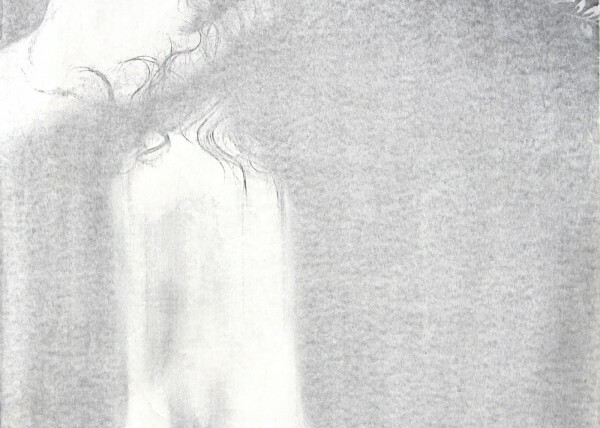 Variations of an image are explored in several places, with time lapse.